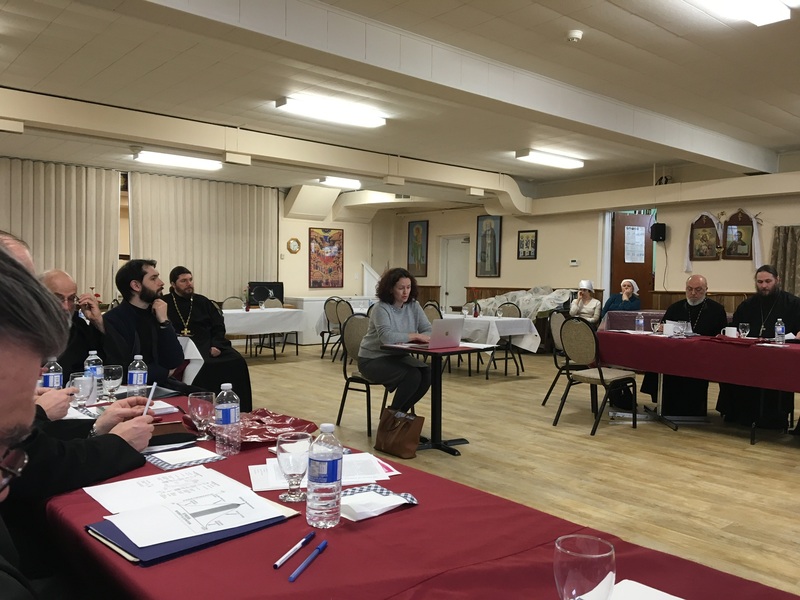 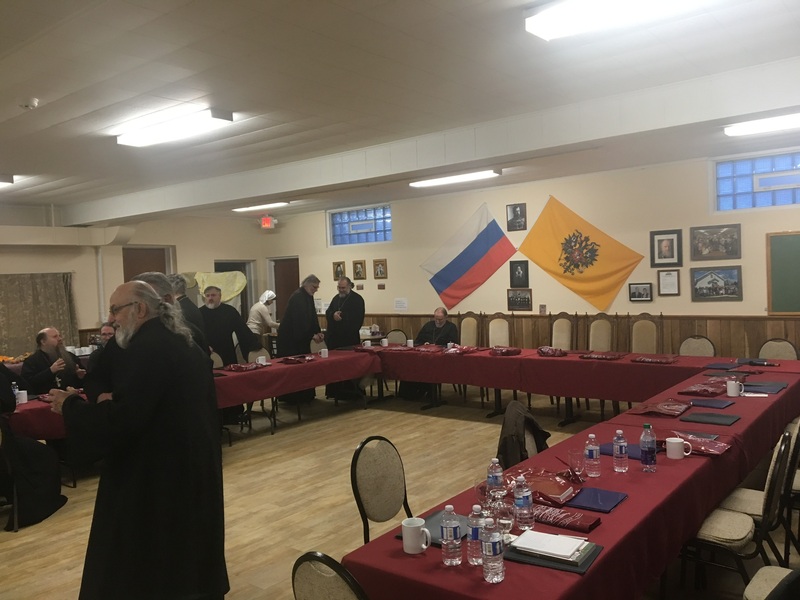 FROM THE CHANCELLERY OF THE DIOCESE To all the rectors and clergy of the parishes of the Canadian Diocese, to all the members of the Diocesan Council of the Canadian Diocese. 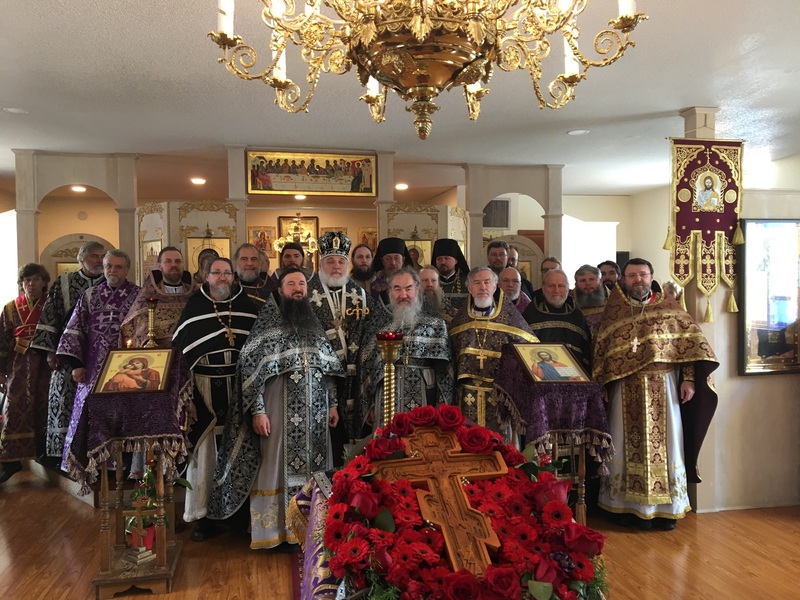 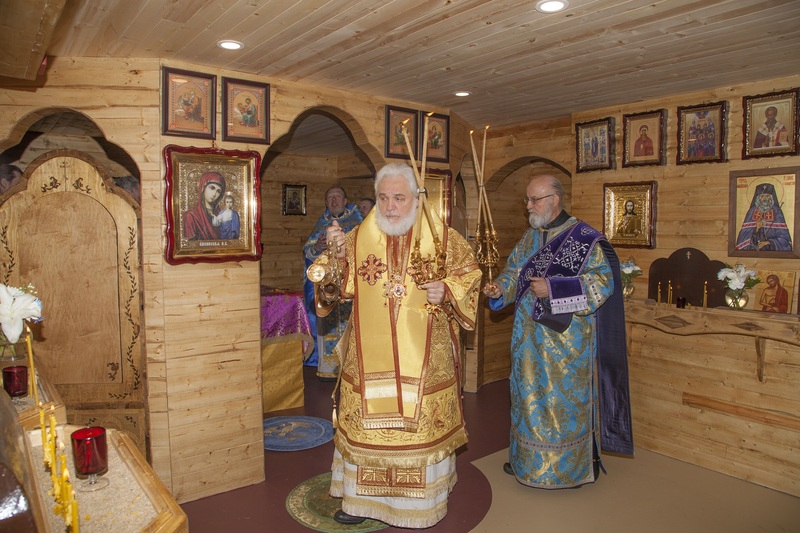 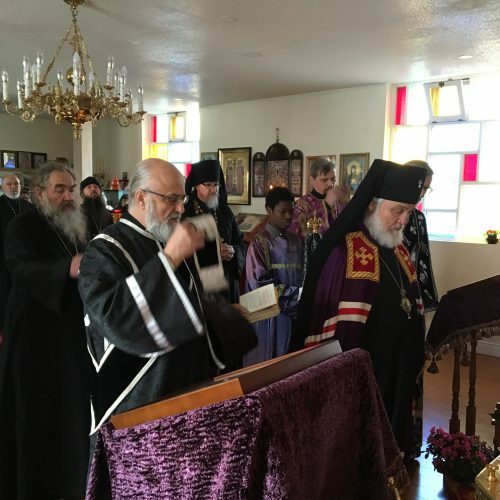 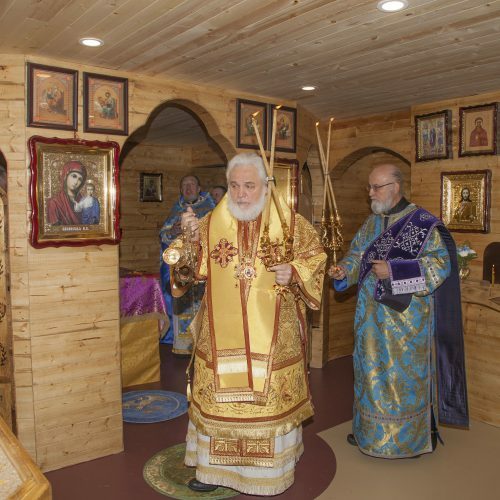 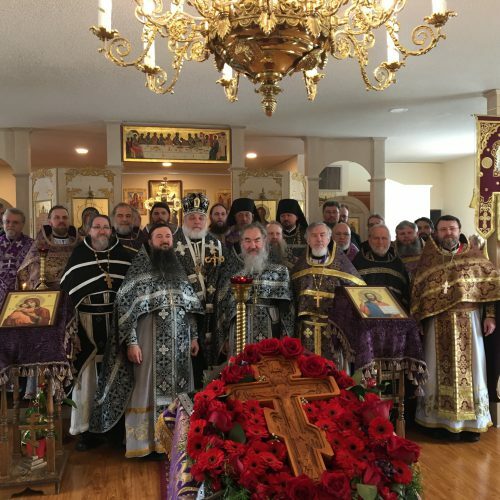 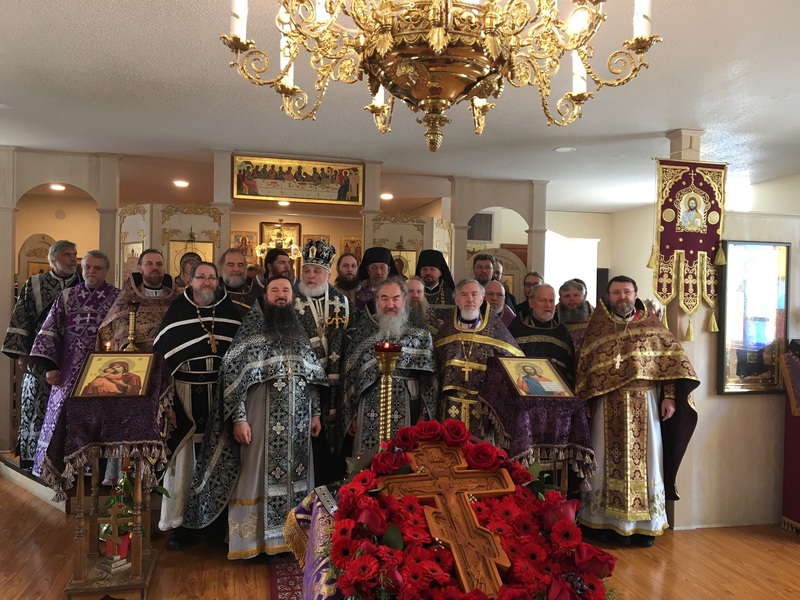 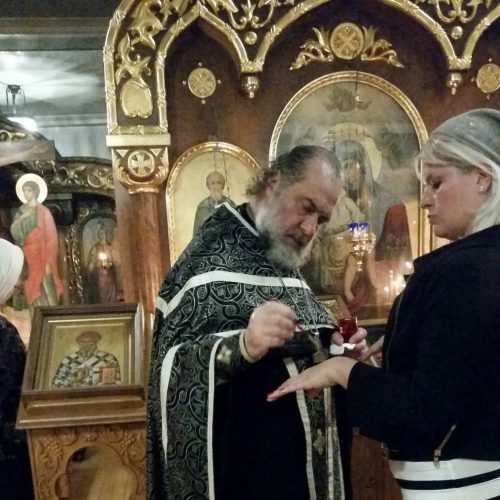 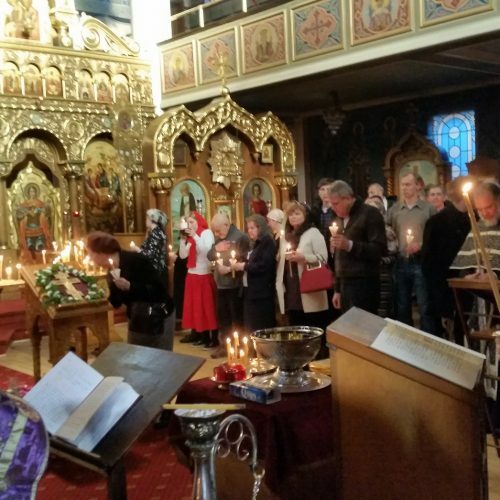 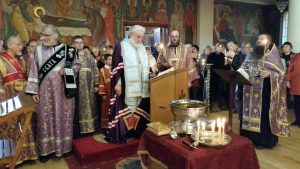 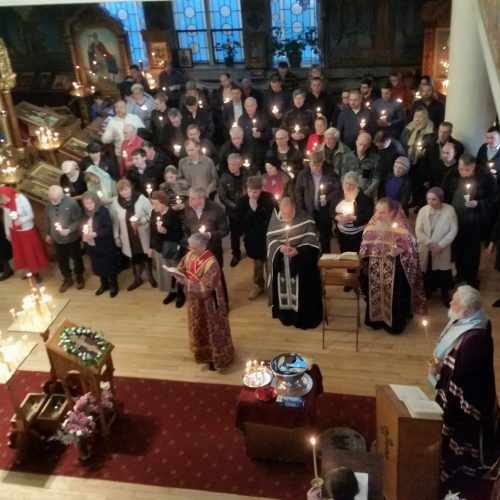 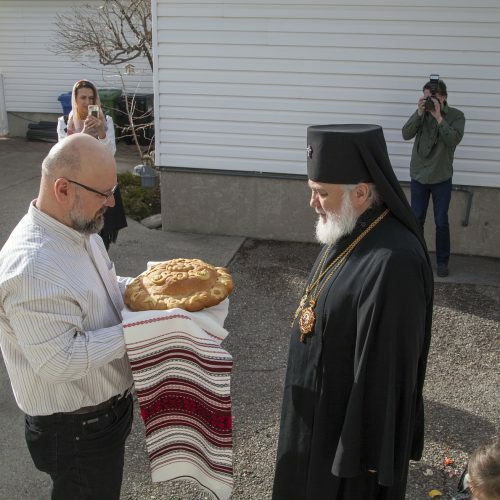 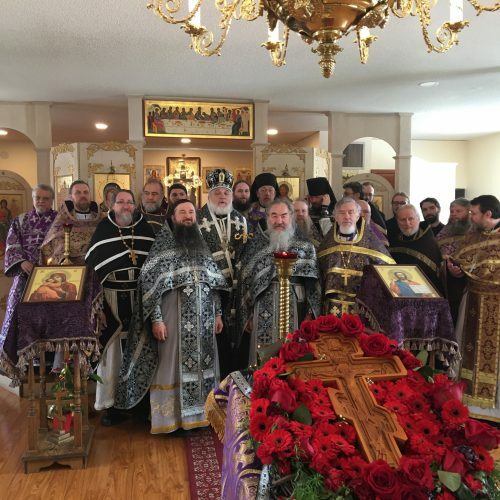 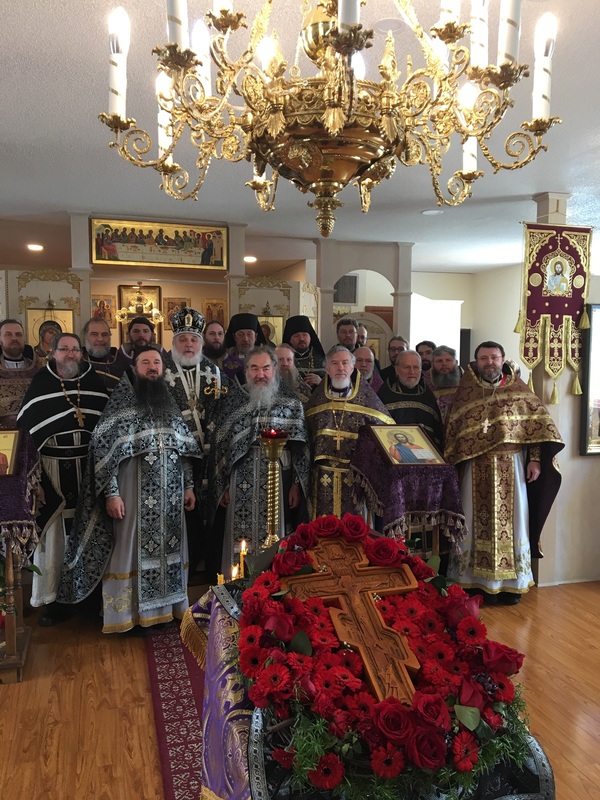 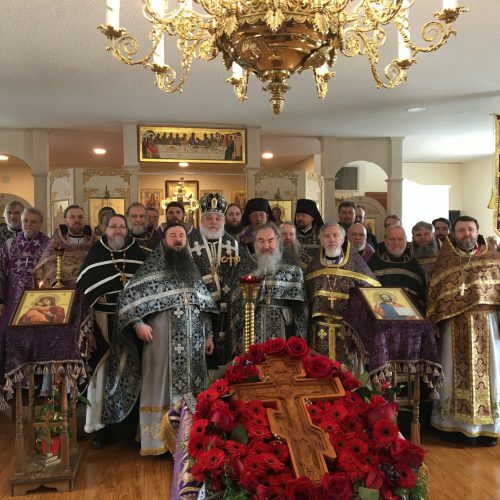 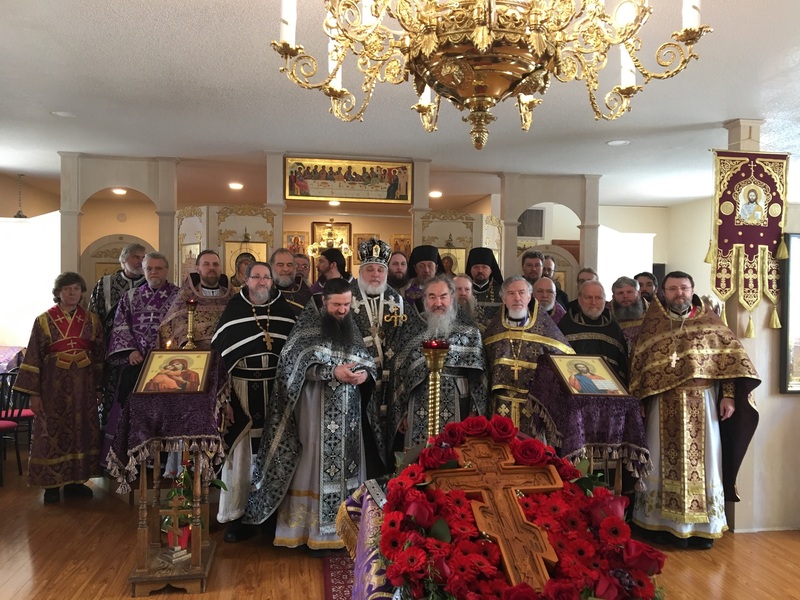 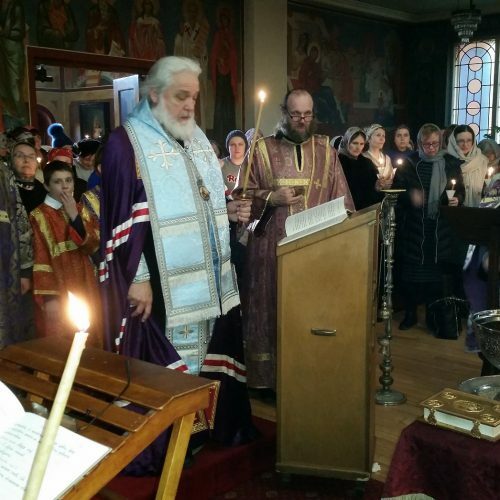 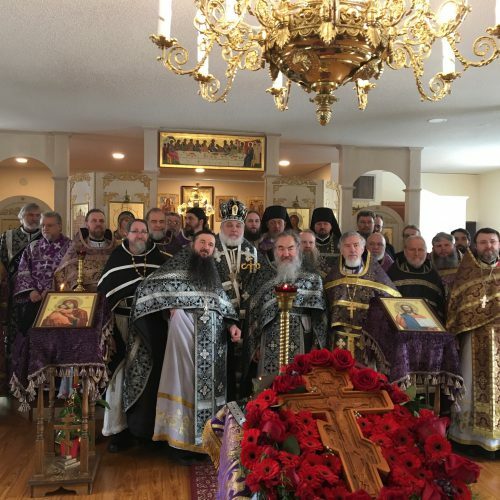 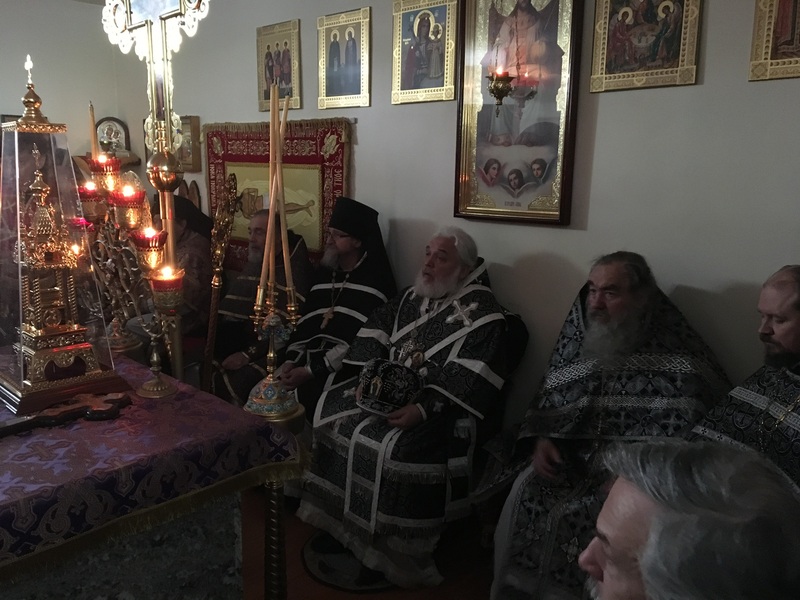 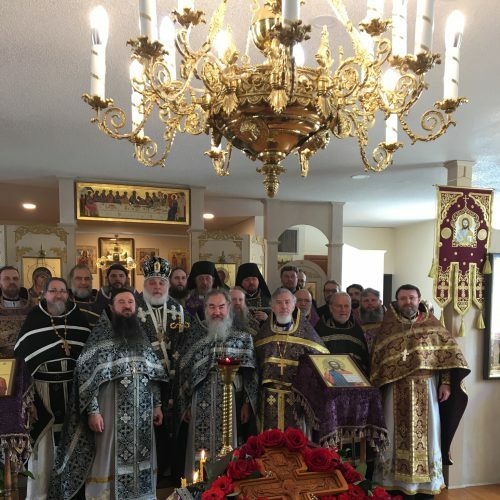 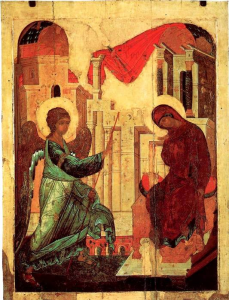 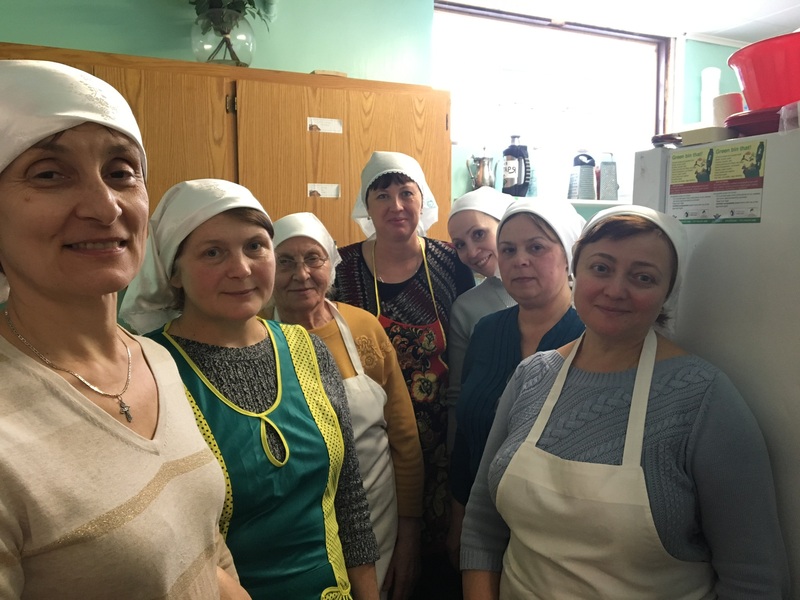 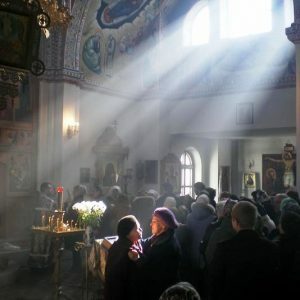 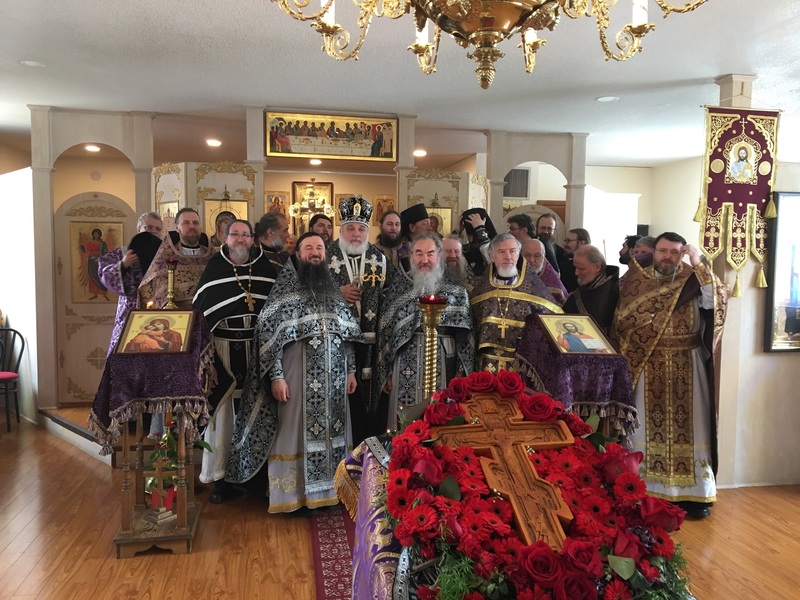 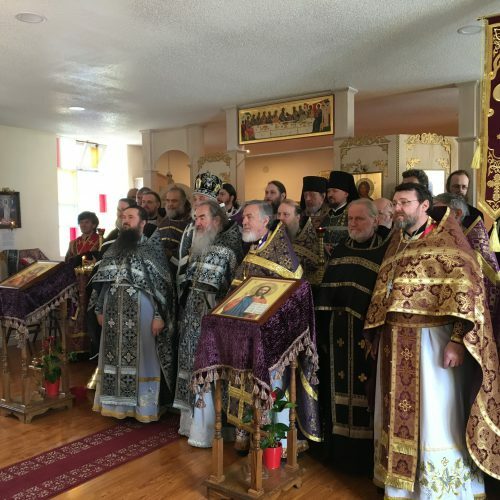 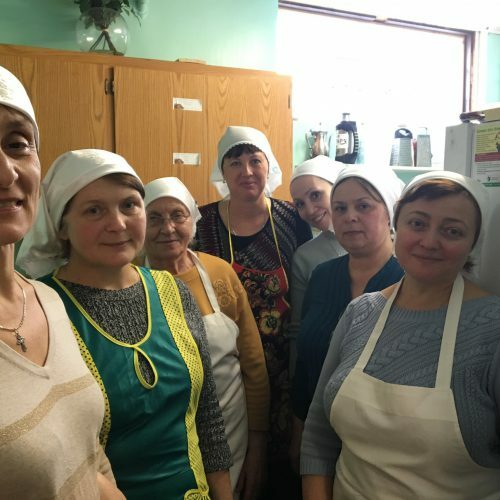 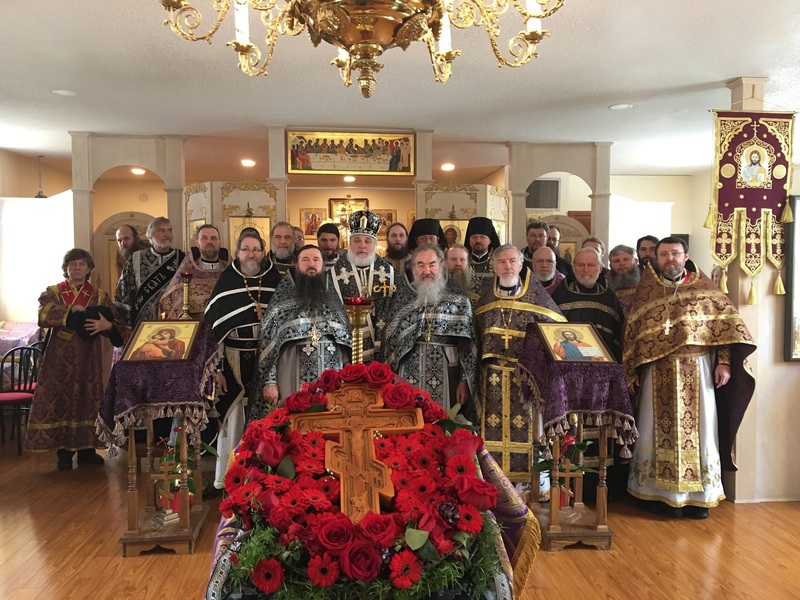 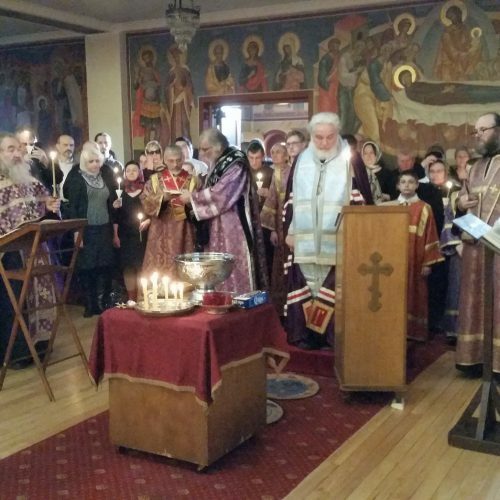 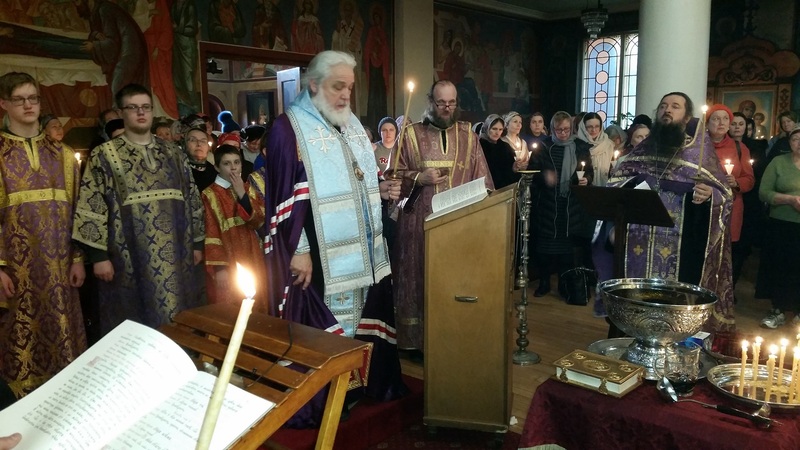 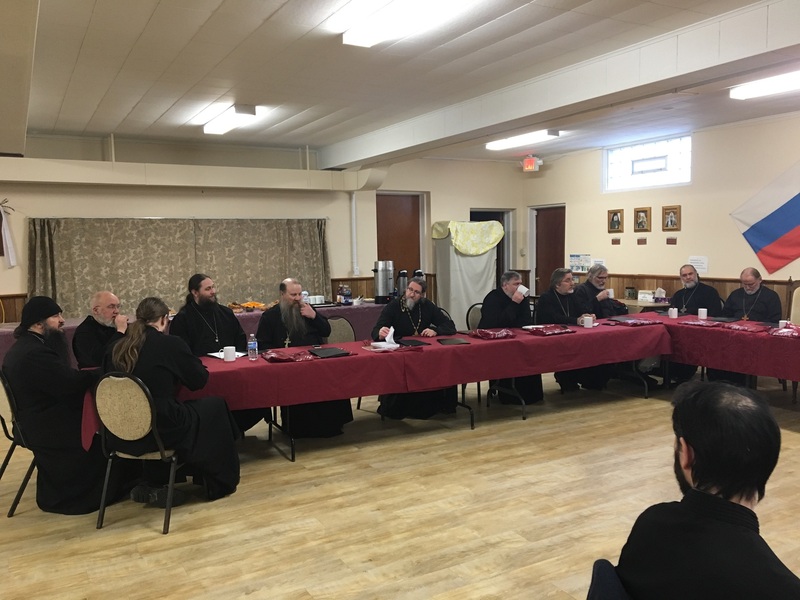 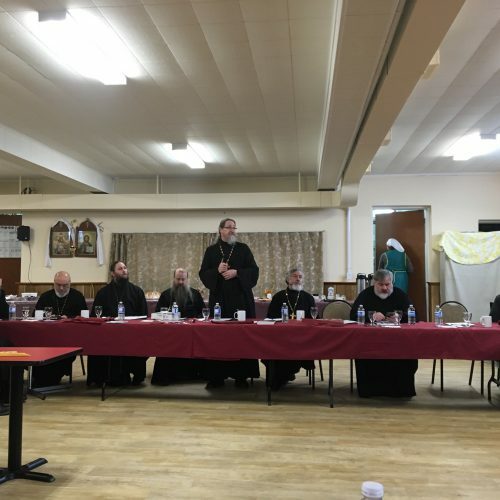 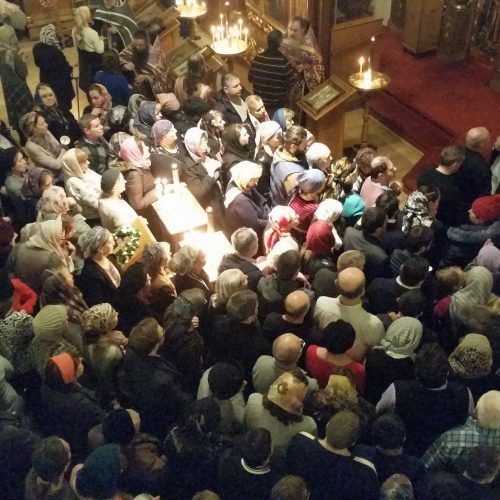 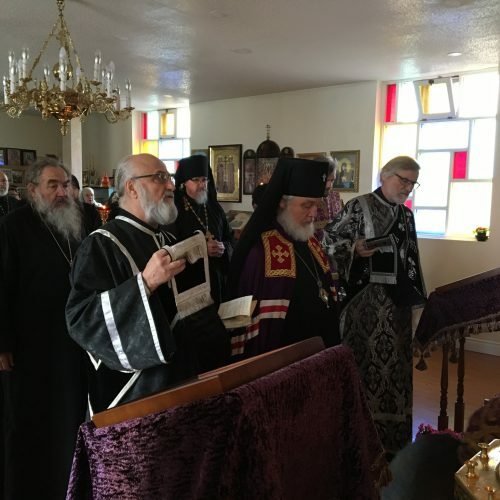 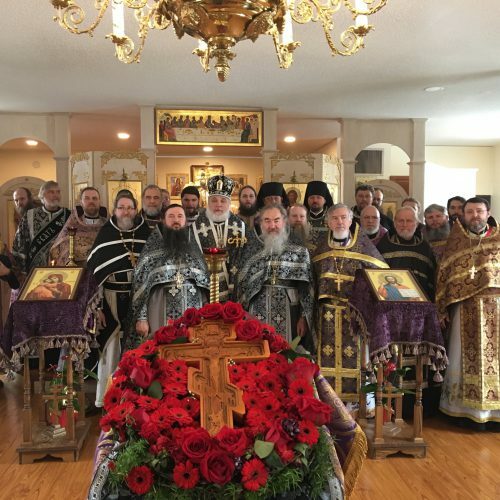 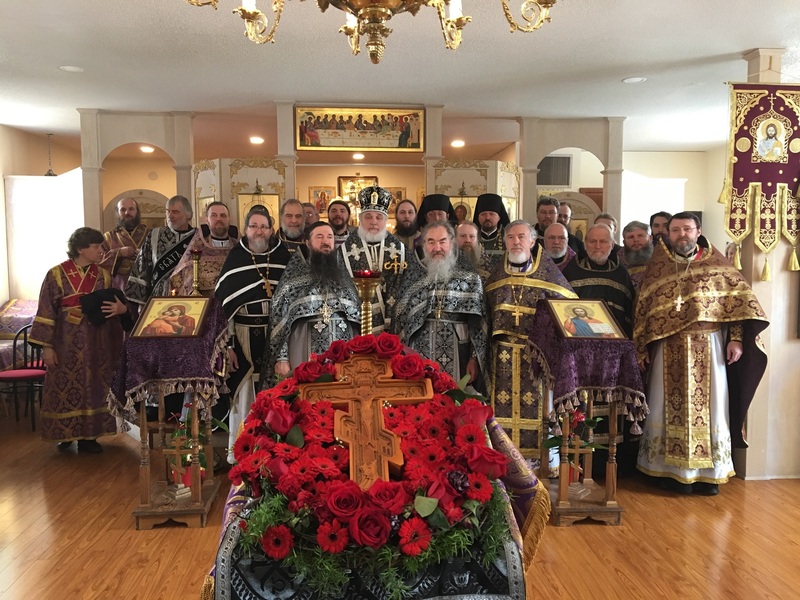 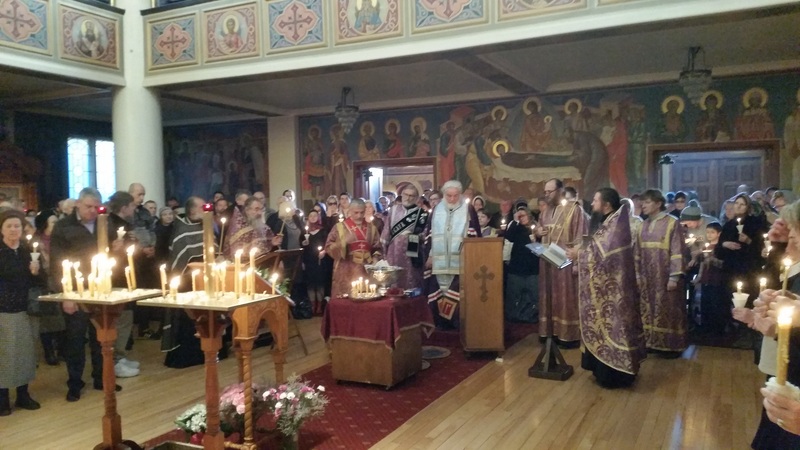 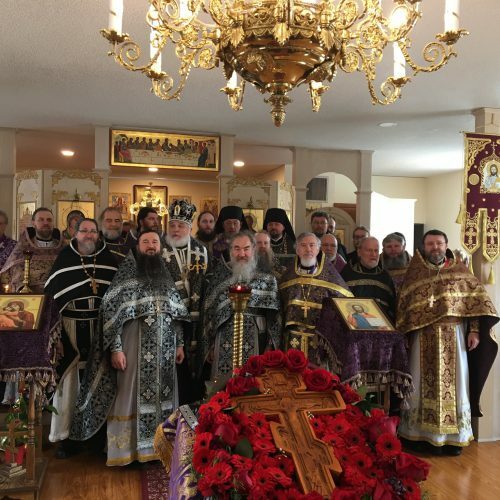 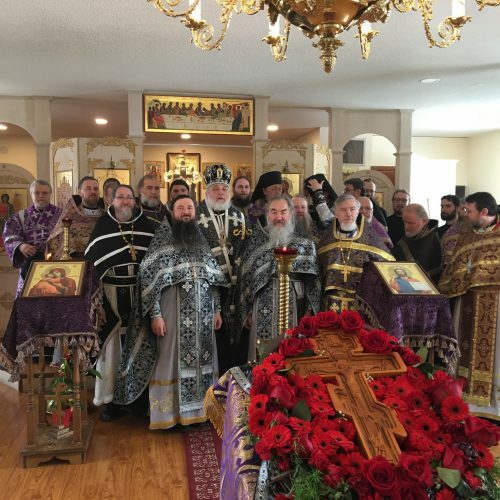 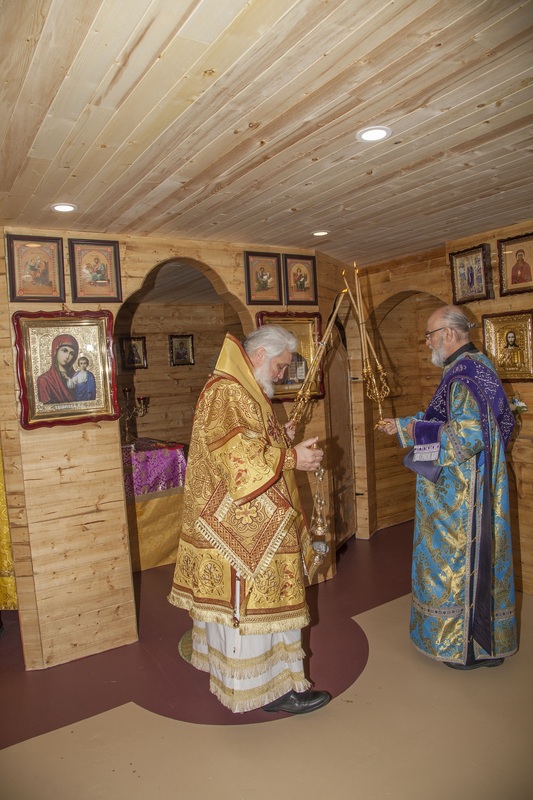 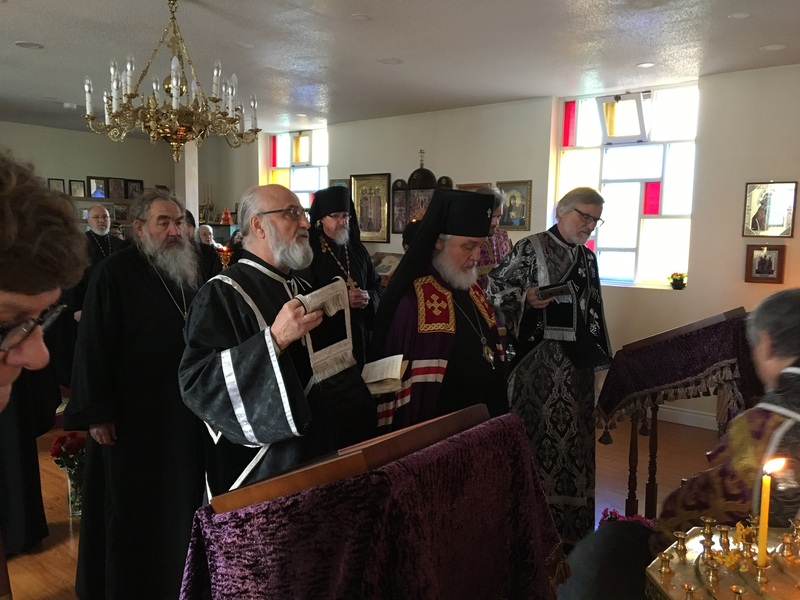 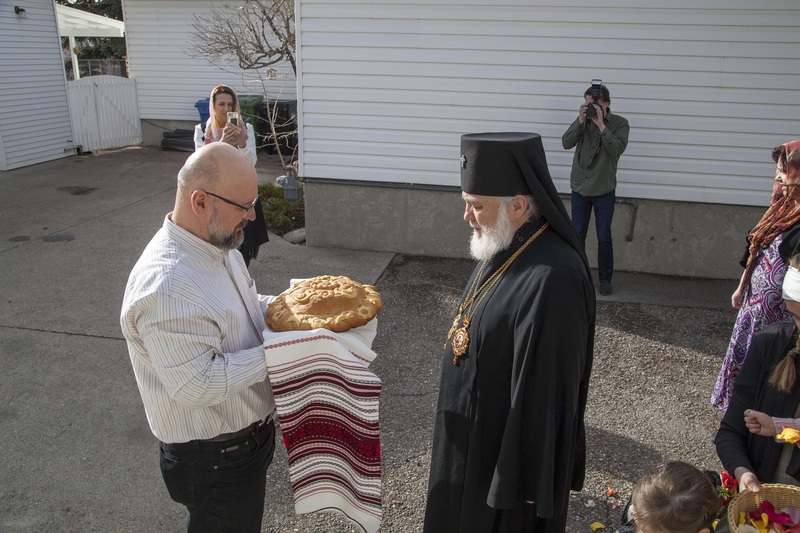 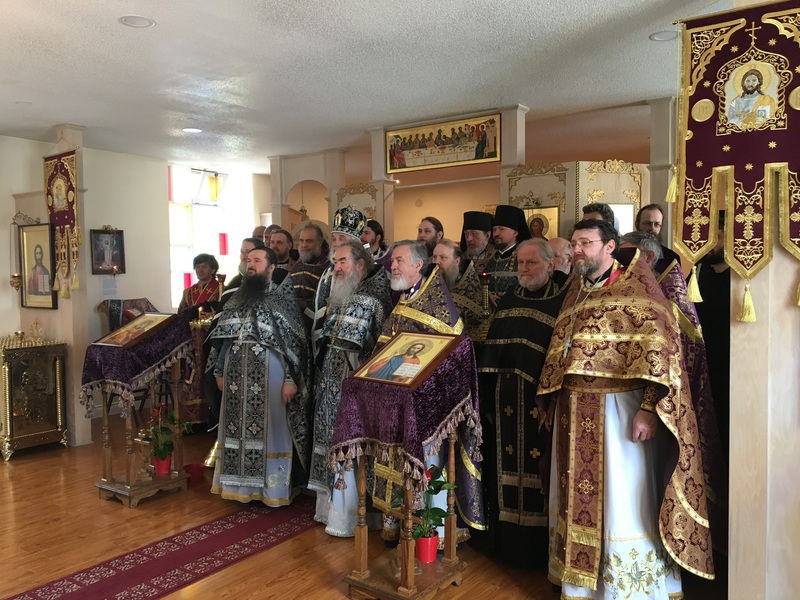 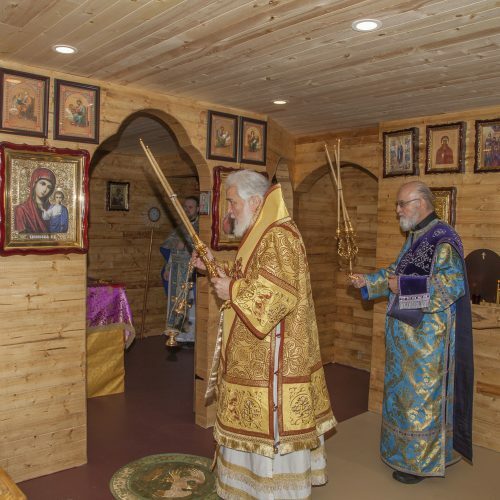 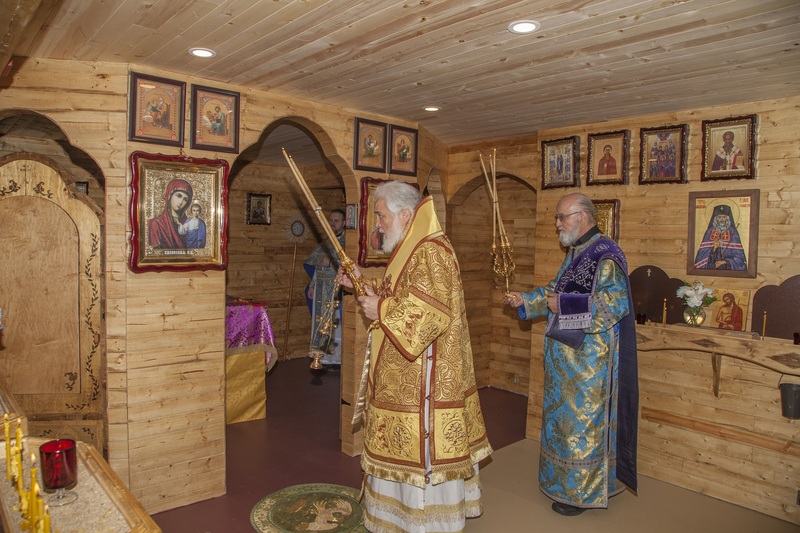 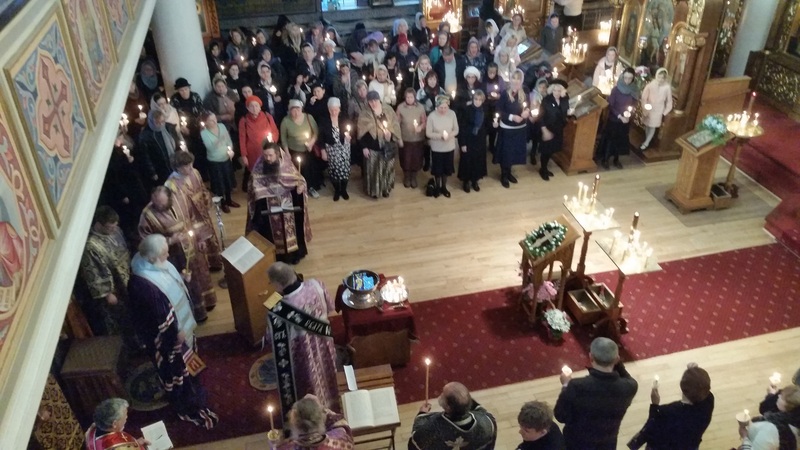 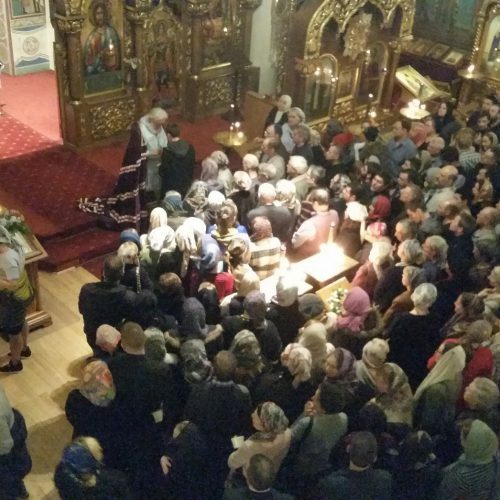 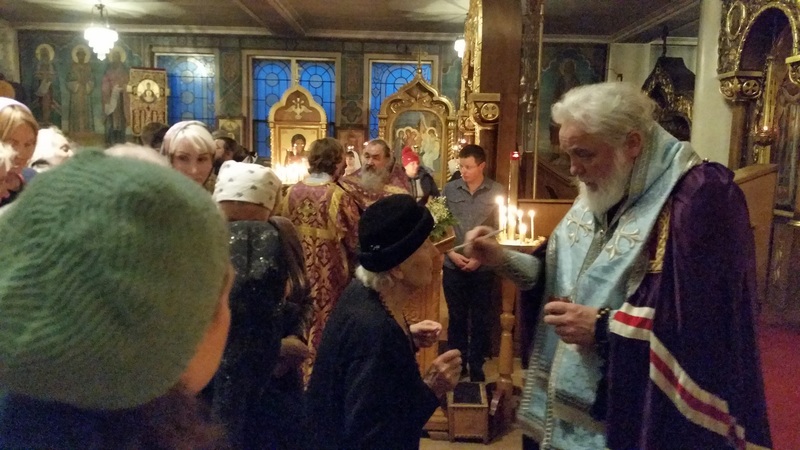 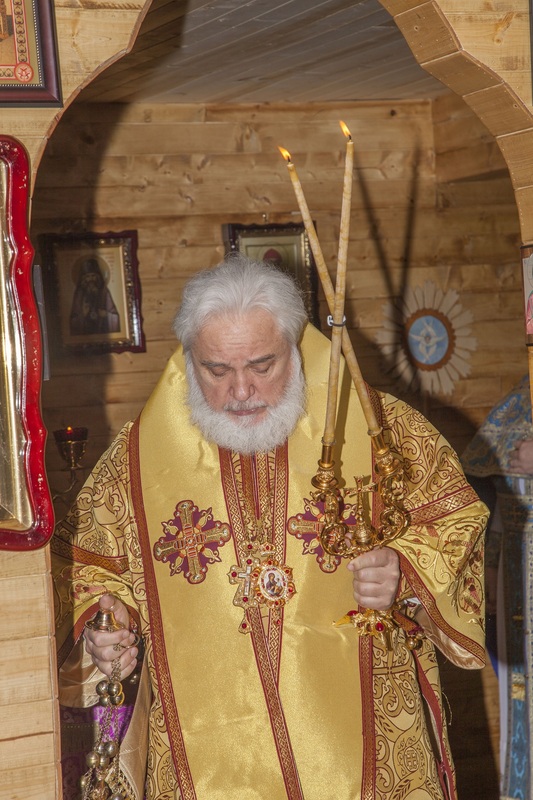 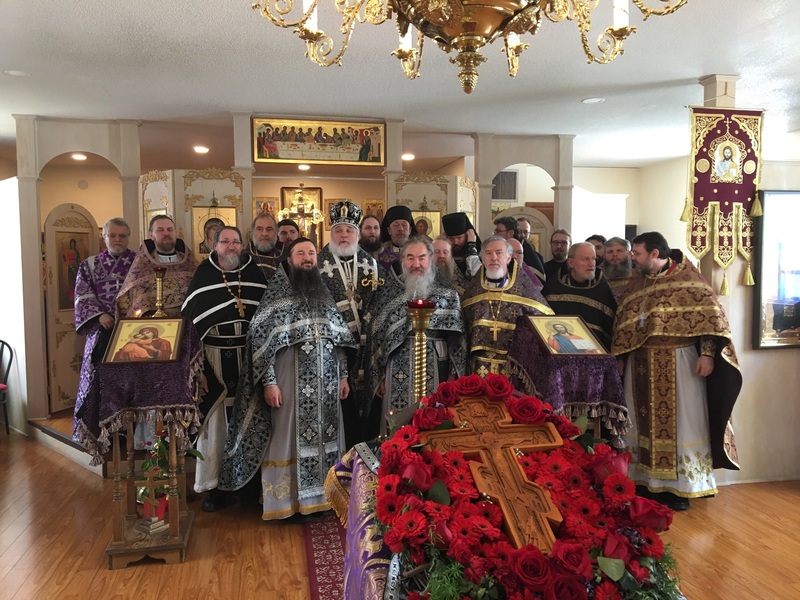 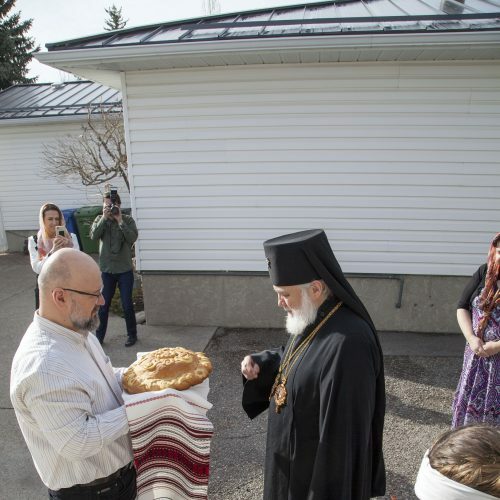 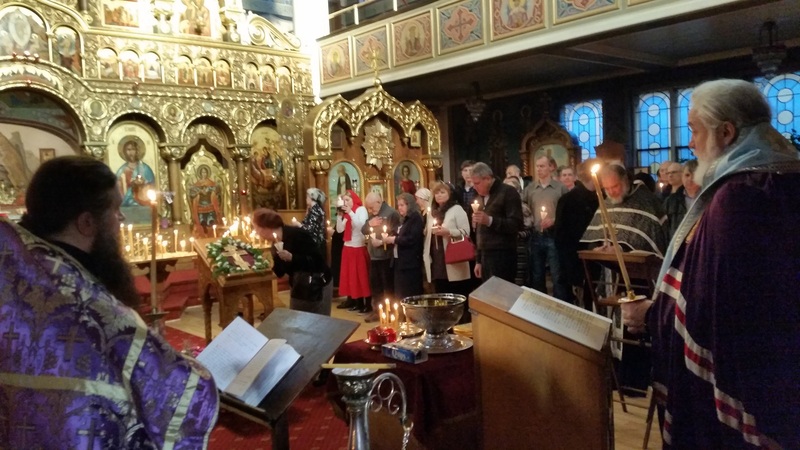 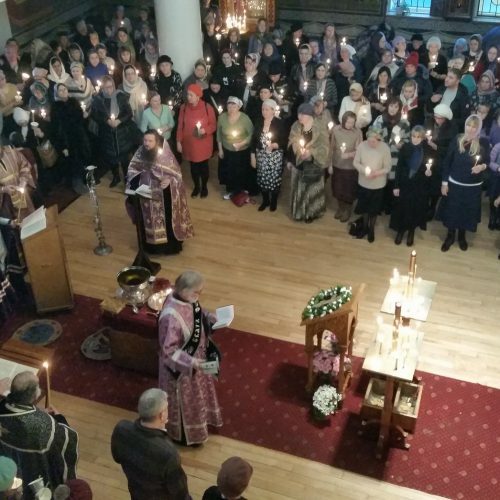 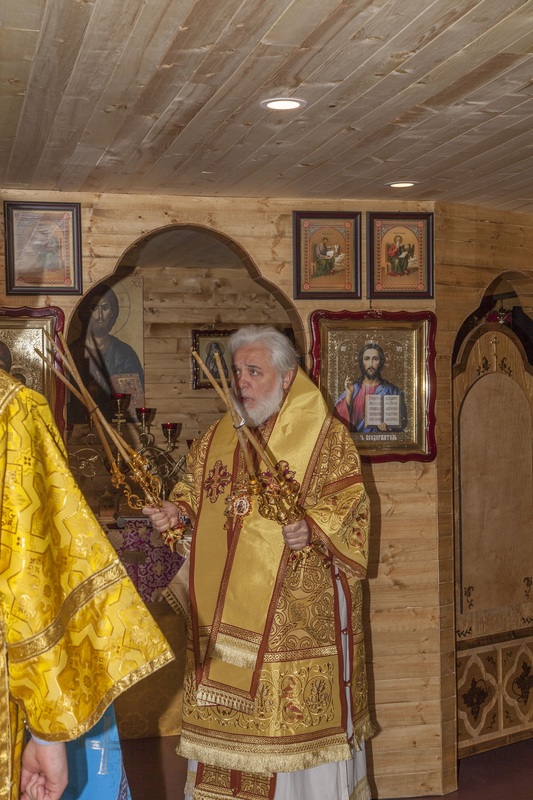 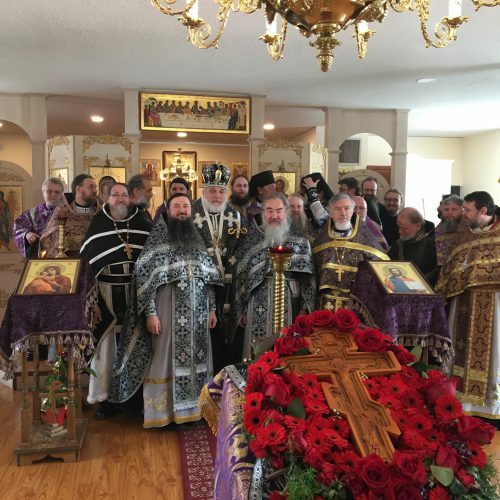 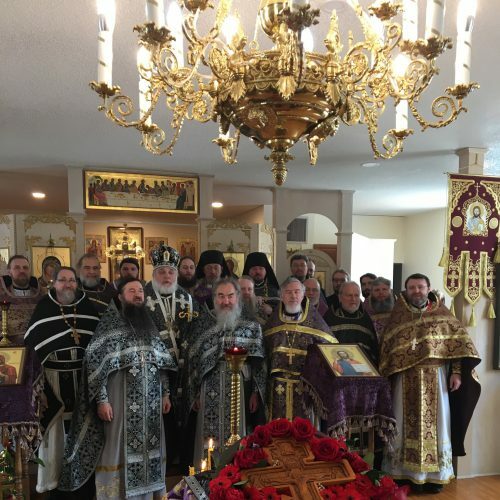 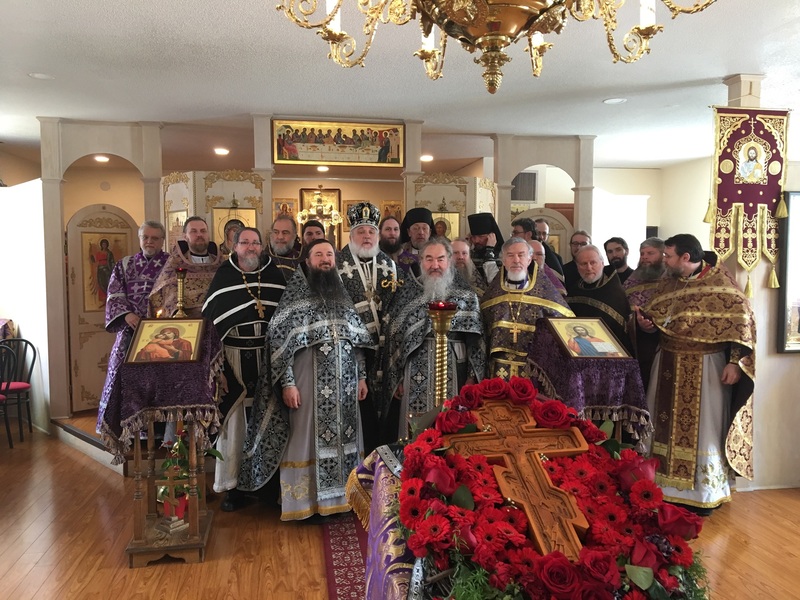 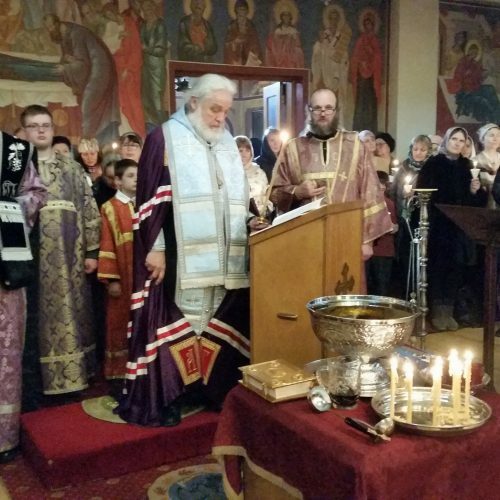 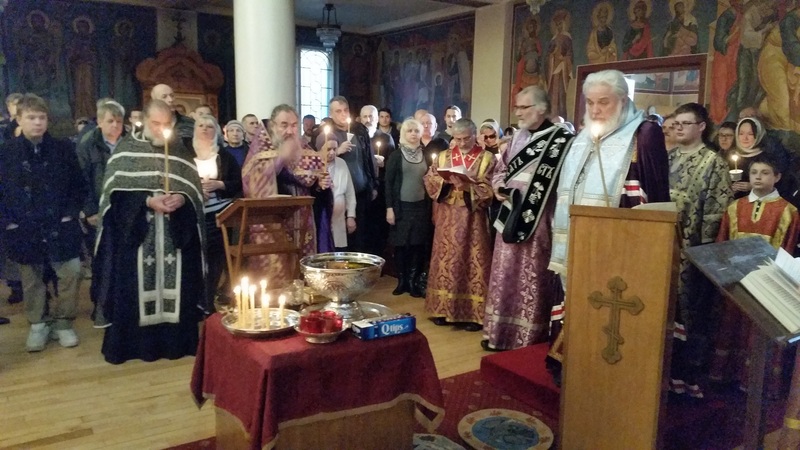 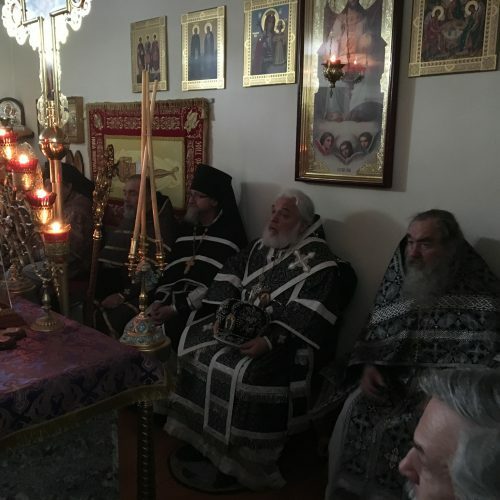 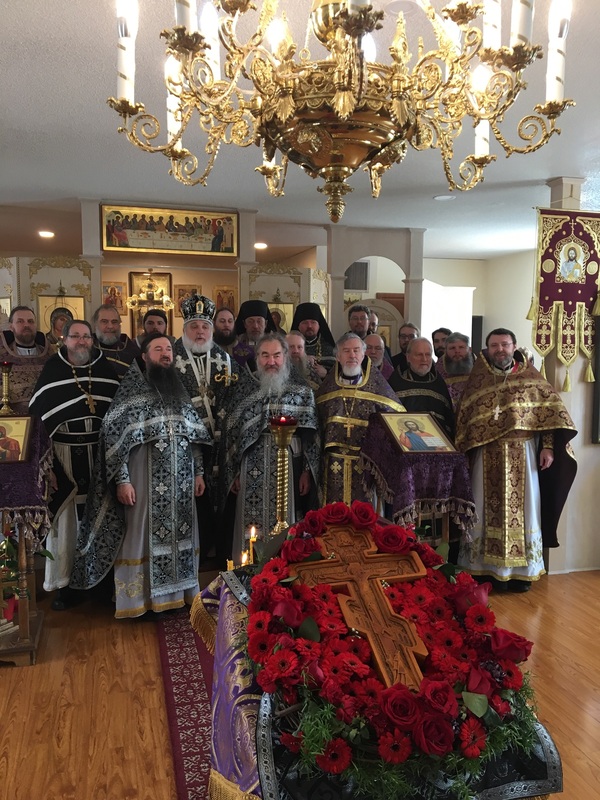 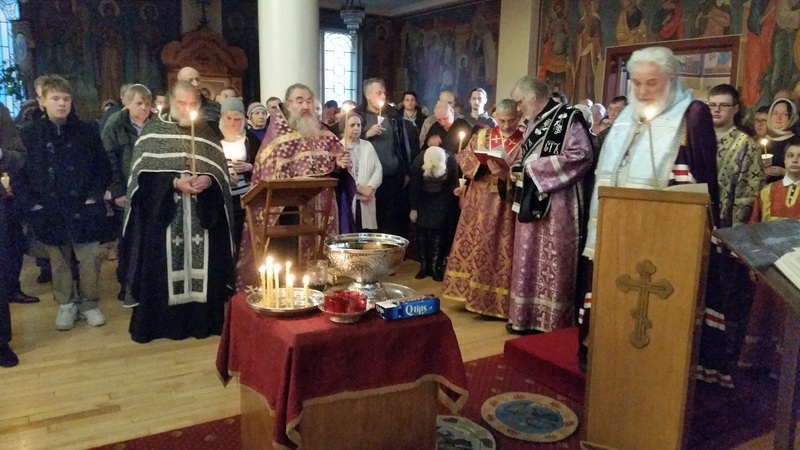 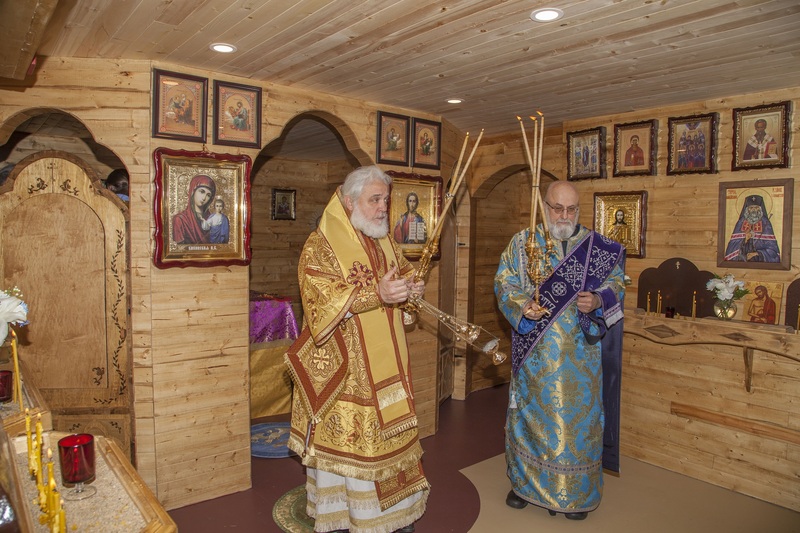 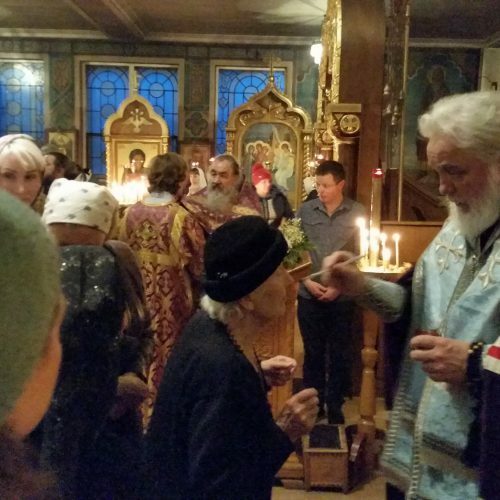 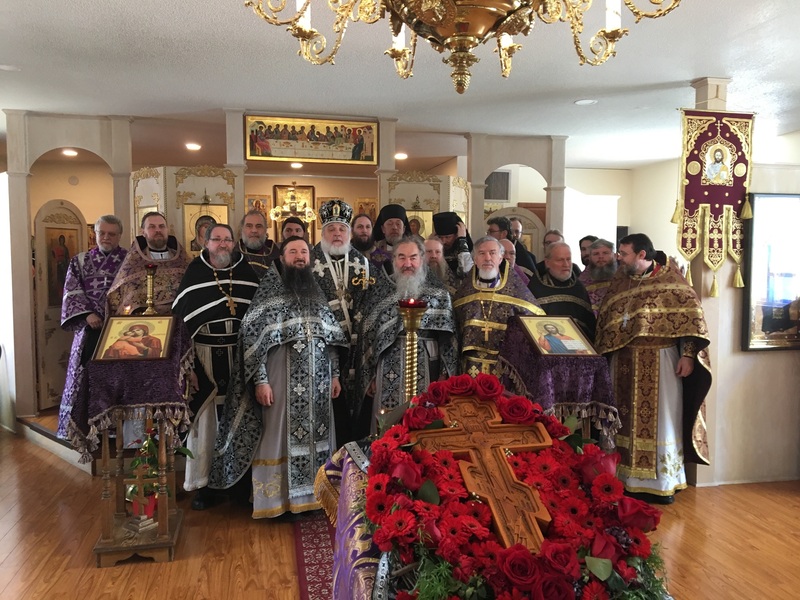 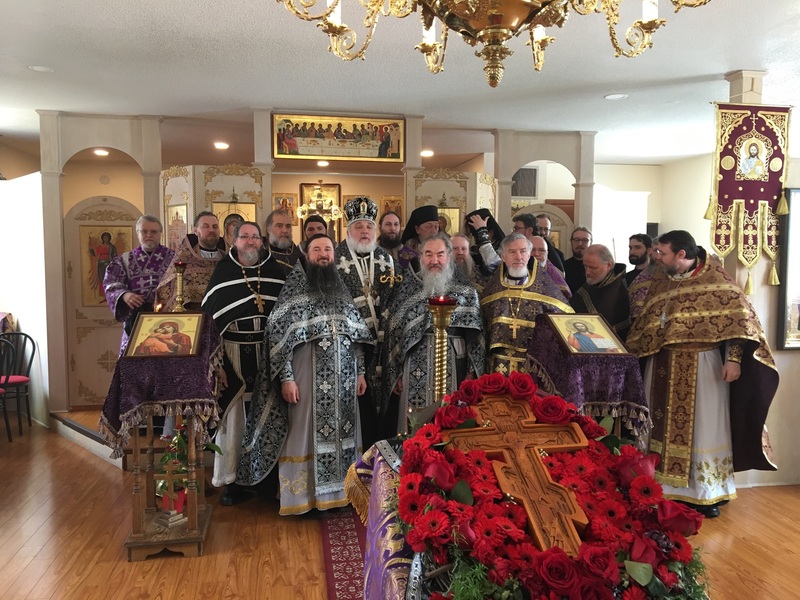 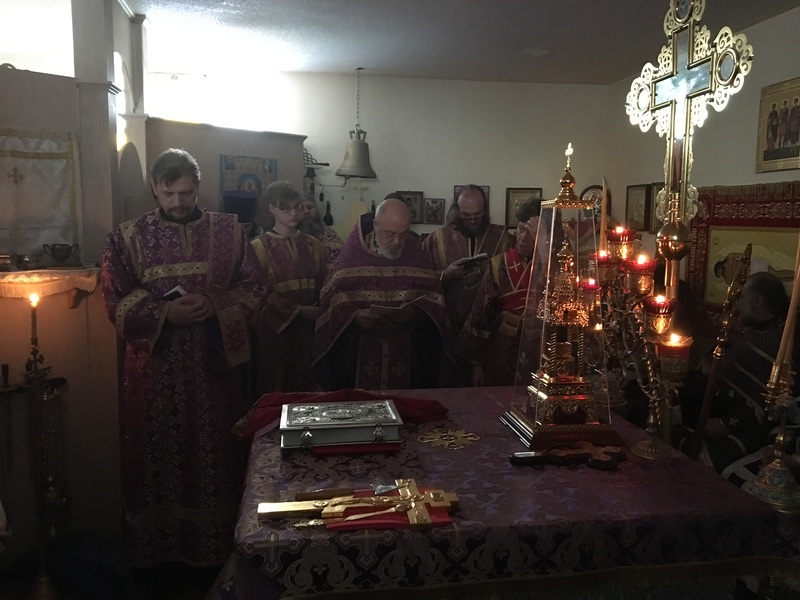 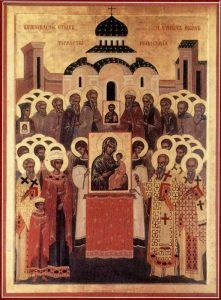 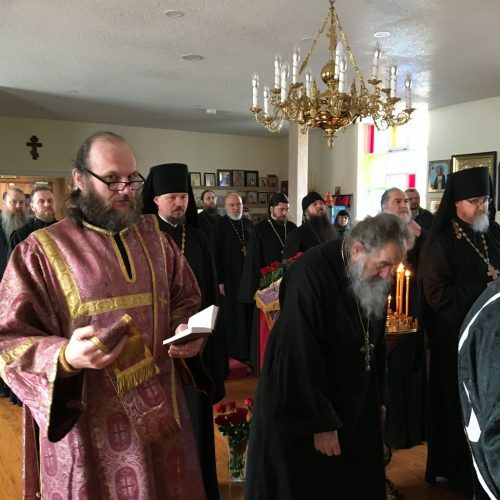 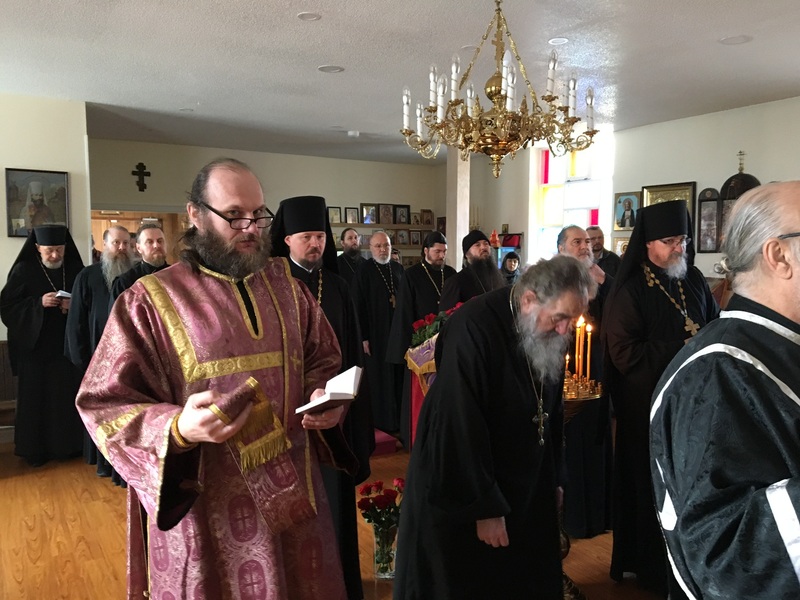 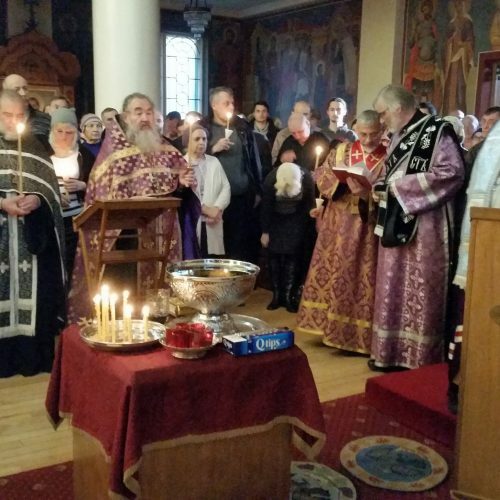 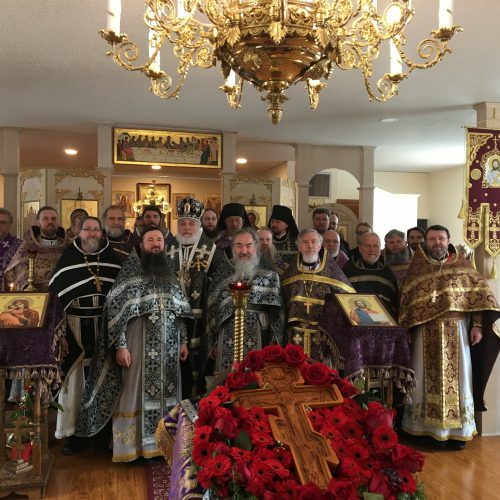 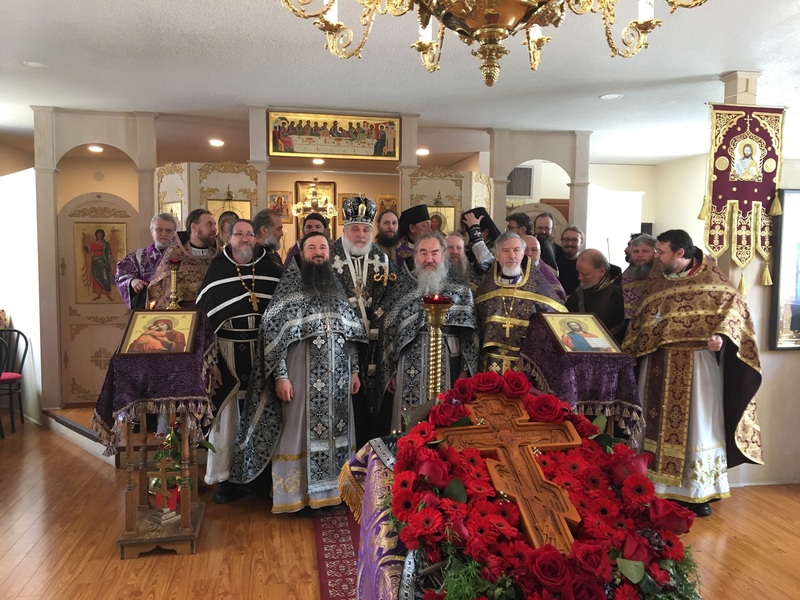 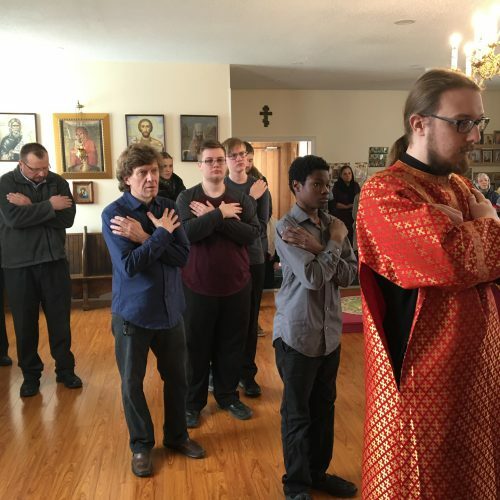 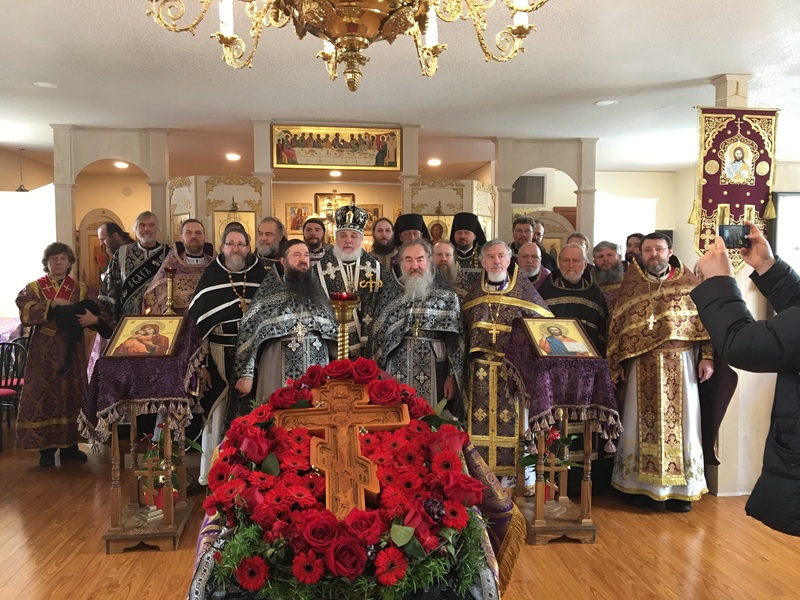 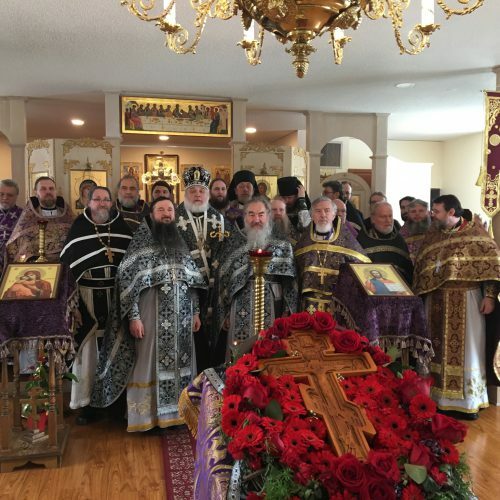 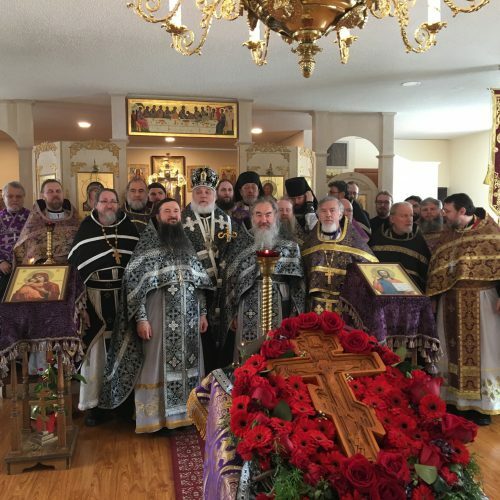 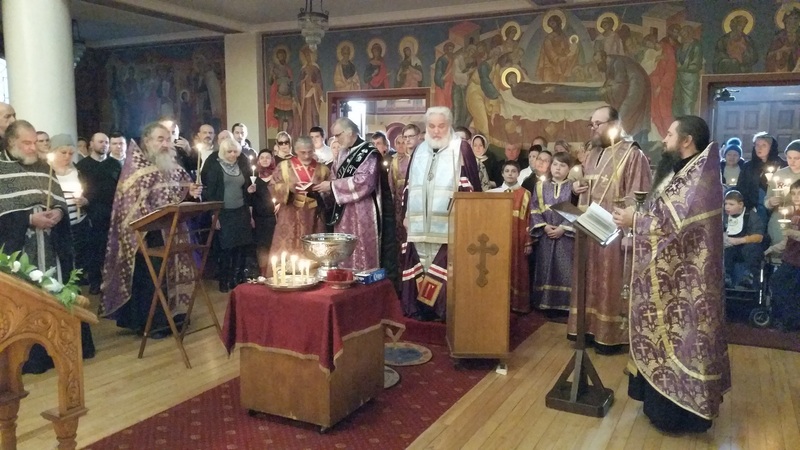 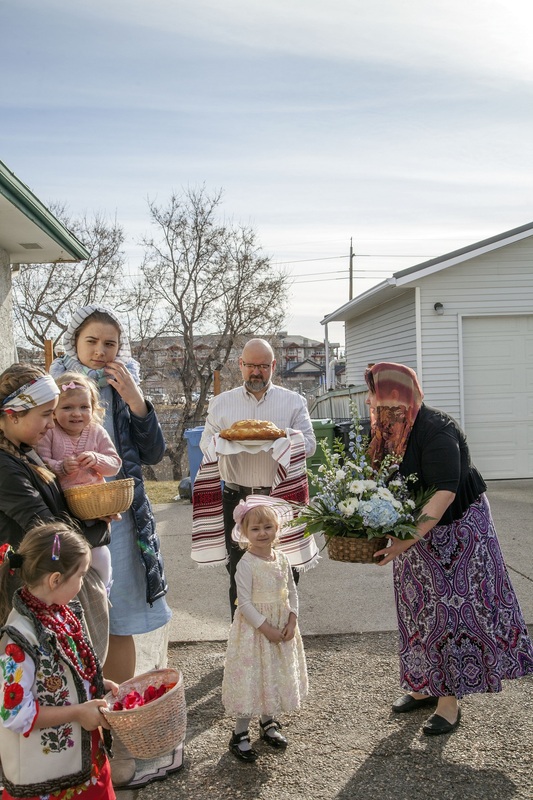 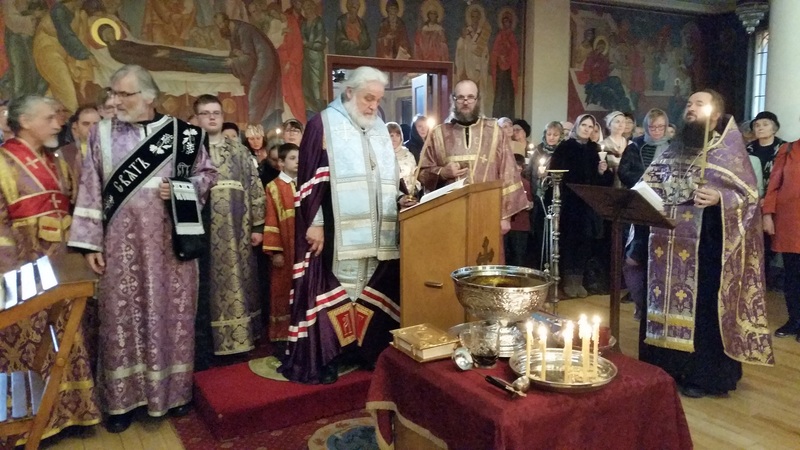 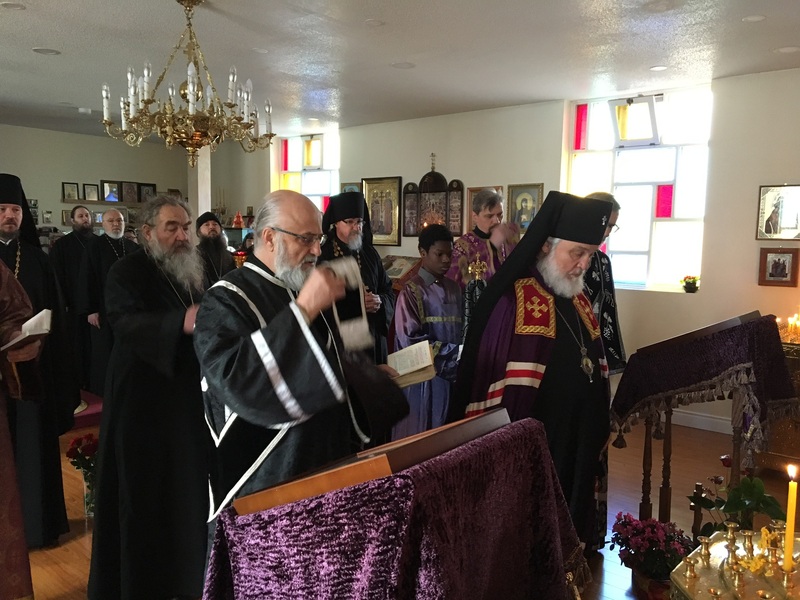 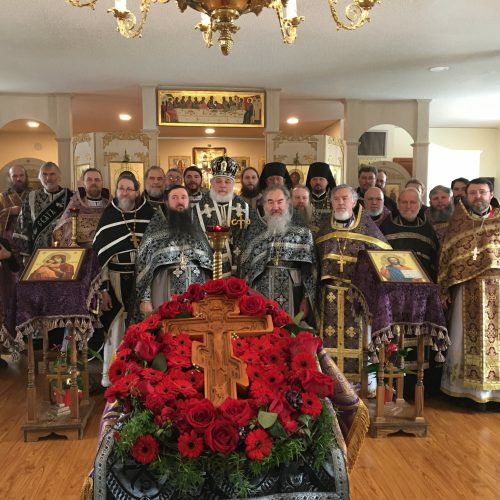 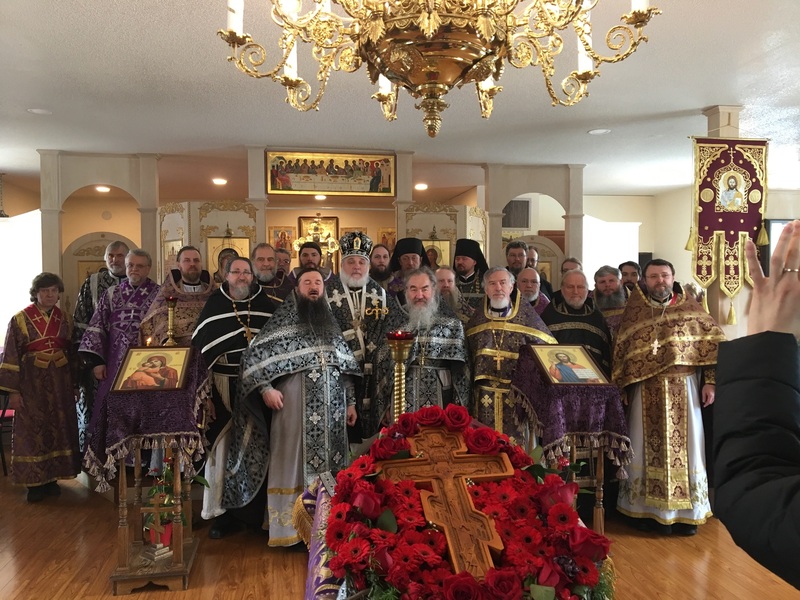 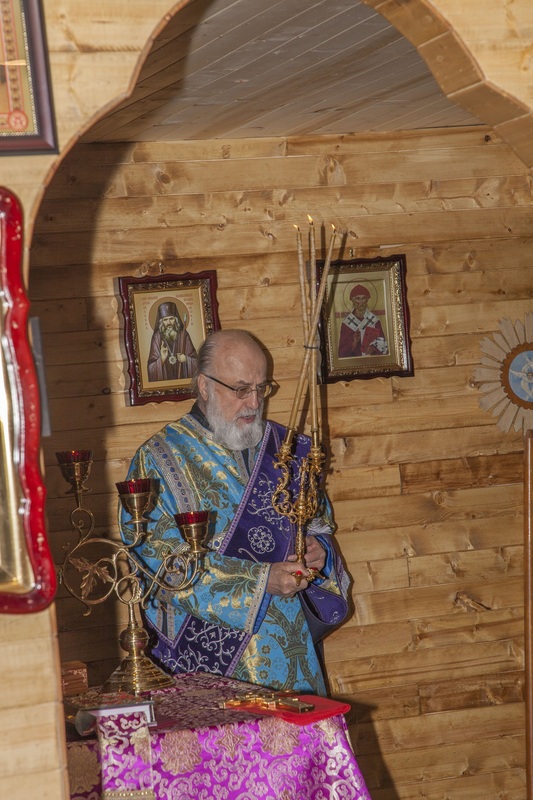 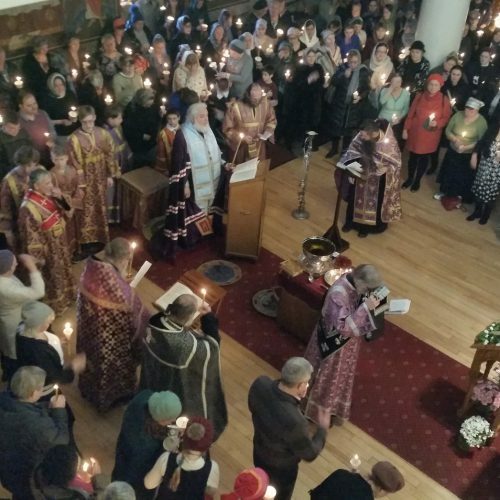 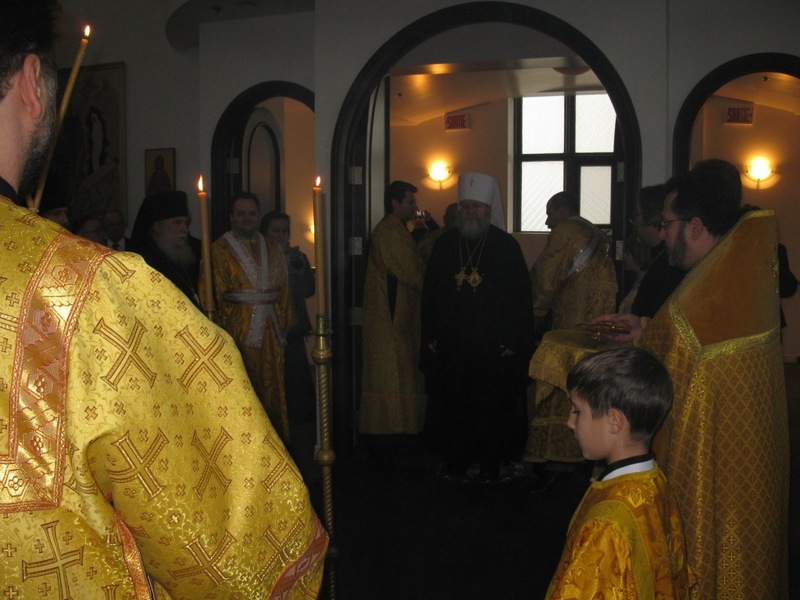 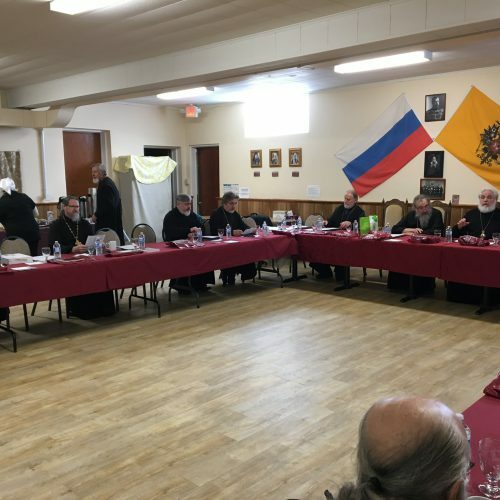 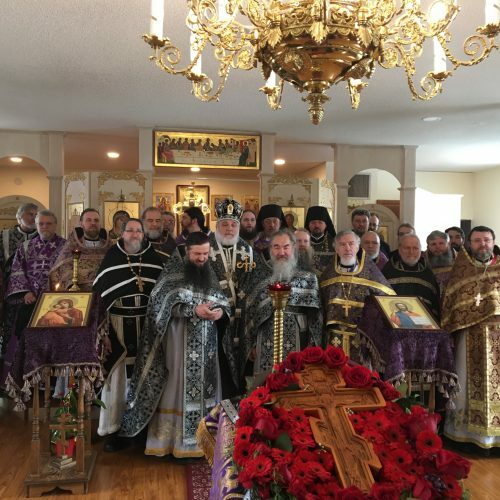 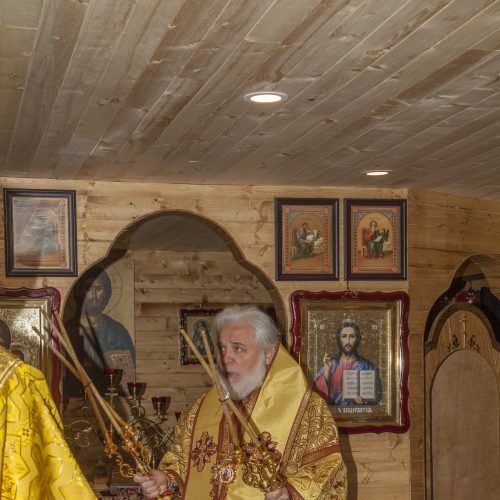 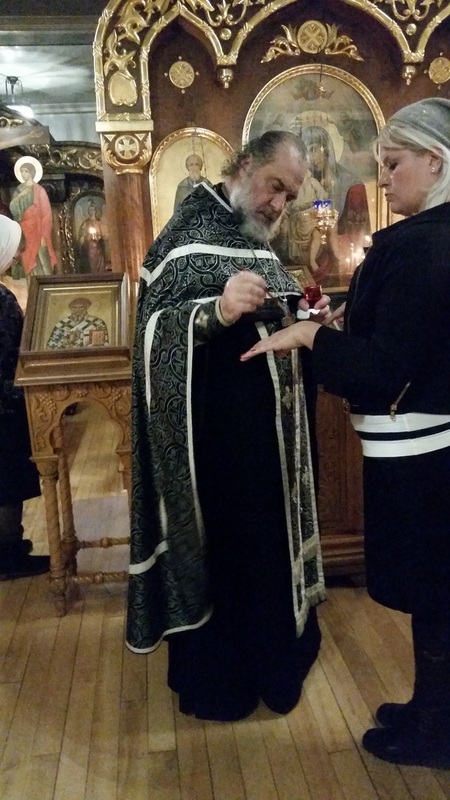 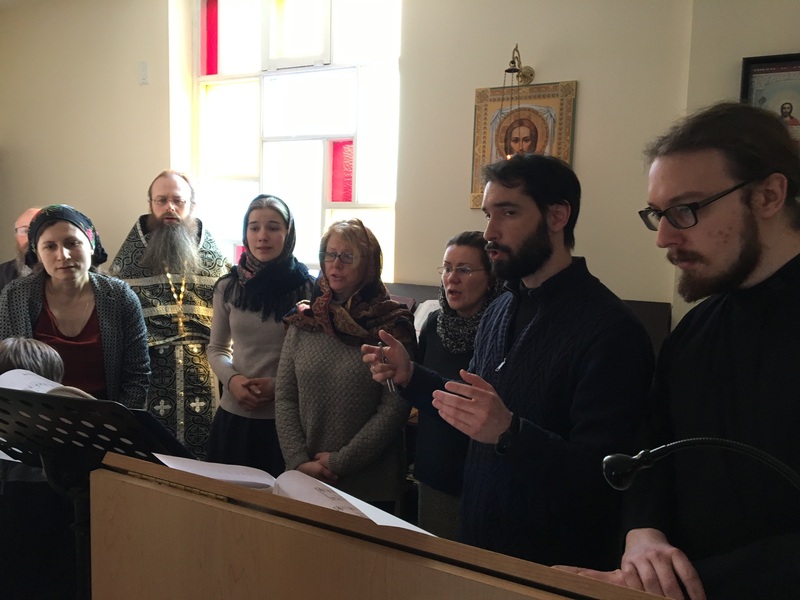 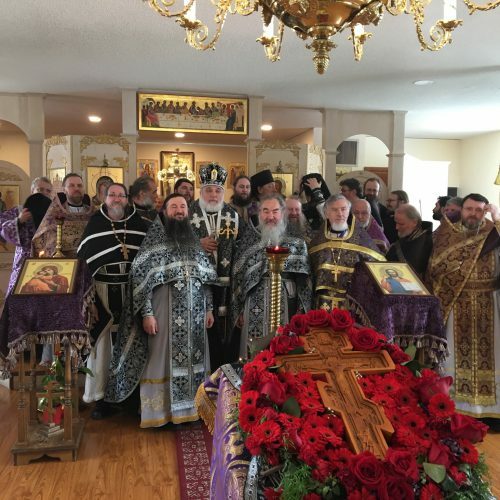 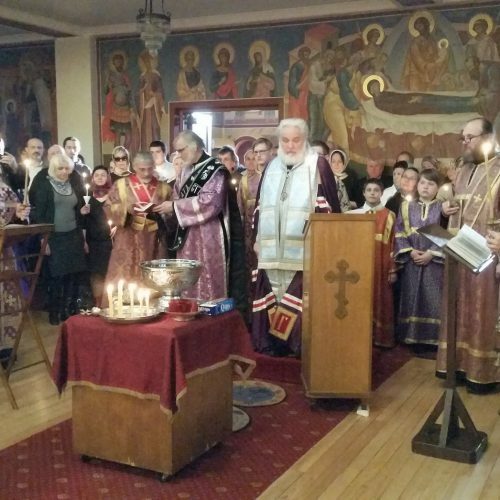 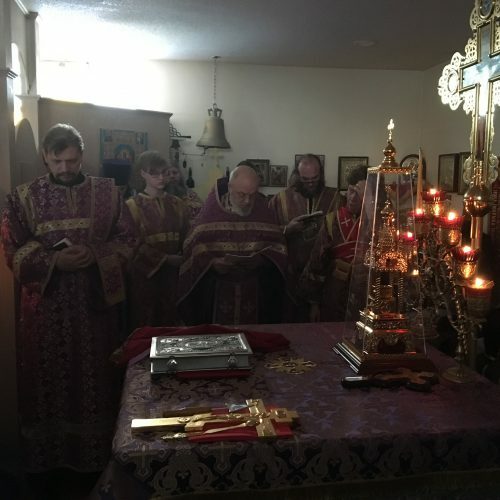 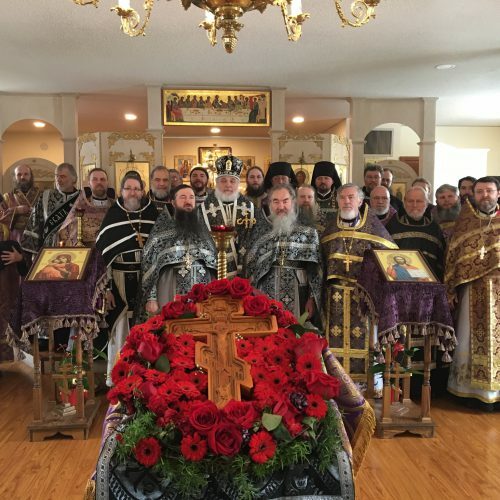 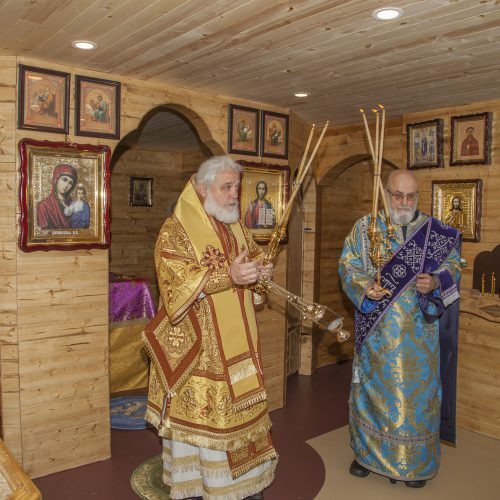 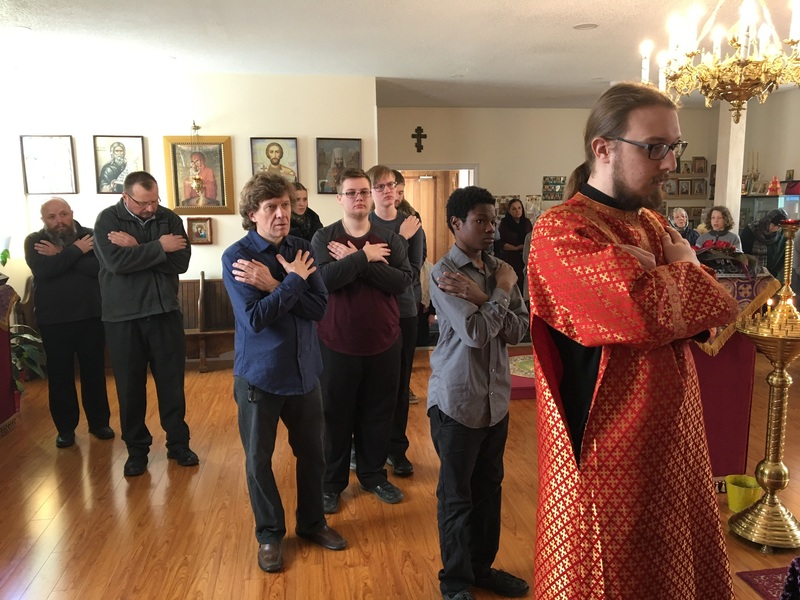 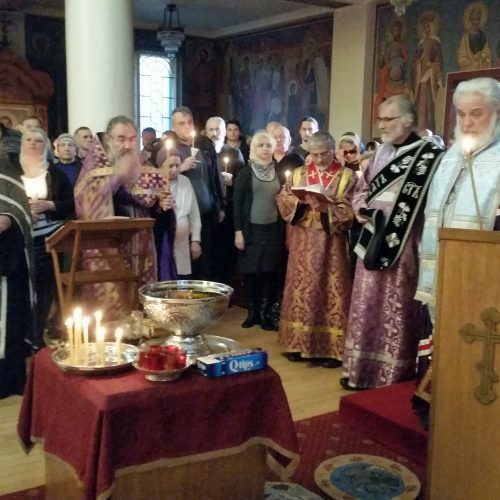 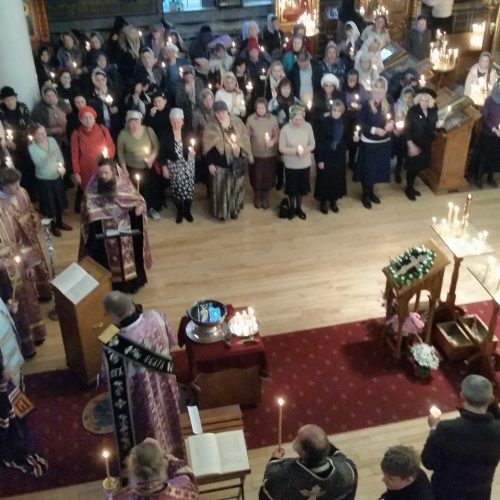 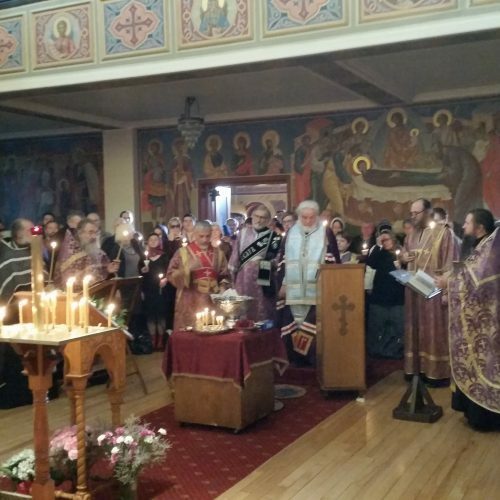 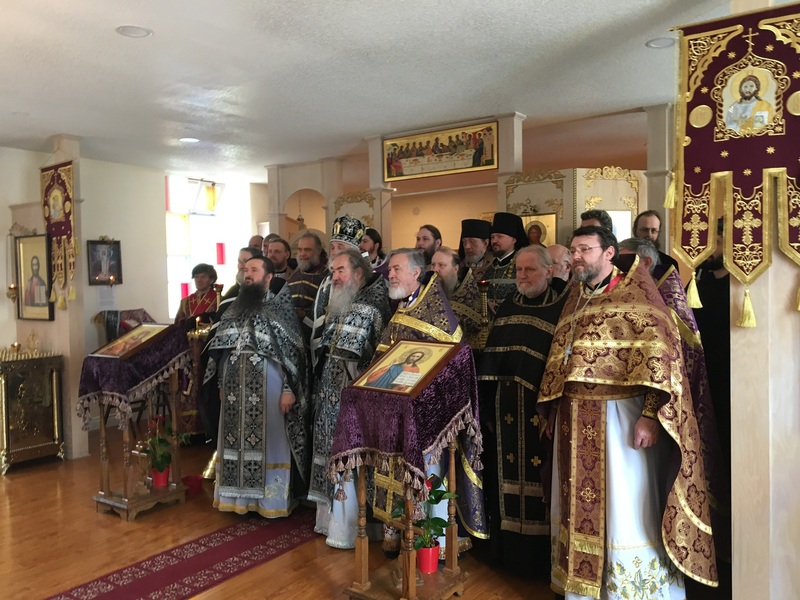 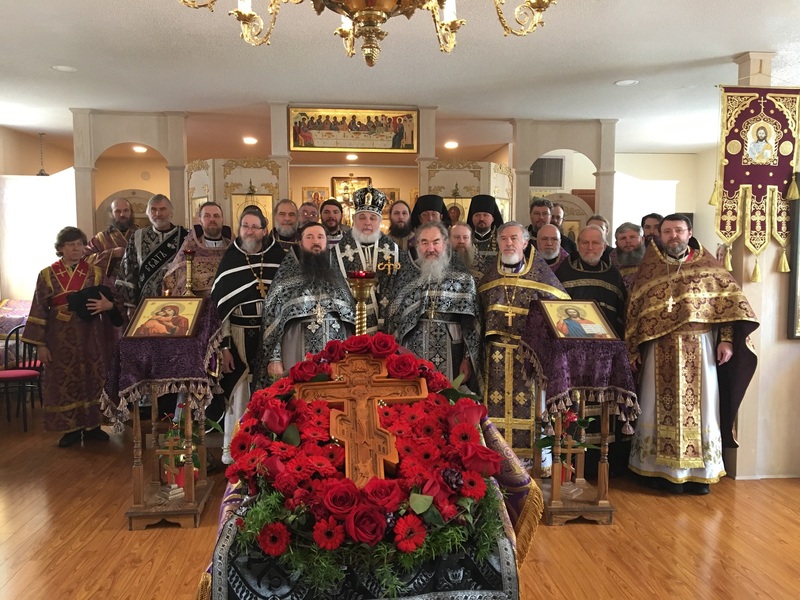 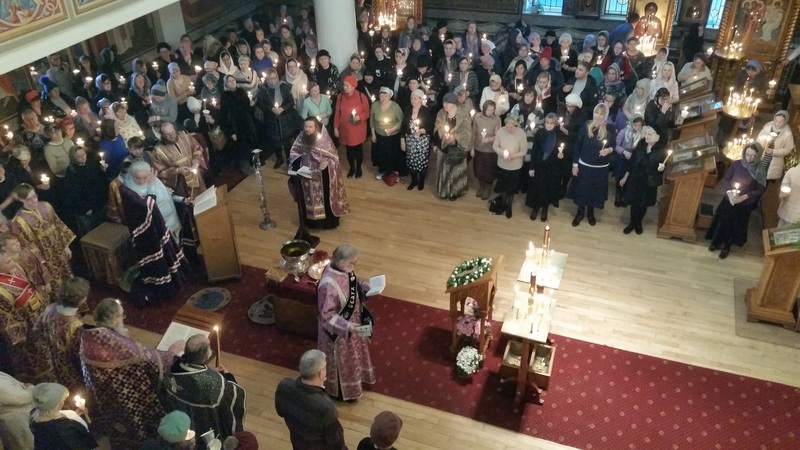 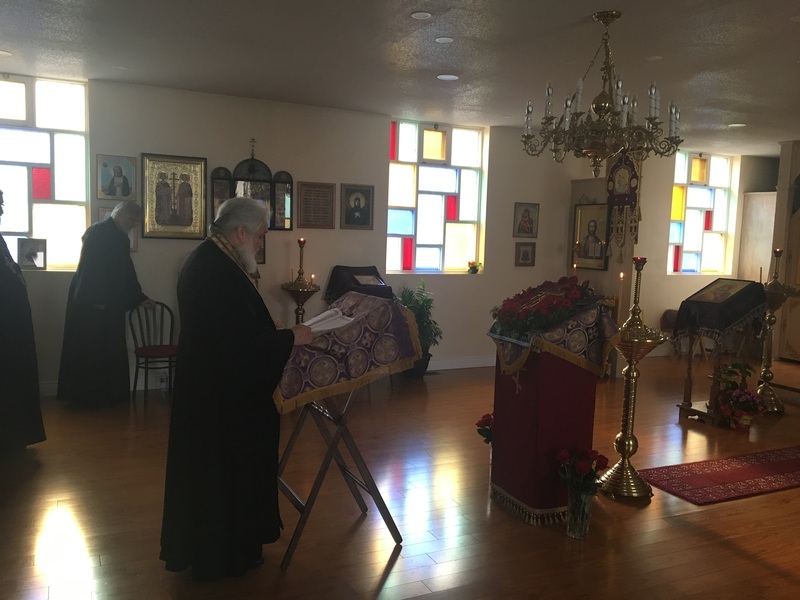 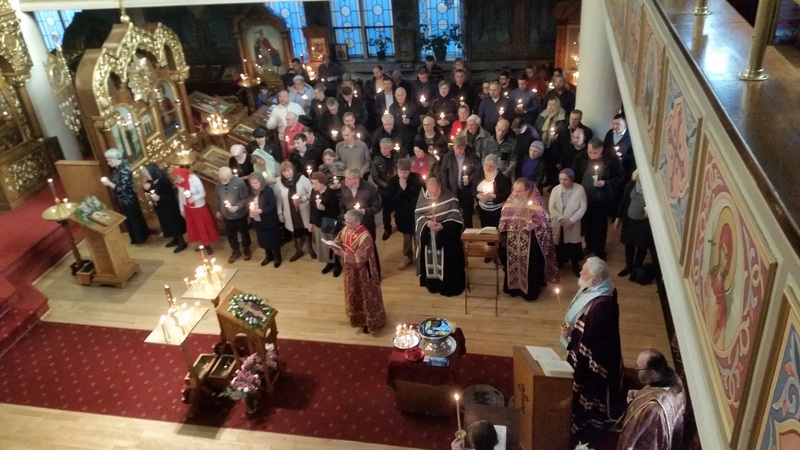 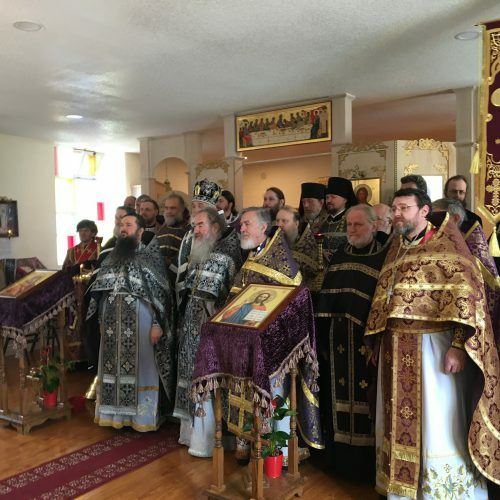 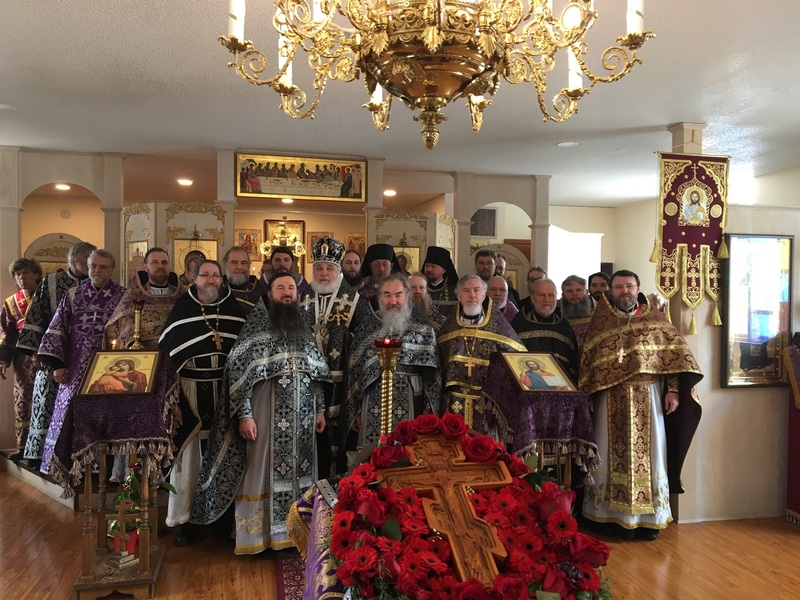 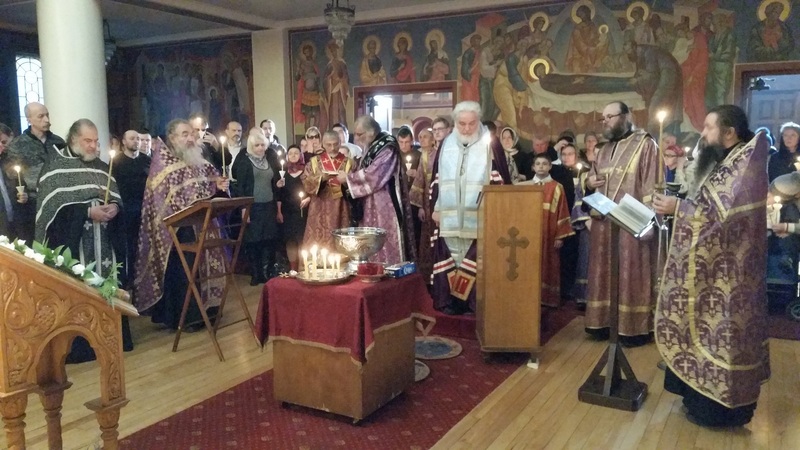 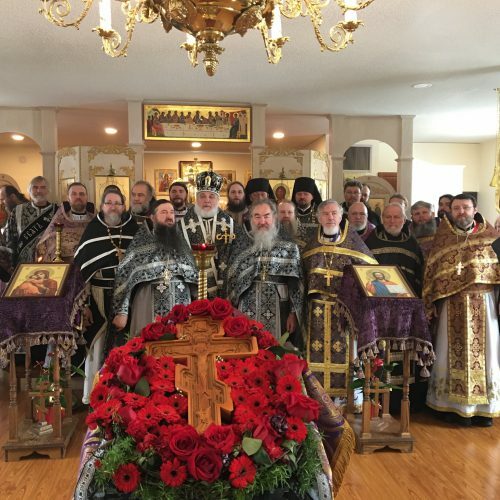 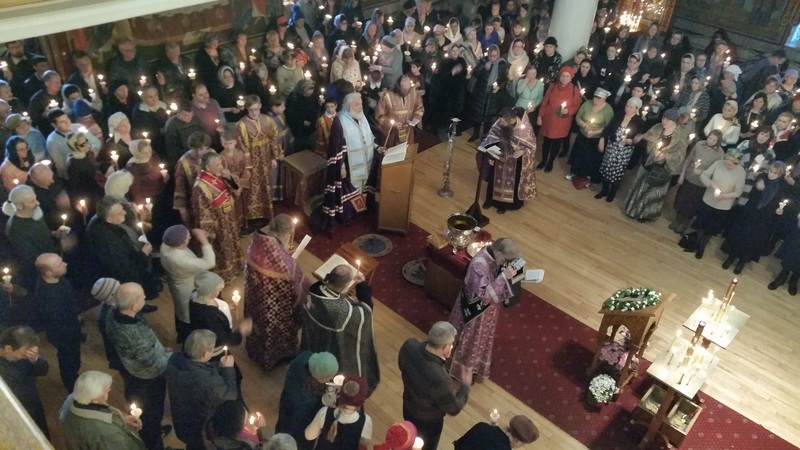 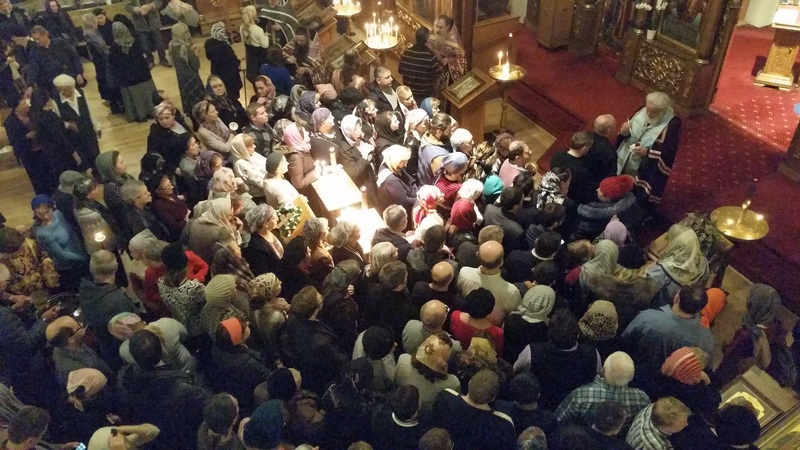 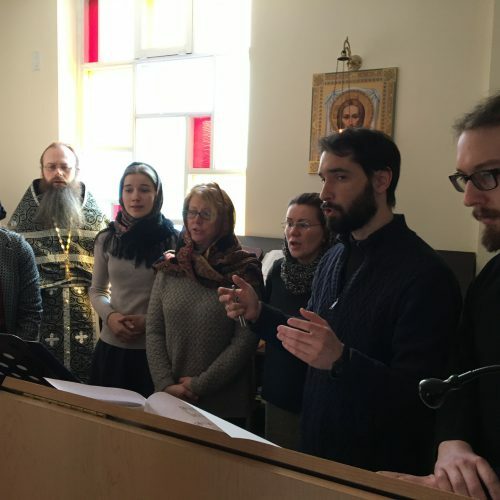 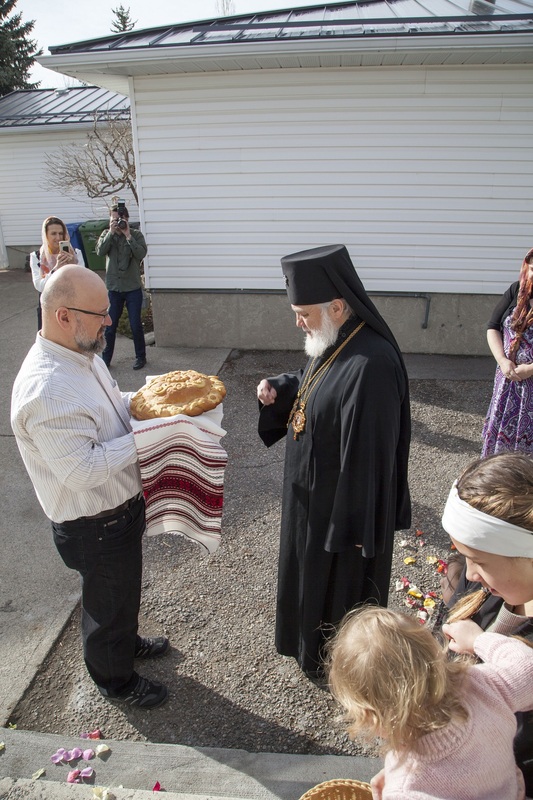 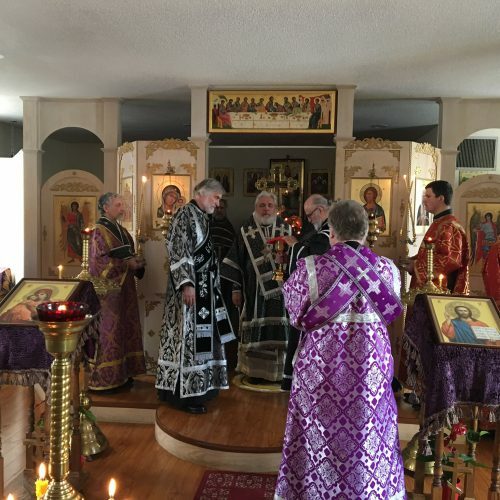 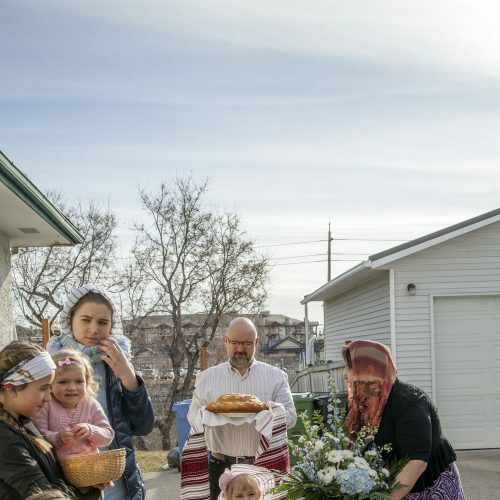 You are hereby informed that, between April 1 and April 3, 2019, at the Parish of St. Tikhon of Moscow (100 Pollock Ave, Cambridge, ON N1R 2B7, Tel: 519-574-4529, website: www.stikhon.org) the Annual Pastoral Lenten Retreat of the Clergy of the Diocese of Canada will be held under my presidency. 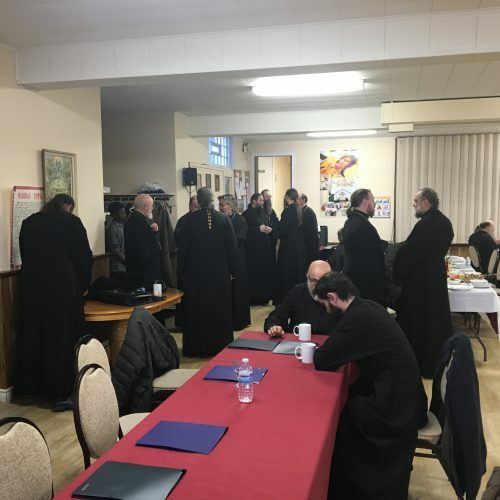 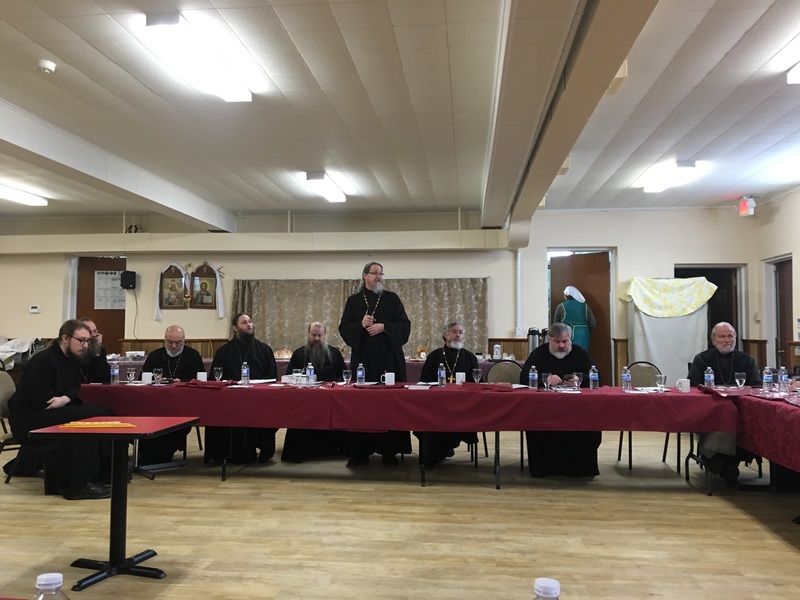 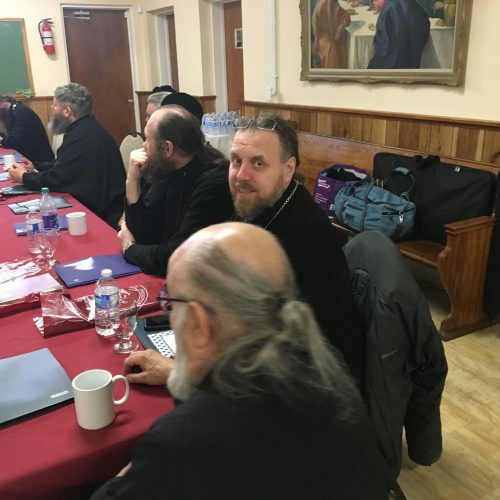 Participation in the Clergy Retreat are obligatory for all clergymen of the Diocese. 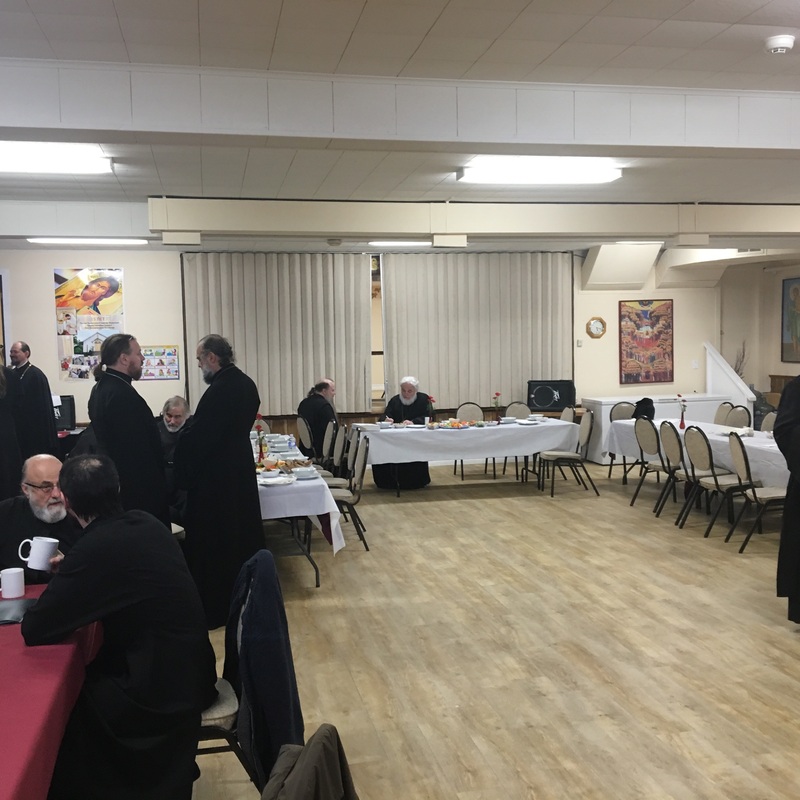 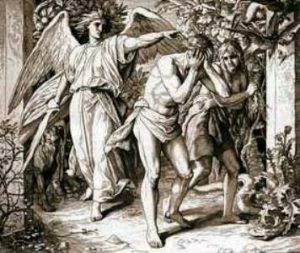 If, for some important reason, it proves impossible to travel to Cambridge on the designated days, we ask that you inform us well in advance, in writing, at the address of the Diocesan Administration, detailing such reasons. 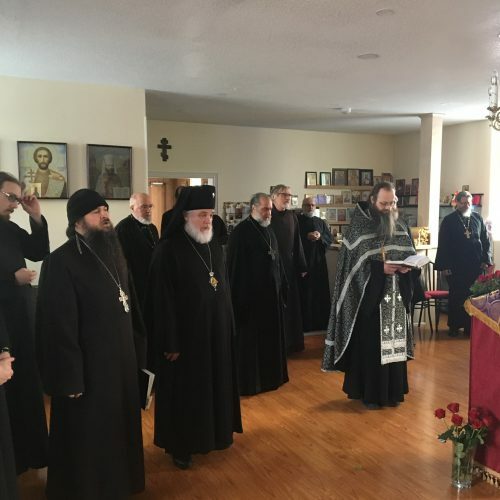 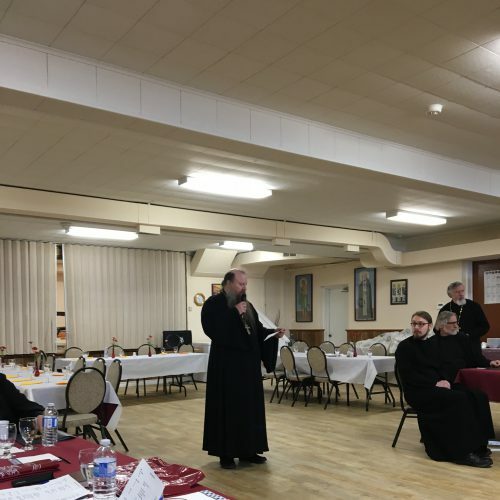 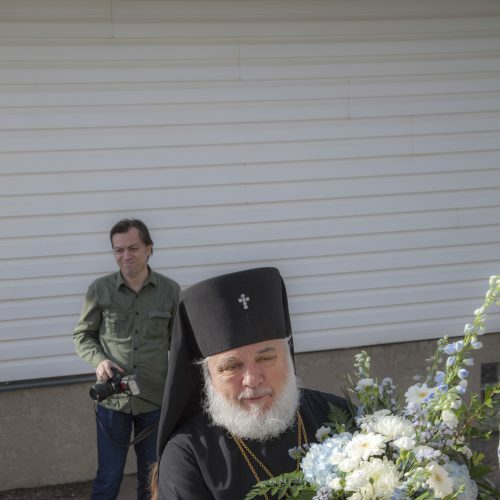 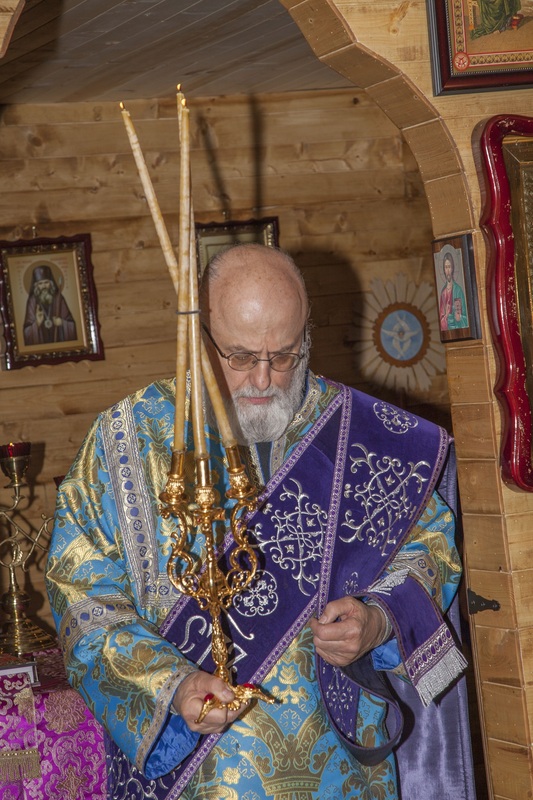 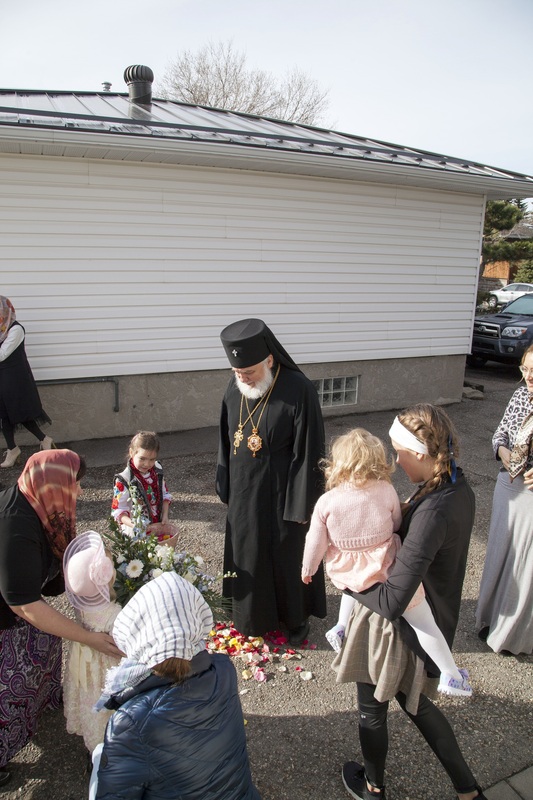 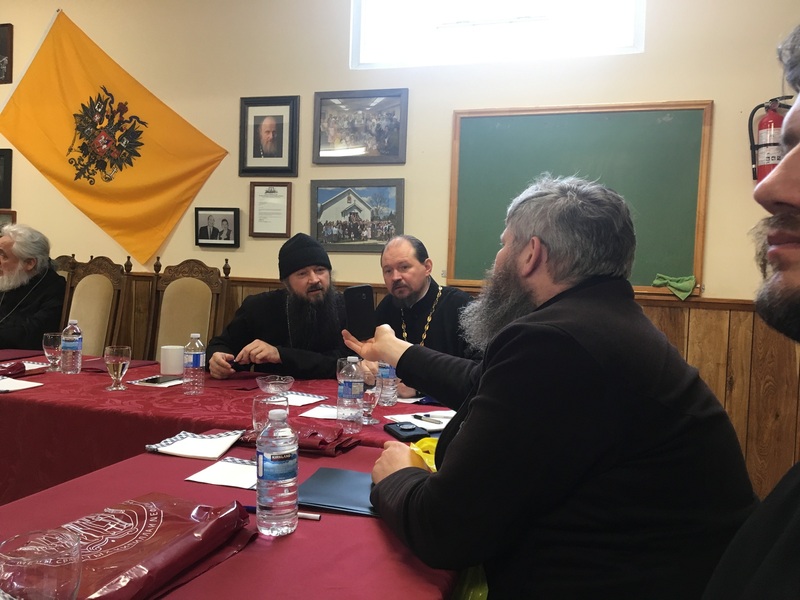 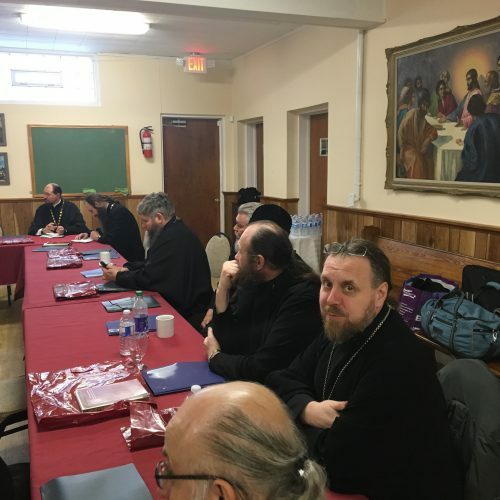 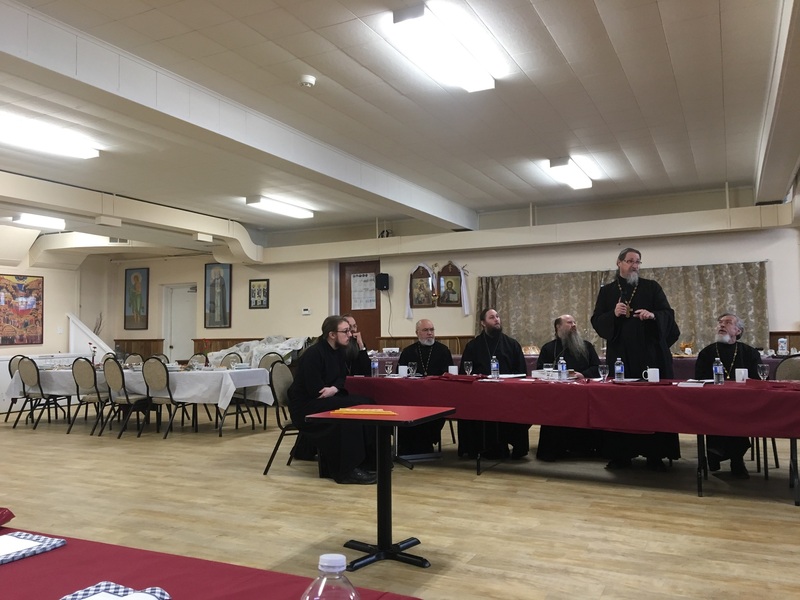 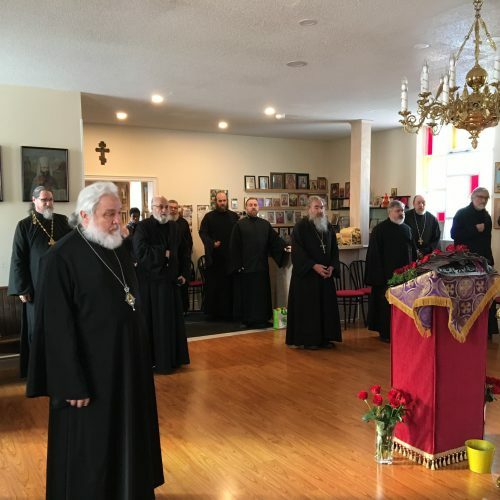 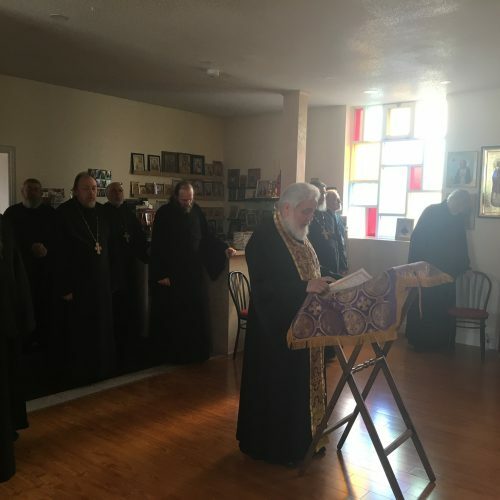 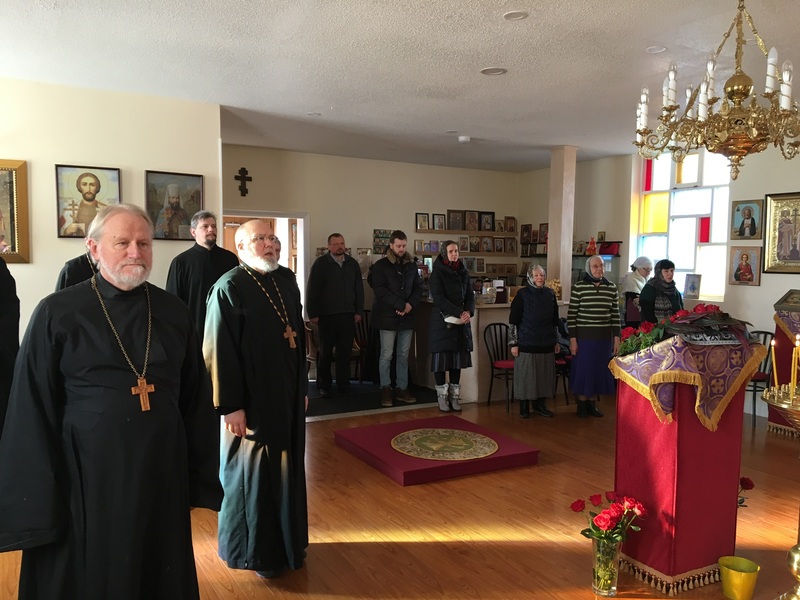 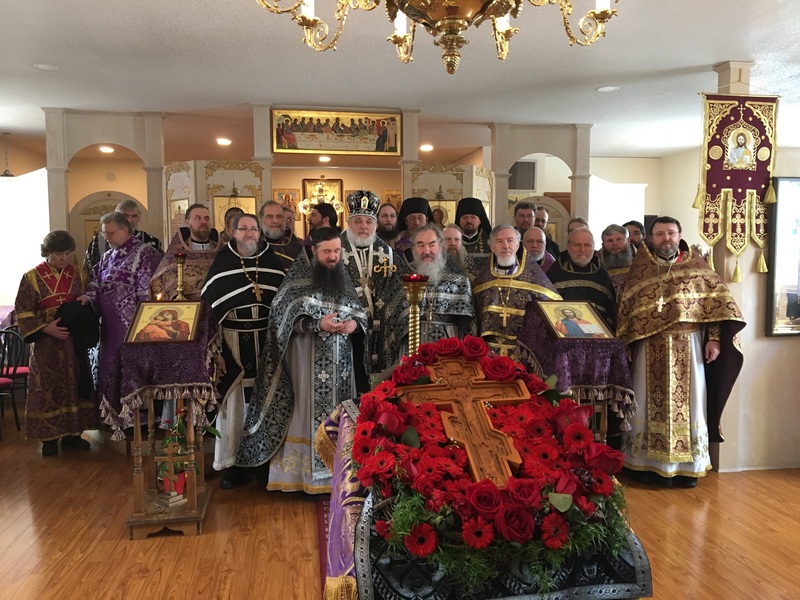 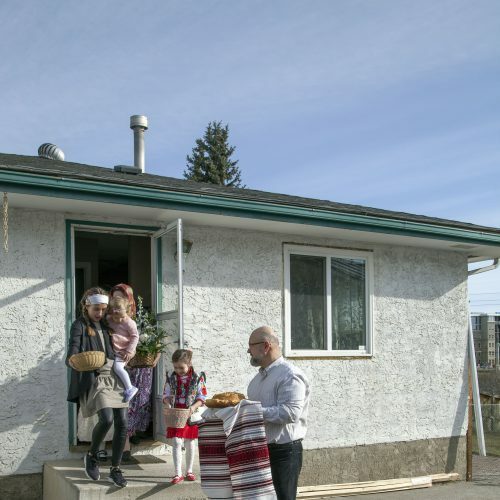 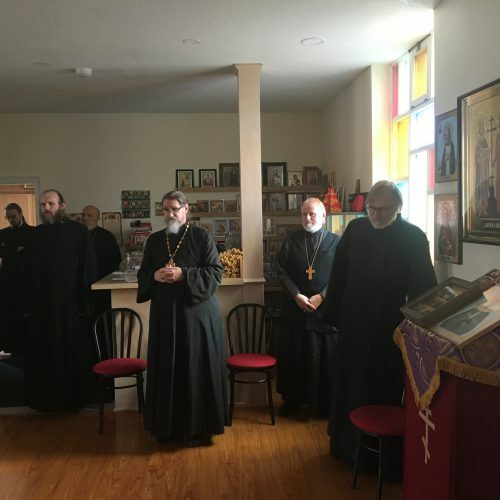 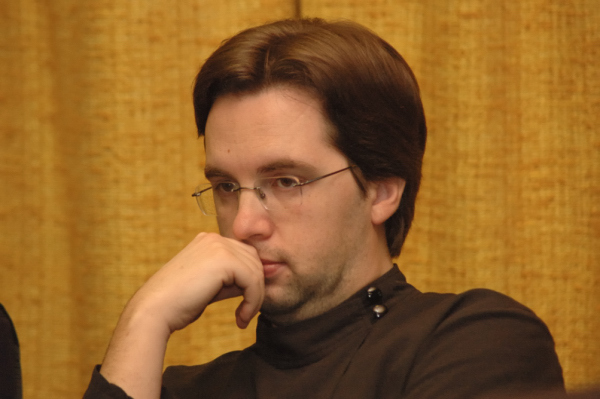 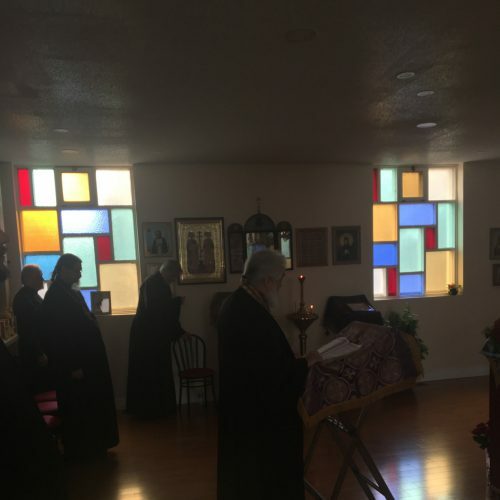 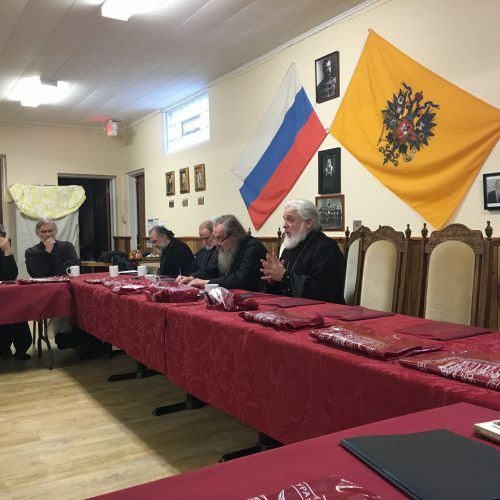 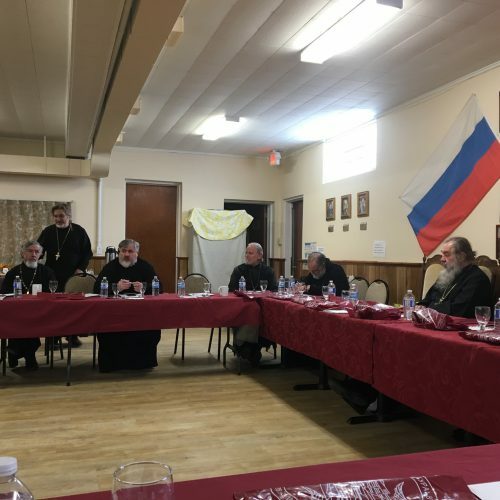 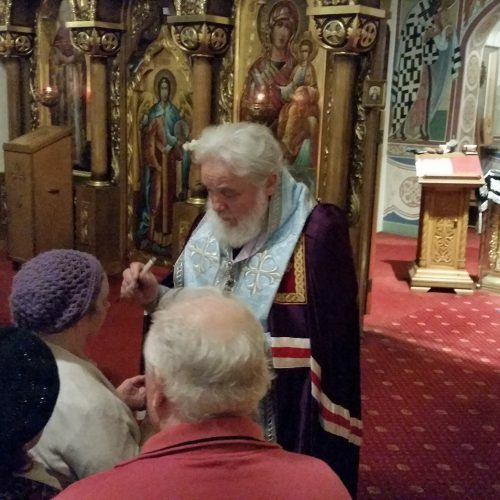 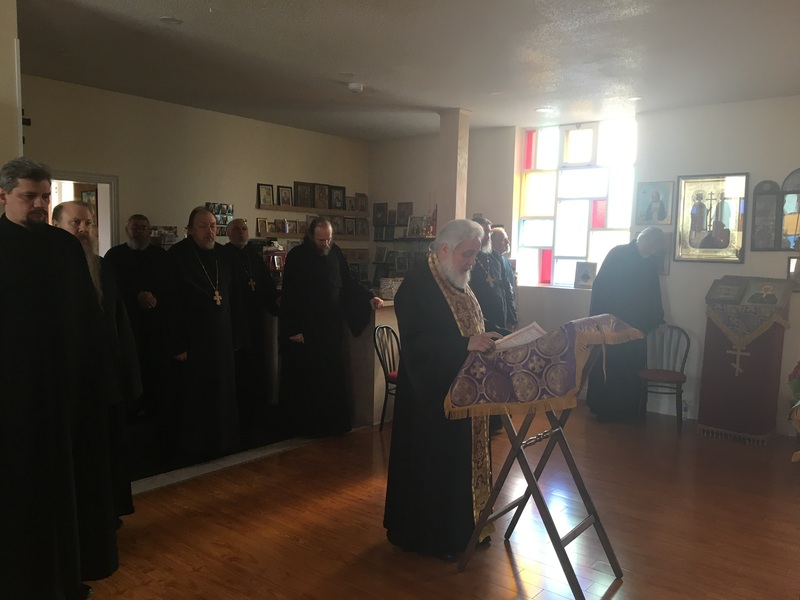 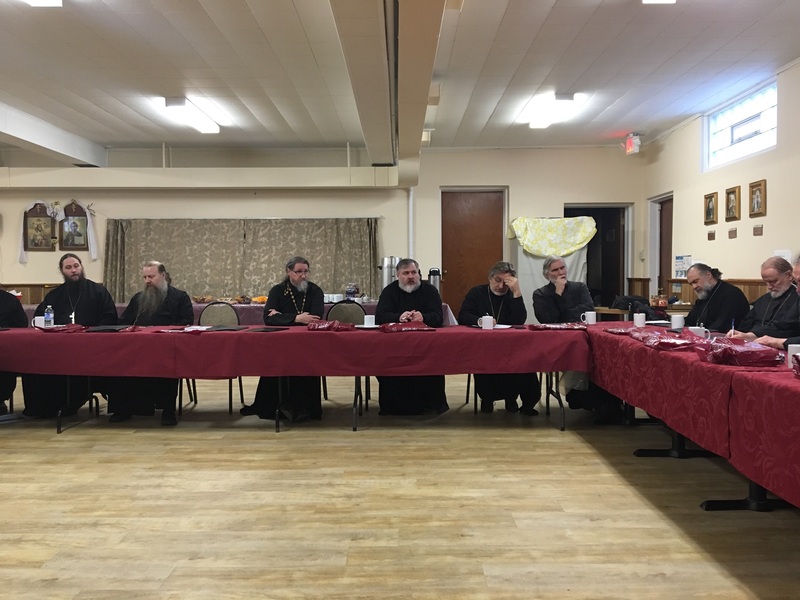 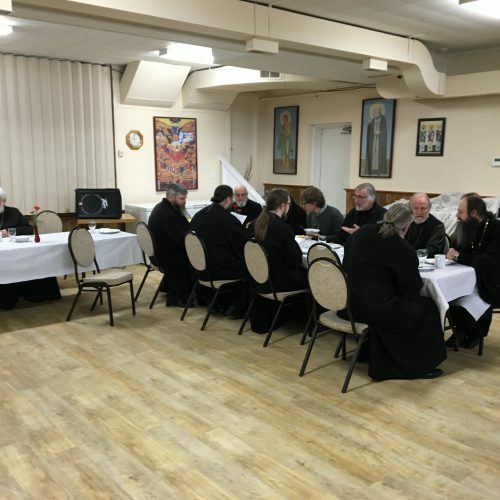 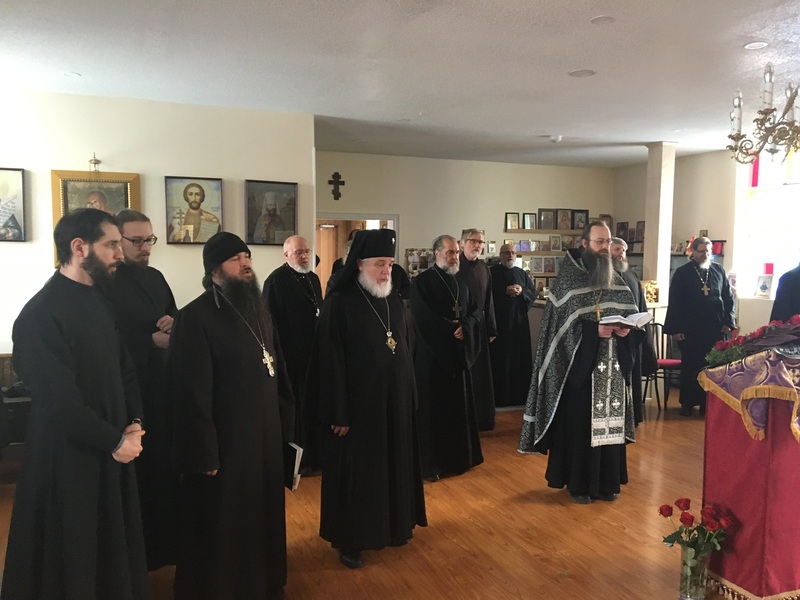 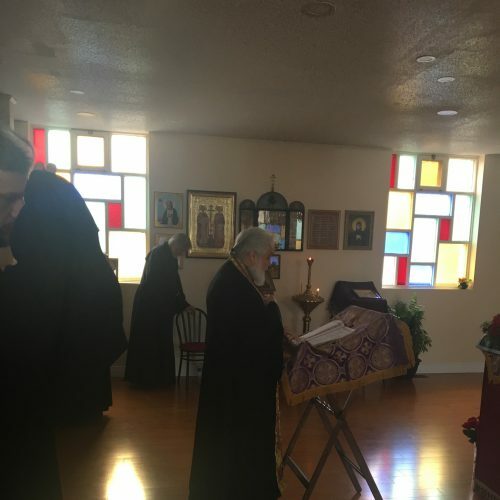 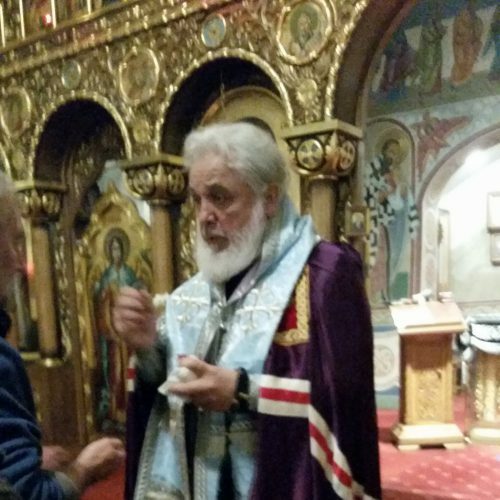 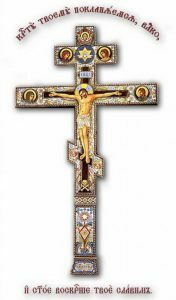 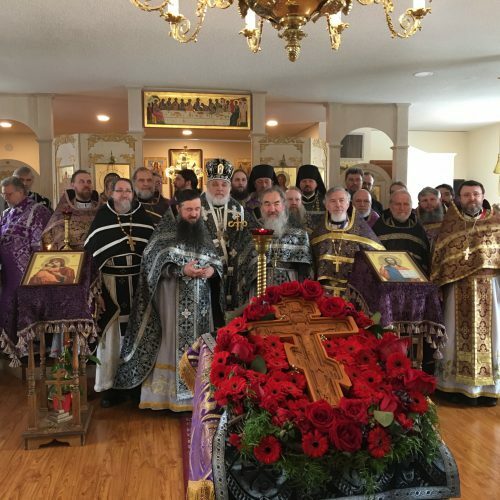 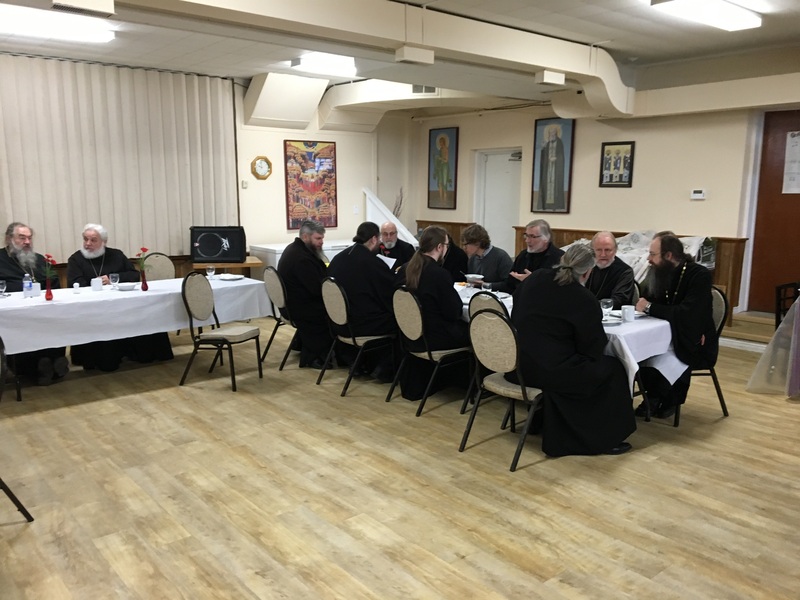 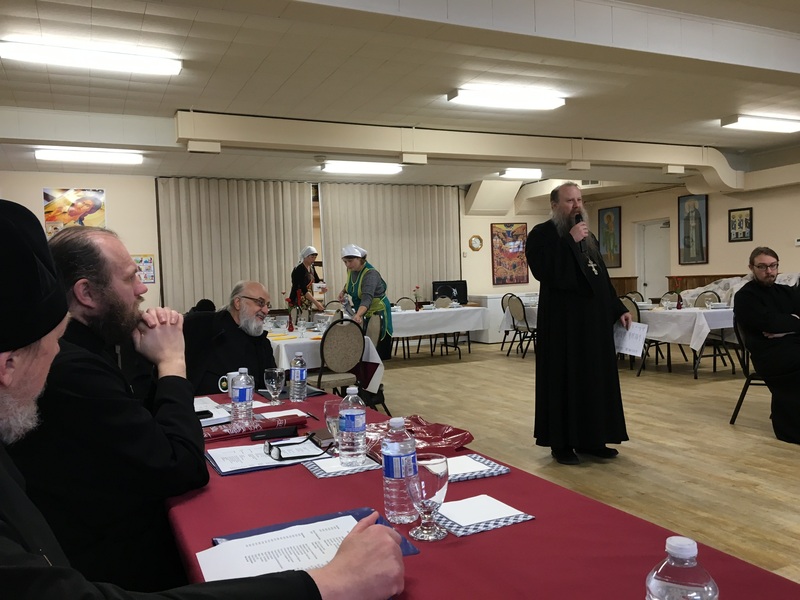 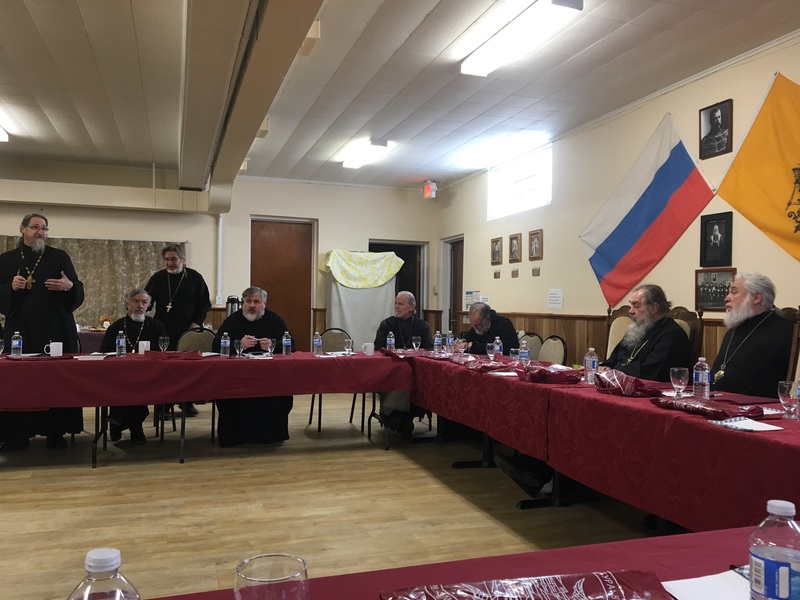 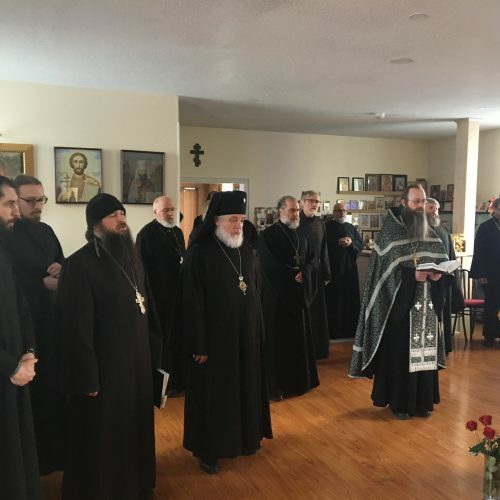 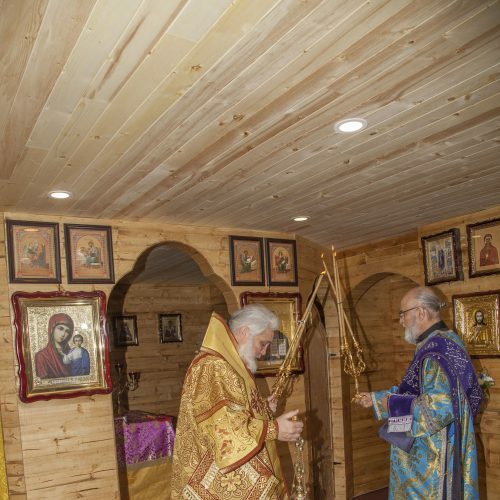 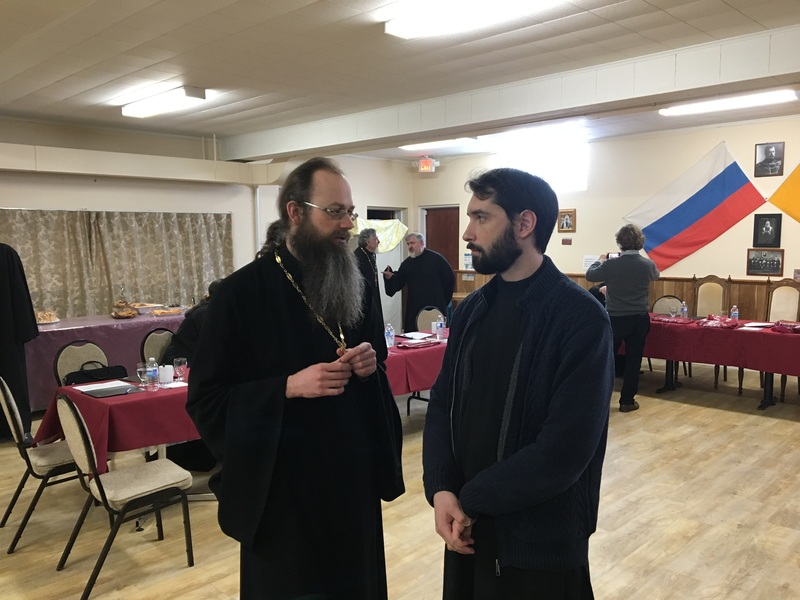 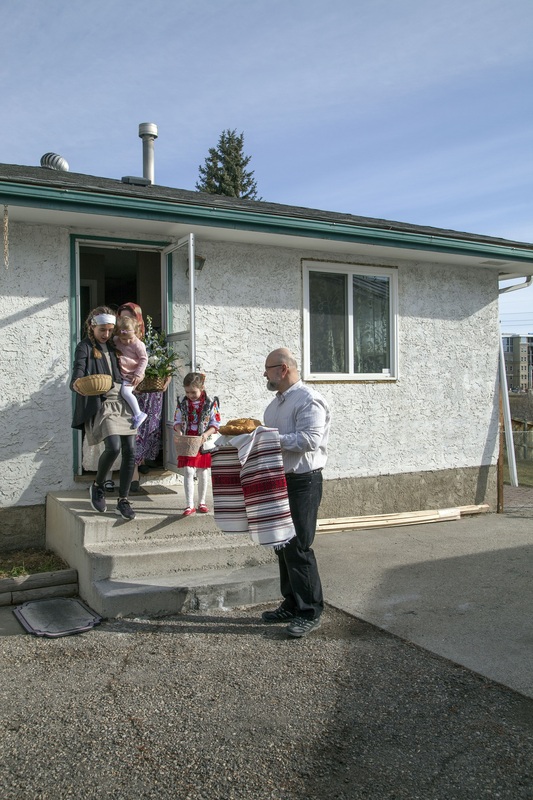 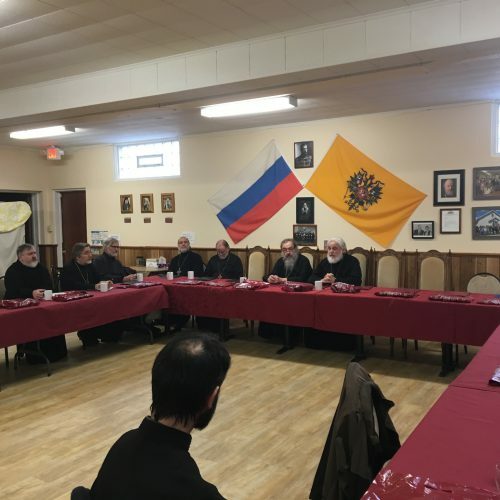 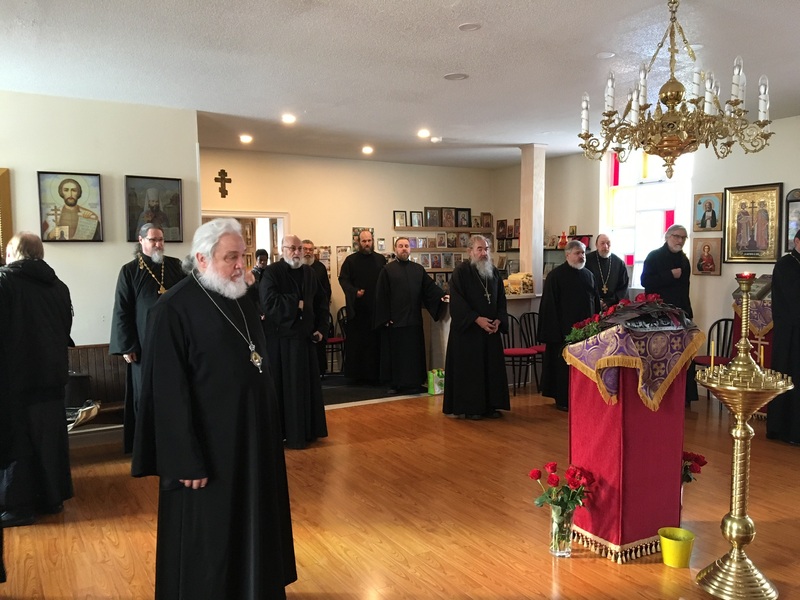 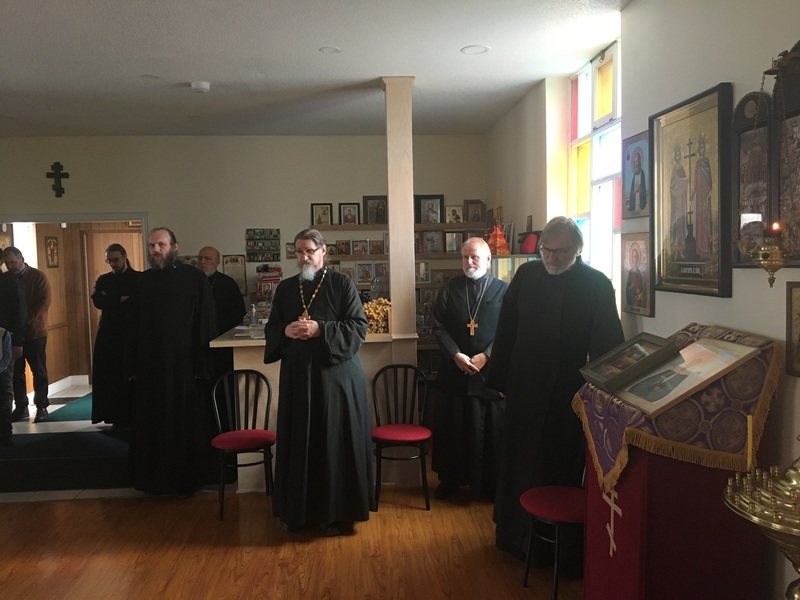 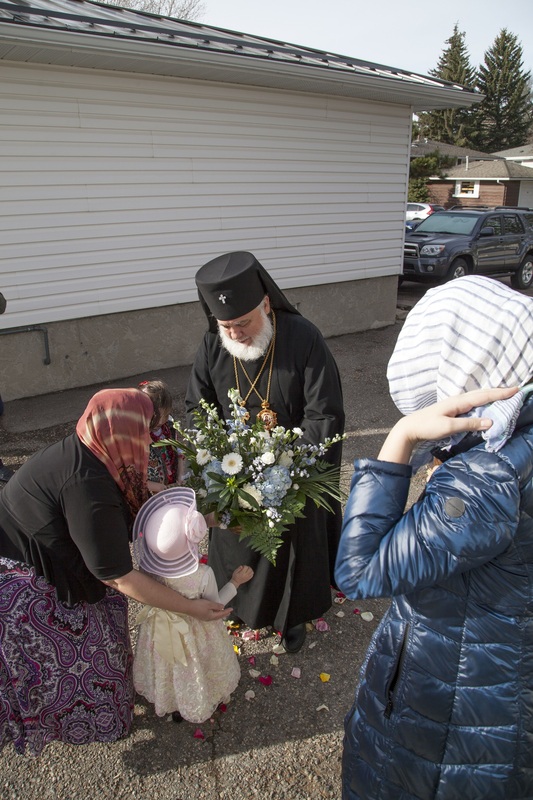 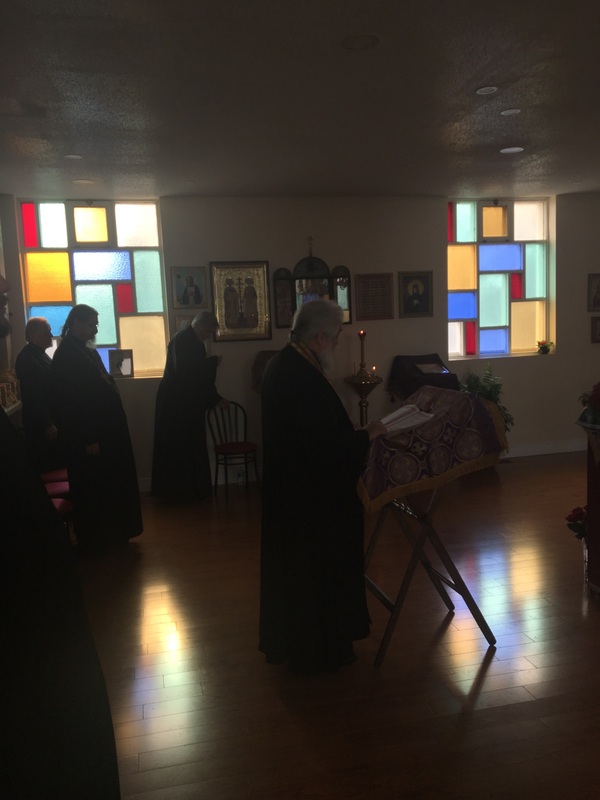 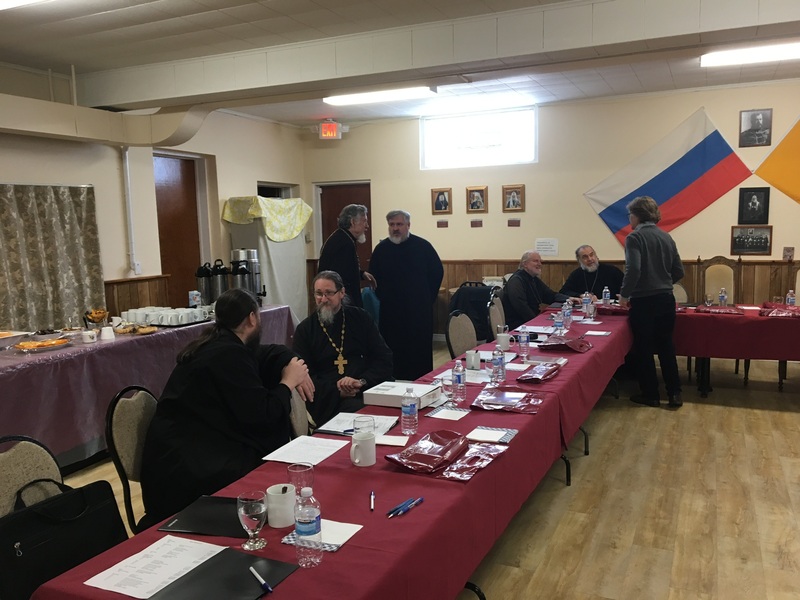 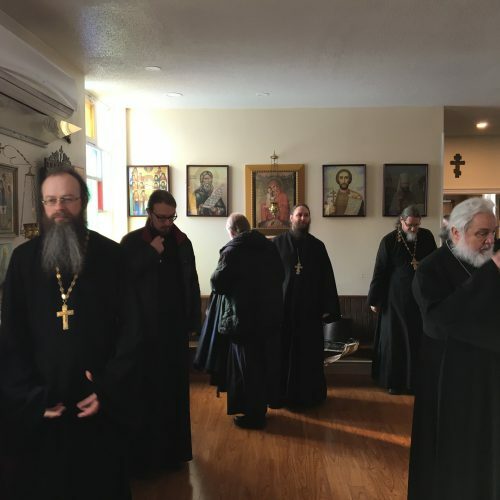 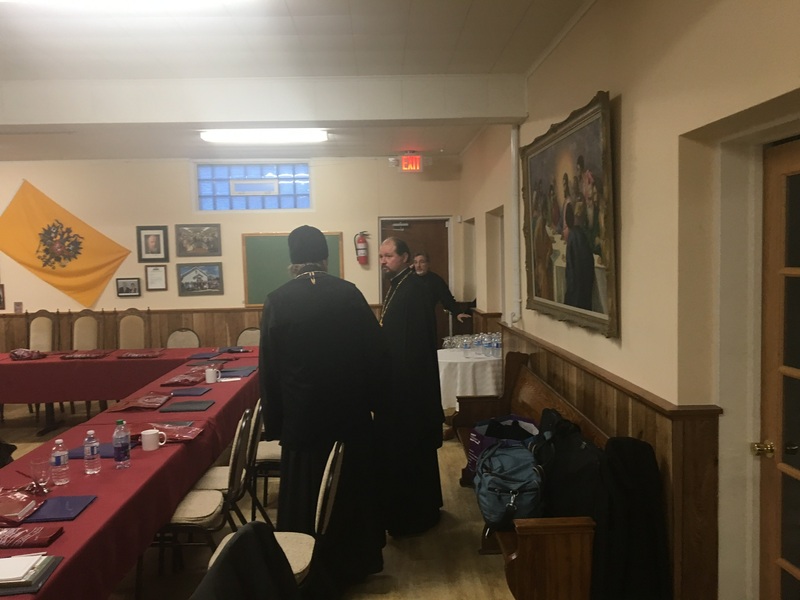 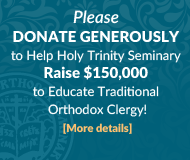 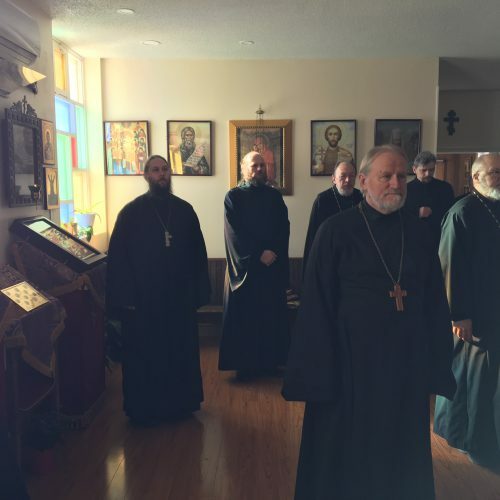 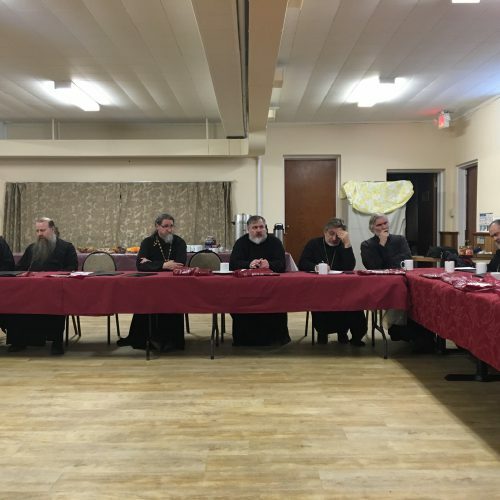 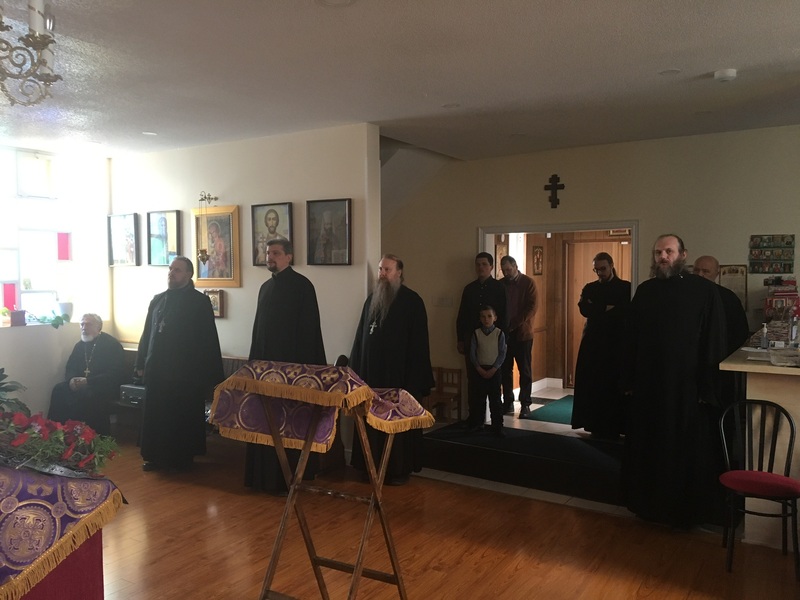 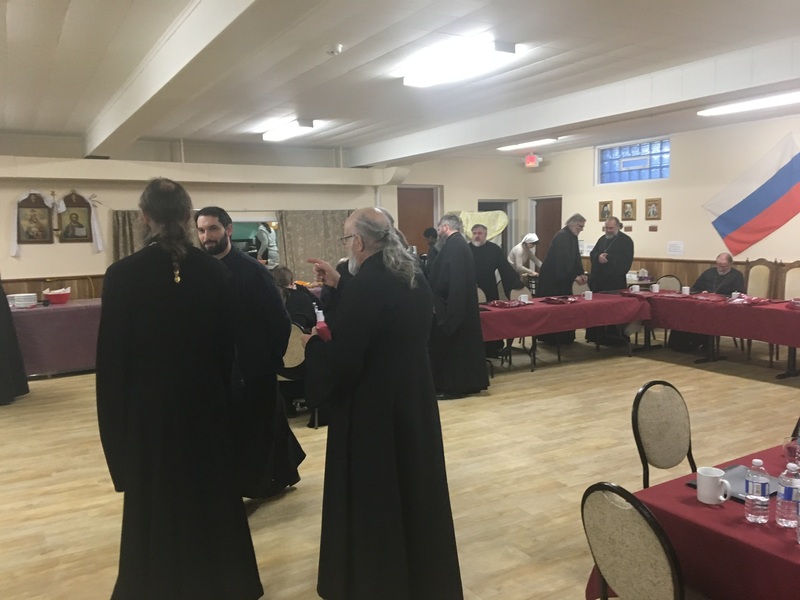 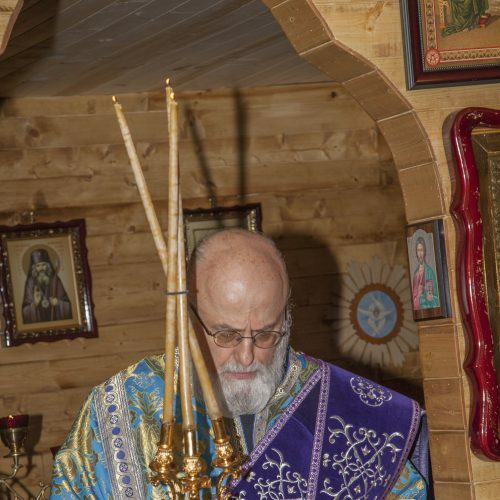 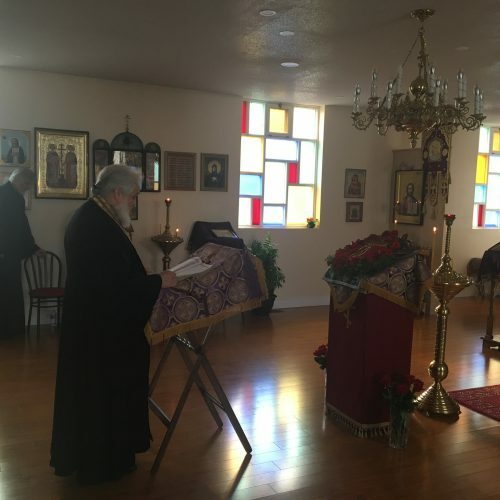 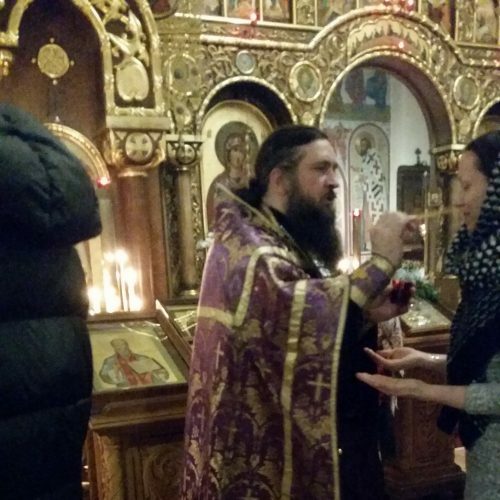 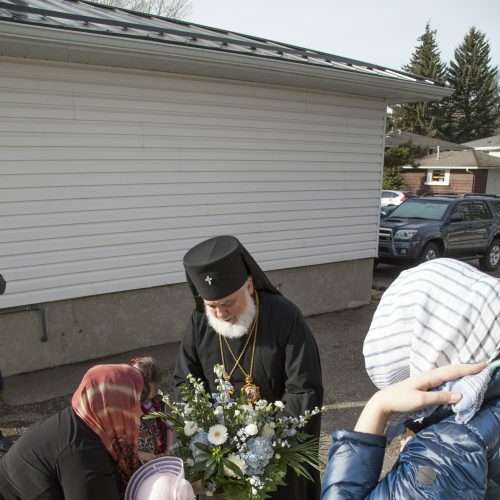 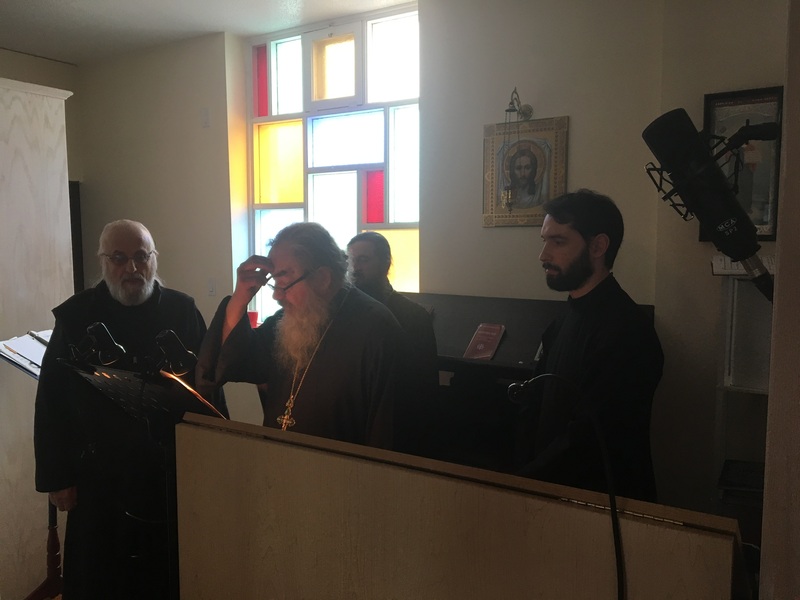 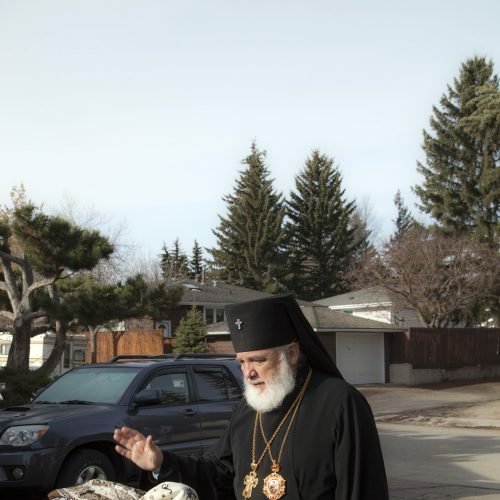 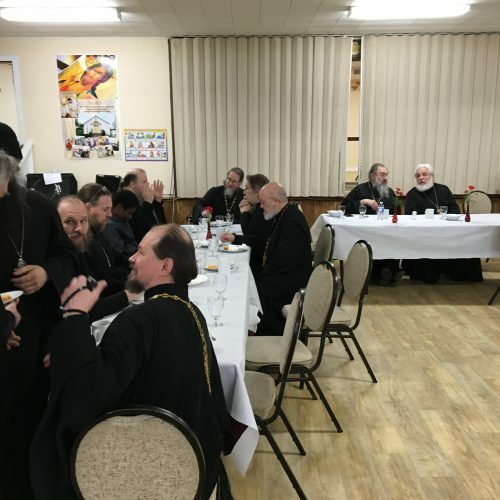 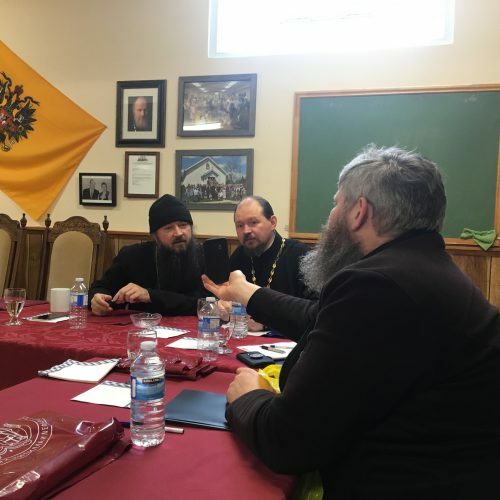 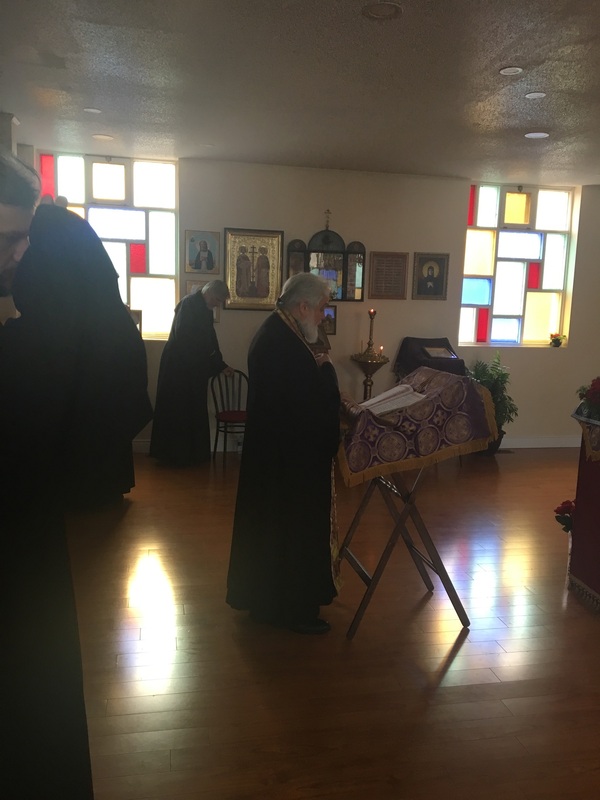 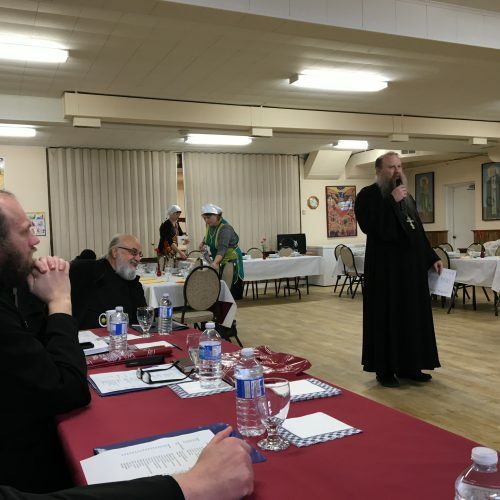 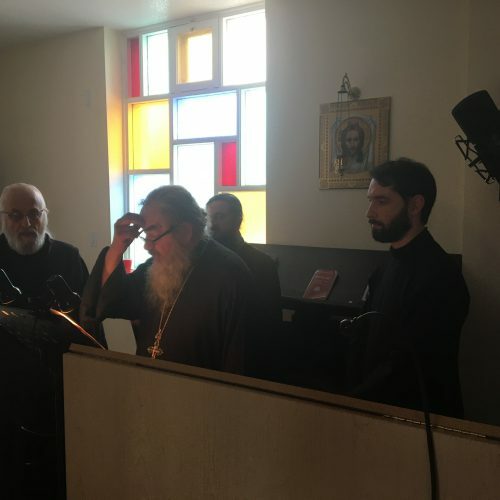 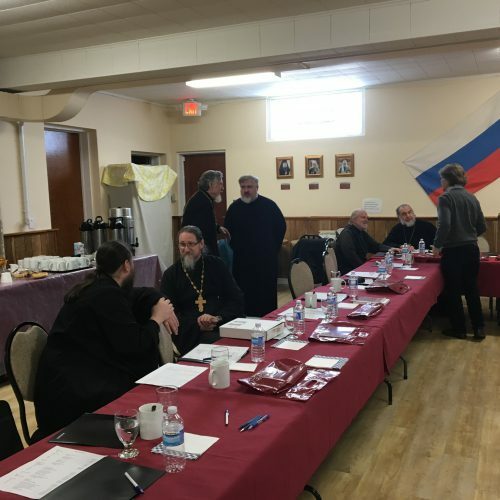 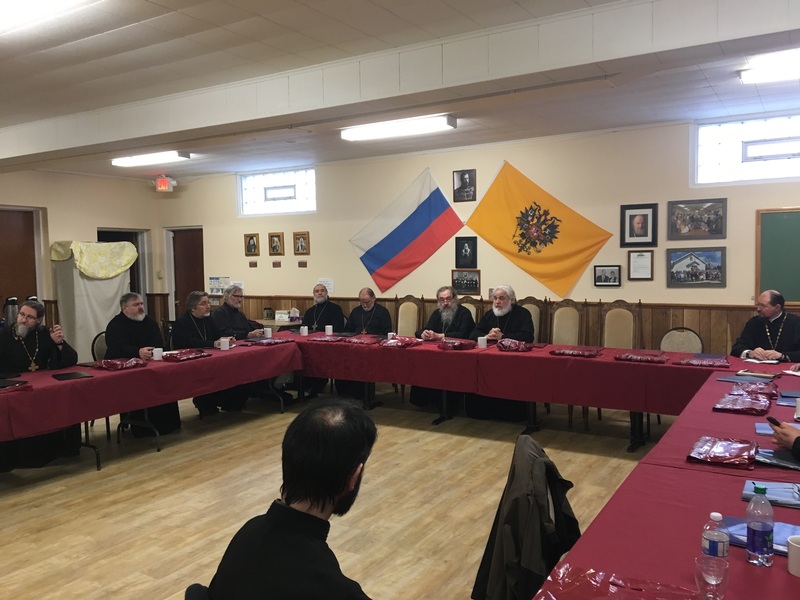 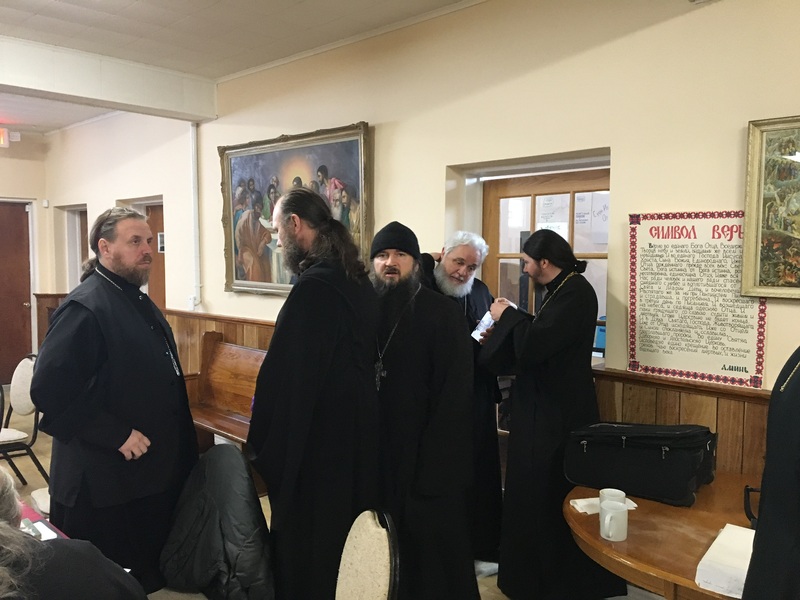 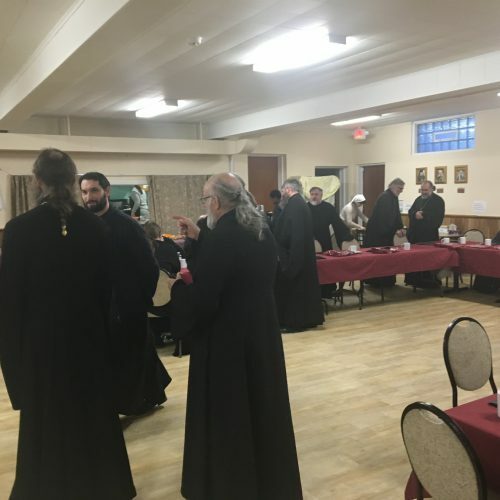 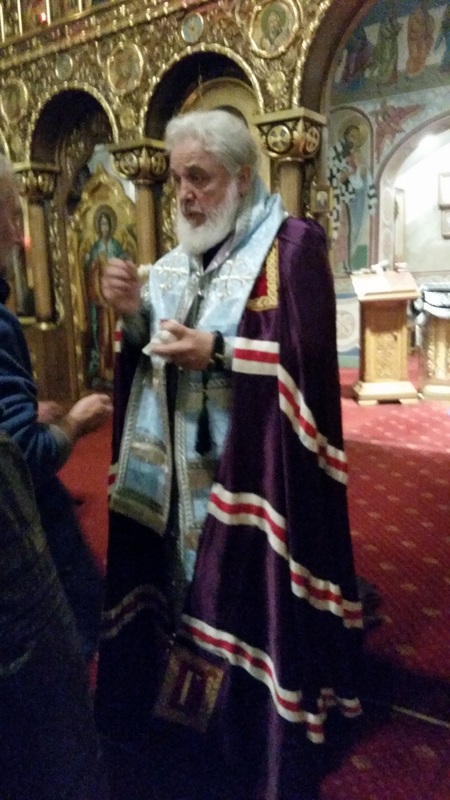 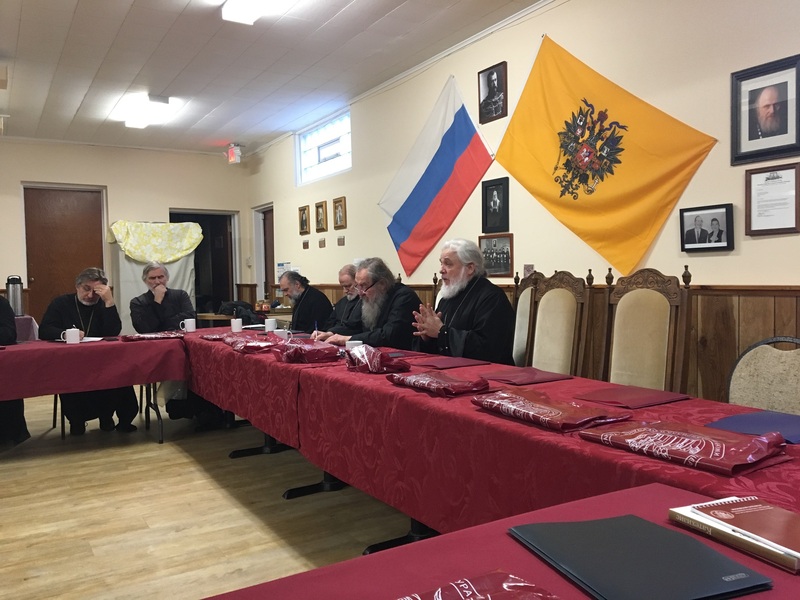 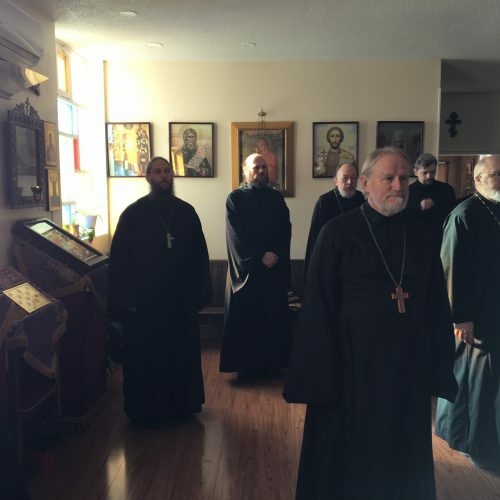 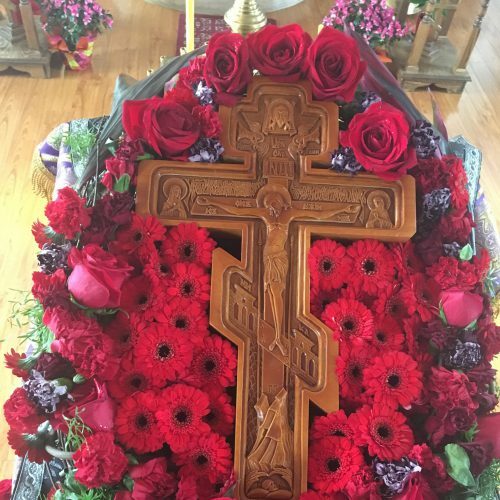 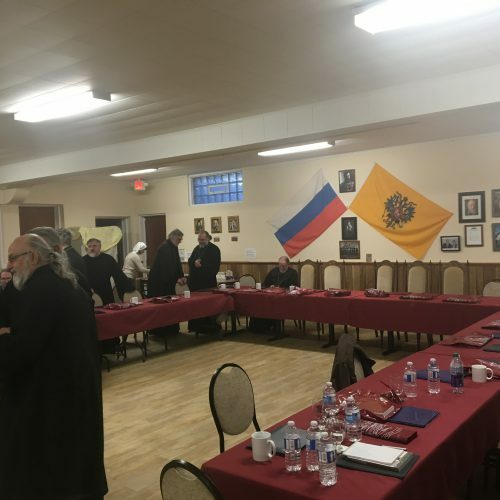 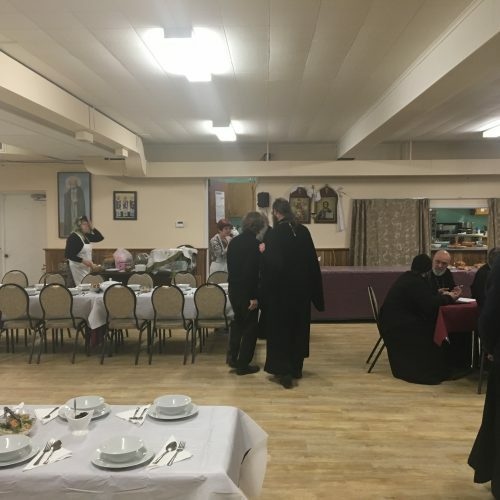 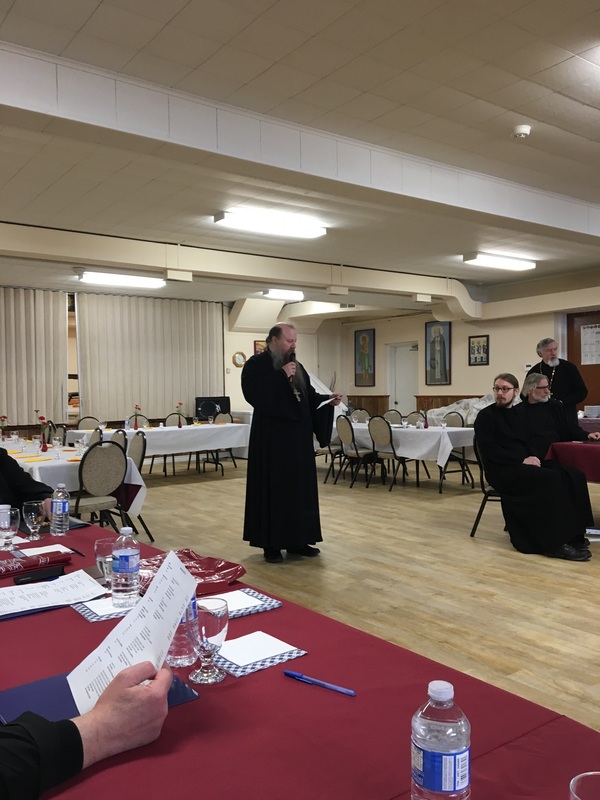 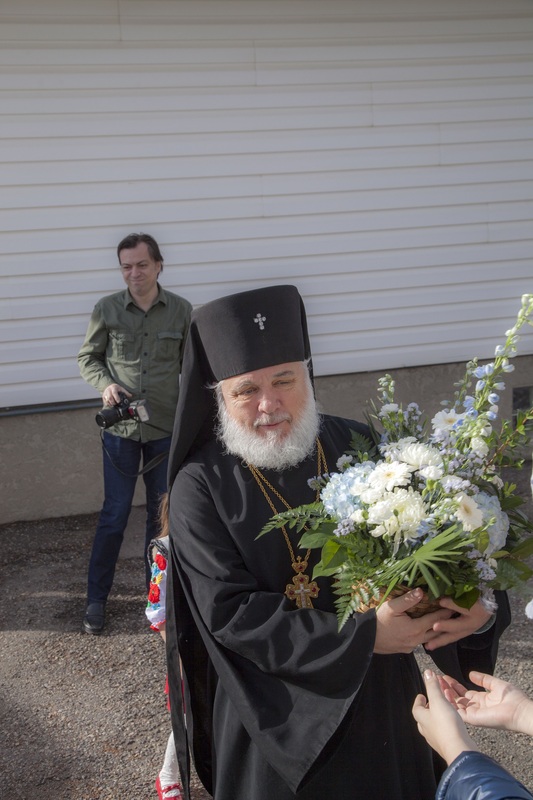 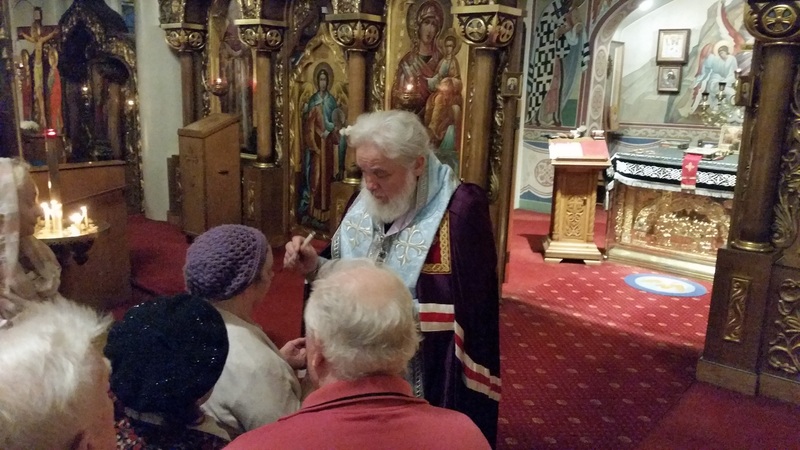 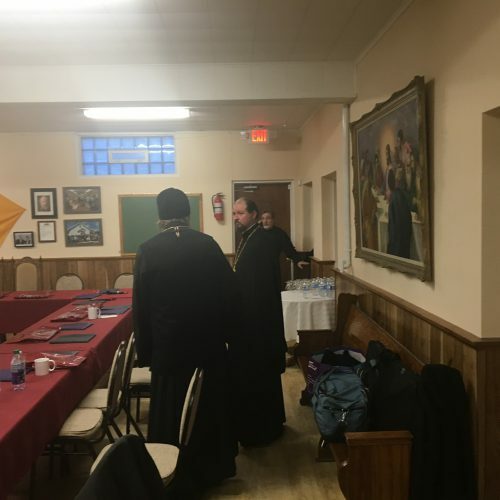 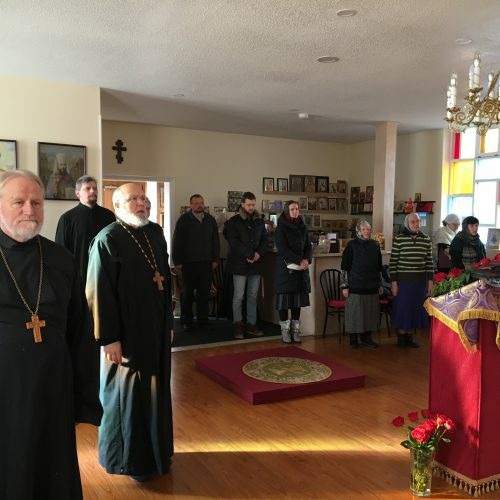 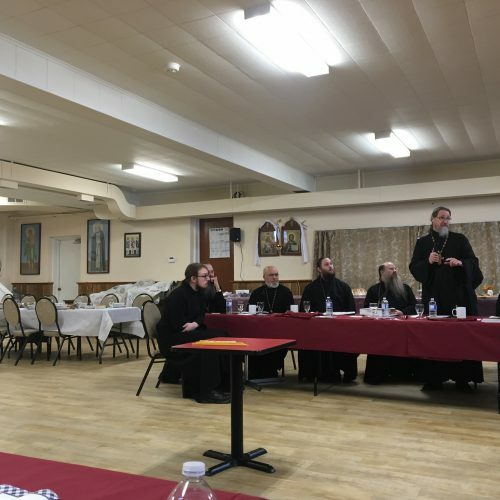 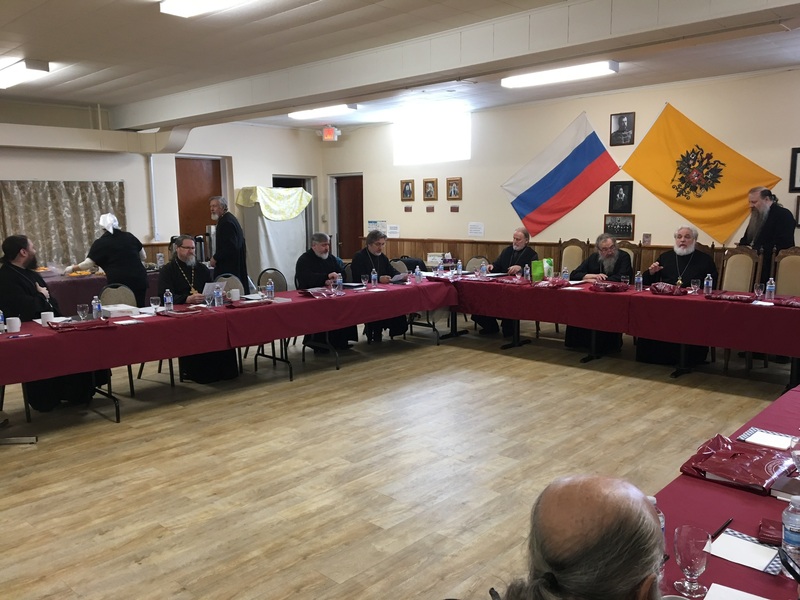 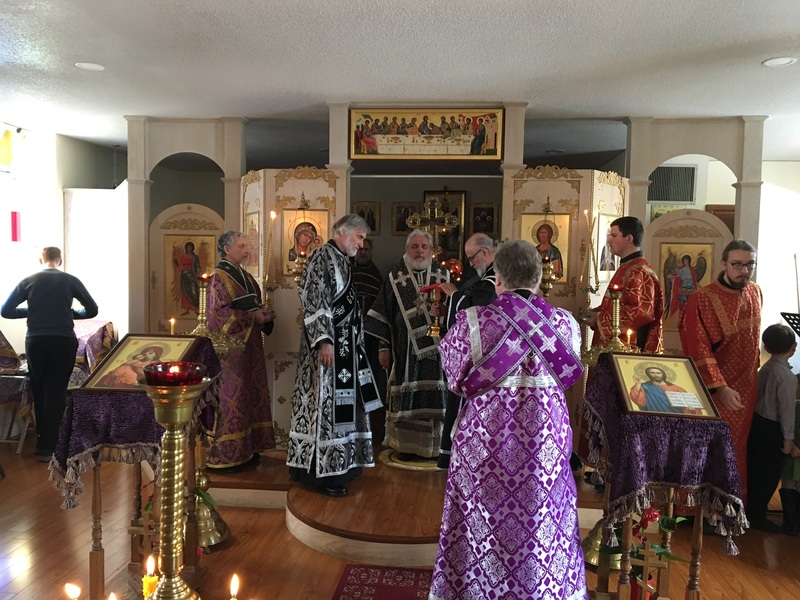 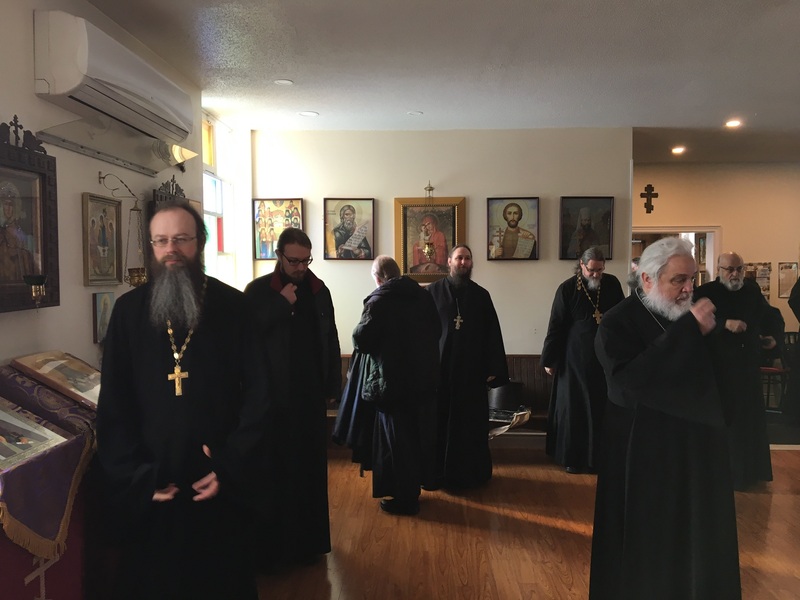 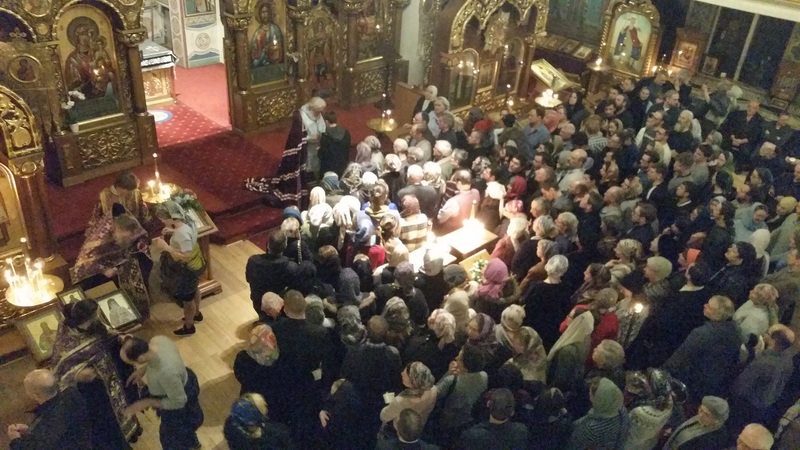 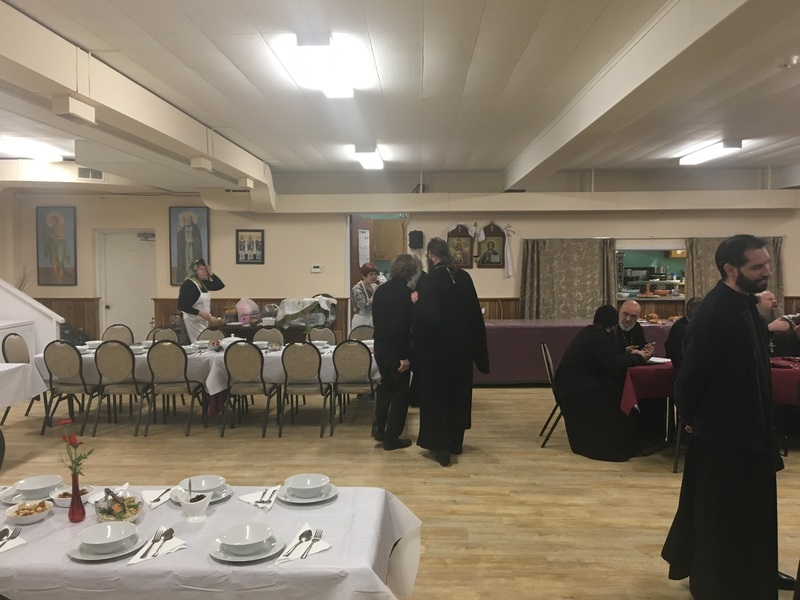 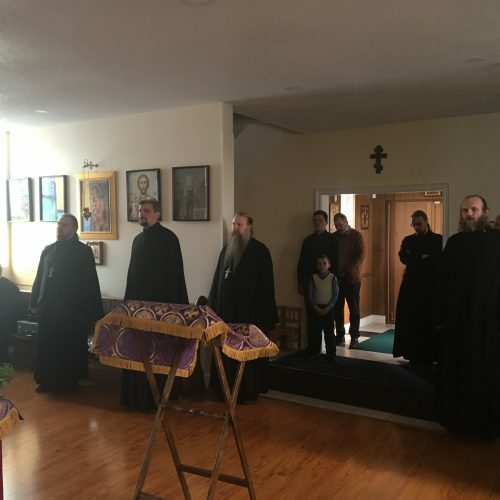 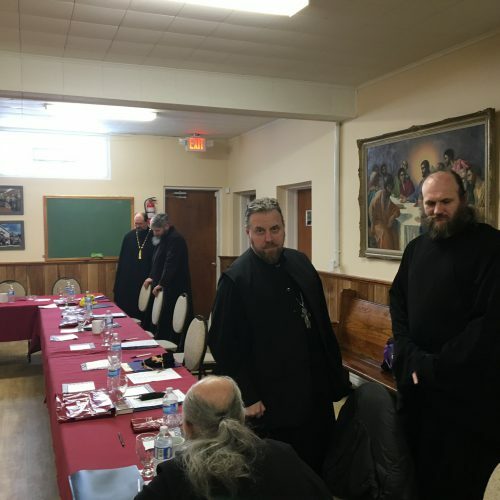 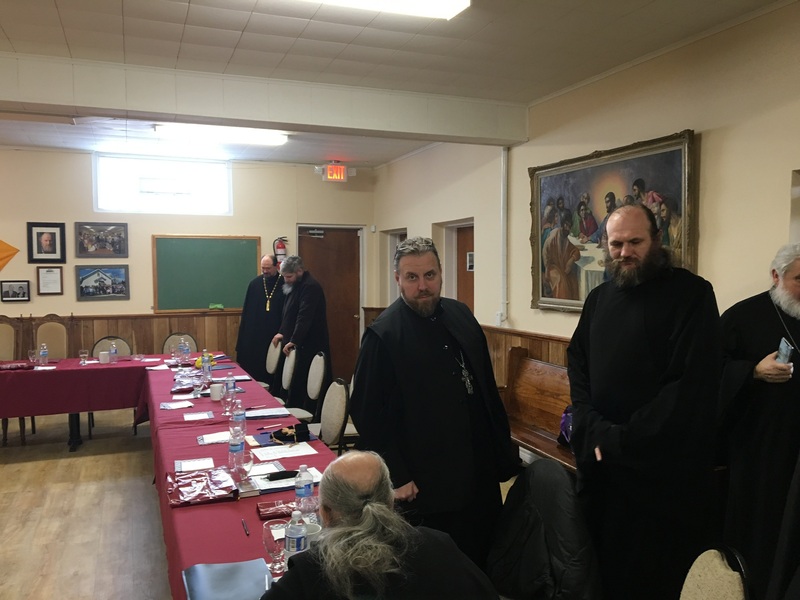 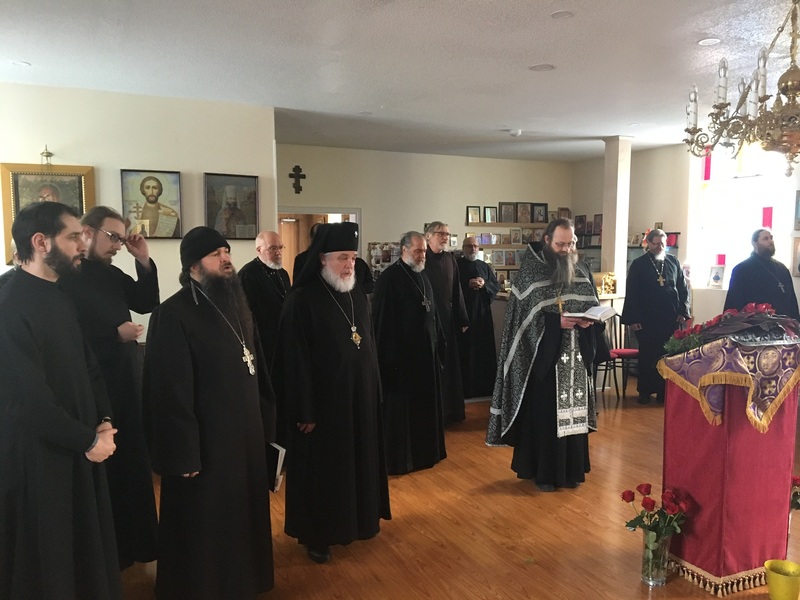 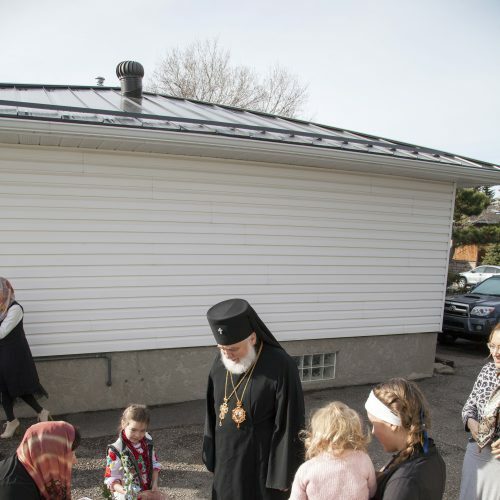 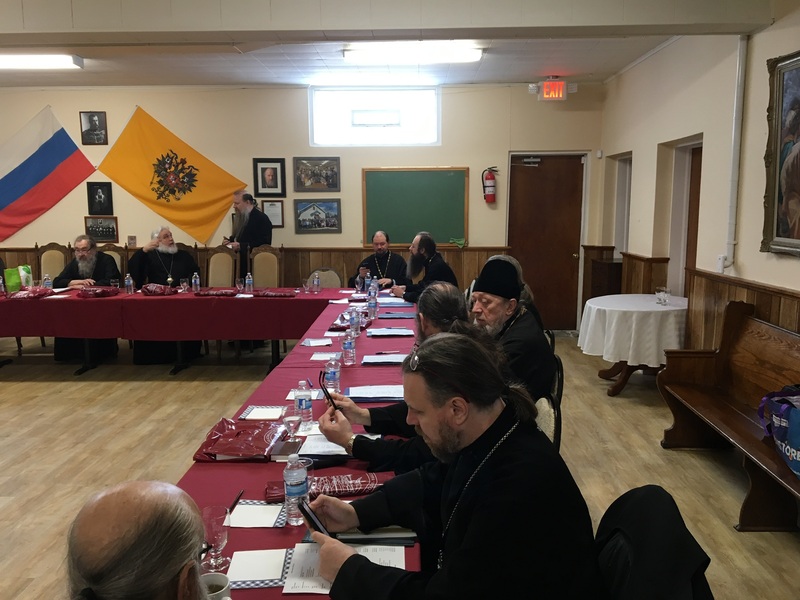 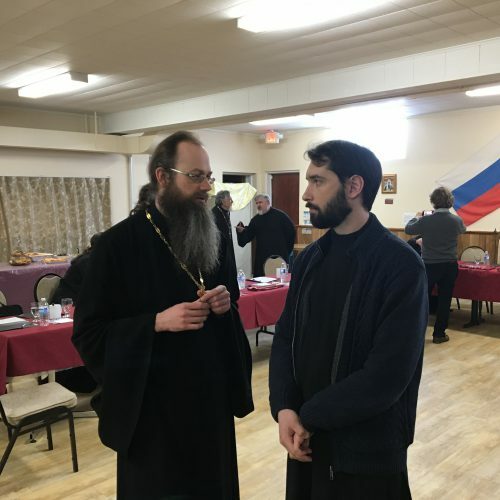 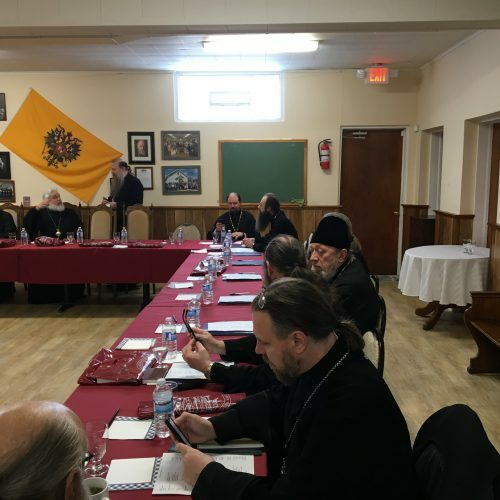 With the questions regarding accommodation in the hotel, or, if possible, in the private homes of parishioners, as well as requests for transfer from Toronto airport (approximately one hour to Cambridge), please contact the rector of the Parish of St. Tikhon of Moscow Rev. 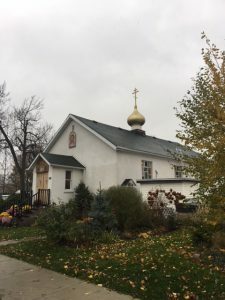 Eugene Shchukin (142 Cavelletti crt., Waterloo, Ont. 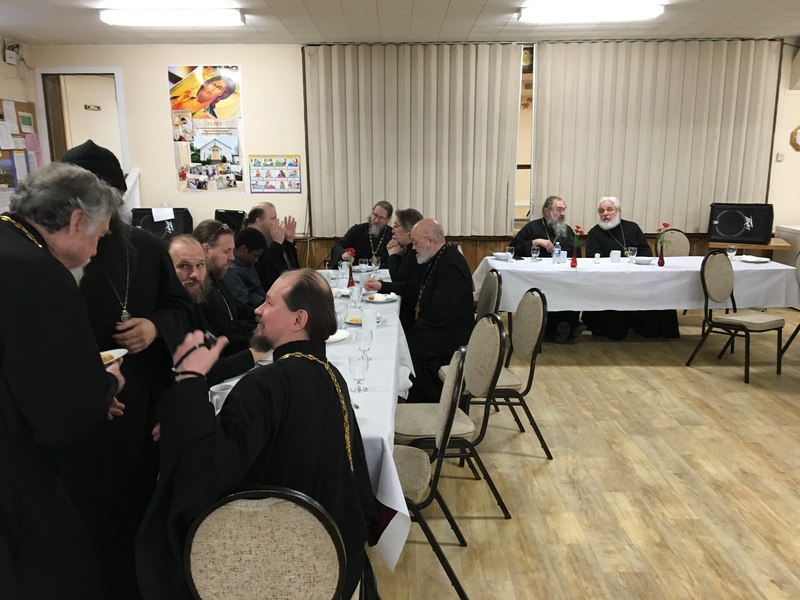 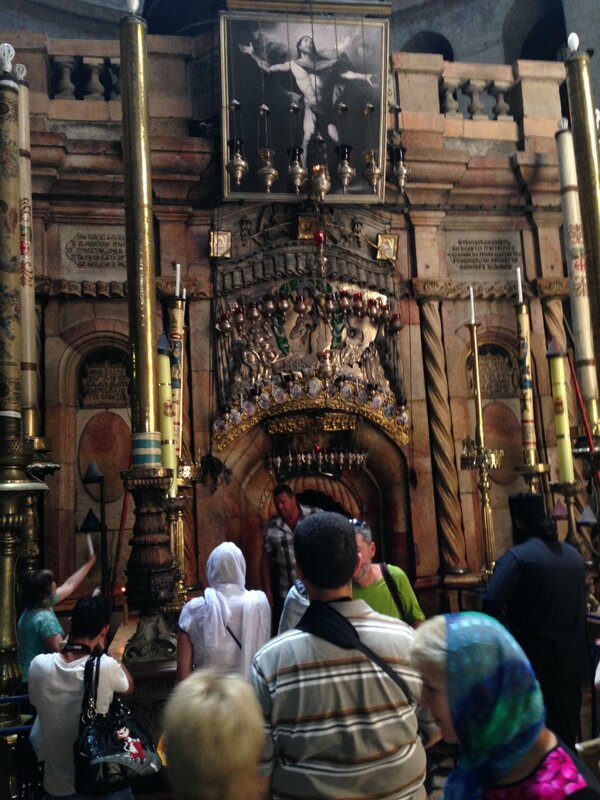 N2K 3X3 Tel : (519) 574-4529/ e-mail: fr.eugene@sttikhon.org). 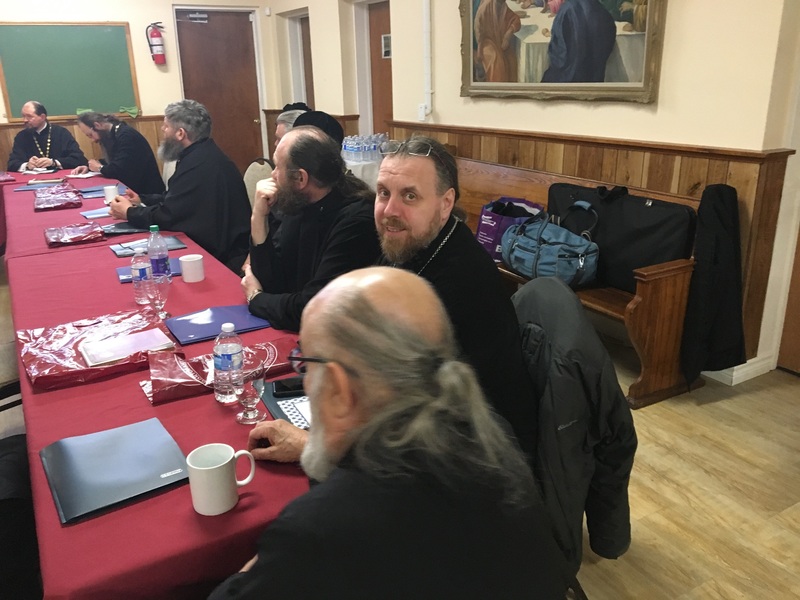 We remind you that the cost of living in a hotel for the clergy should be paid by their parishes. 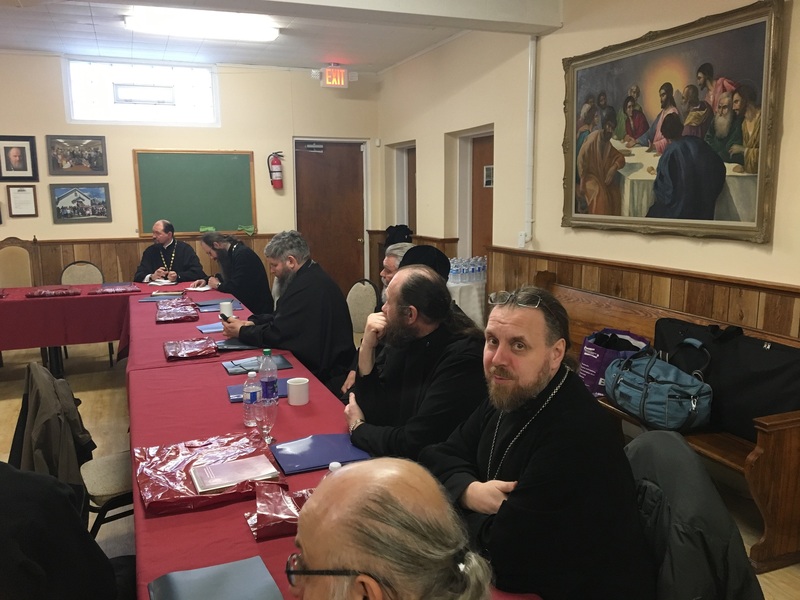 All the questions regarding arrival and agenda of our meeting may be discussed with Diocesan Council Secretary Rev. 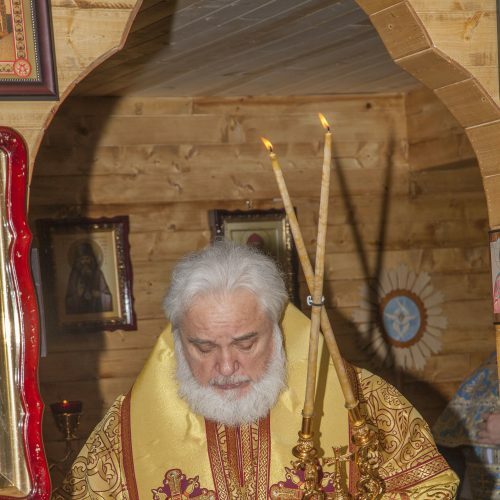 Alexis Pjawka, tel. 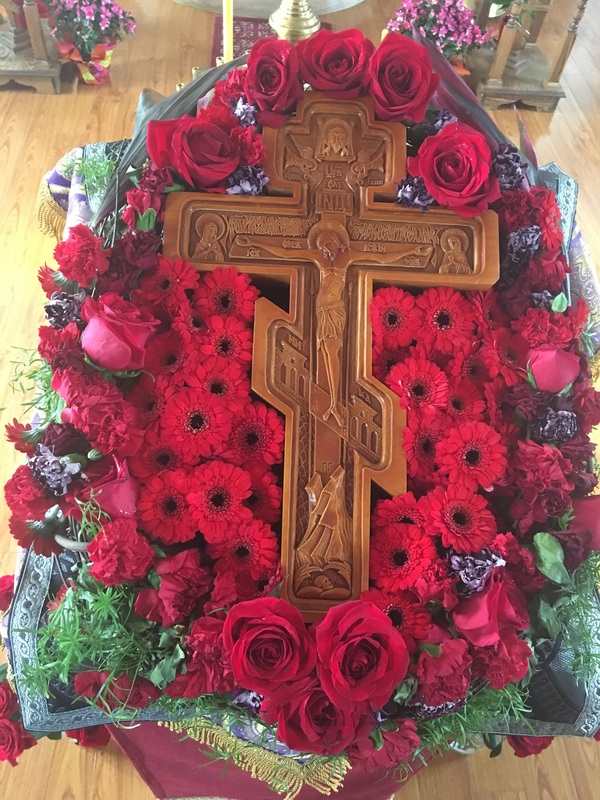 613-316-98; e-mail: fr.alexis@memorialchurch.ca, or with the administrator of the Diocesan Chancellery subdeacon Yuri G. Miloslavsky at the above address, phone number, and e-mail address of the chancellery of the Diocesan Administration in Montreal. 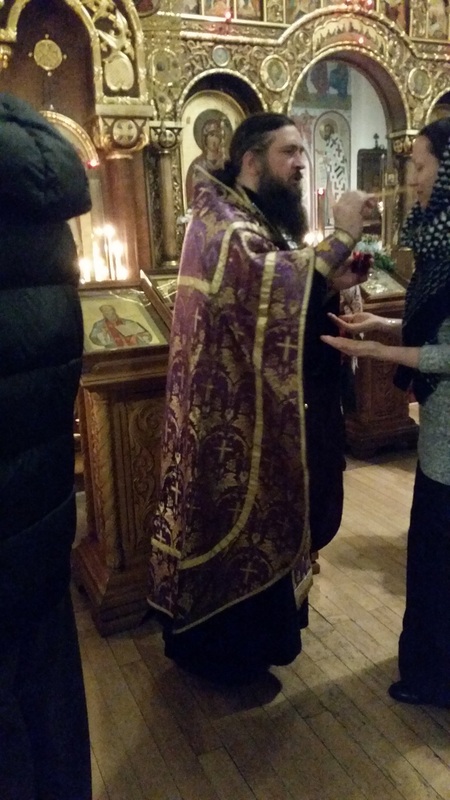 We remind our clergy that they should bring with them vestments of a lenten (purple) color. 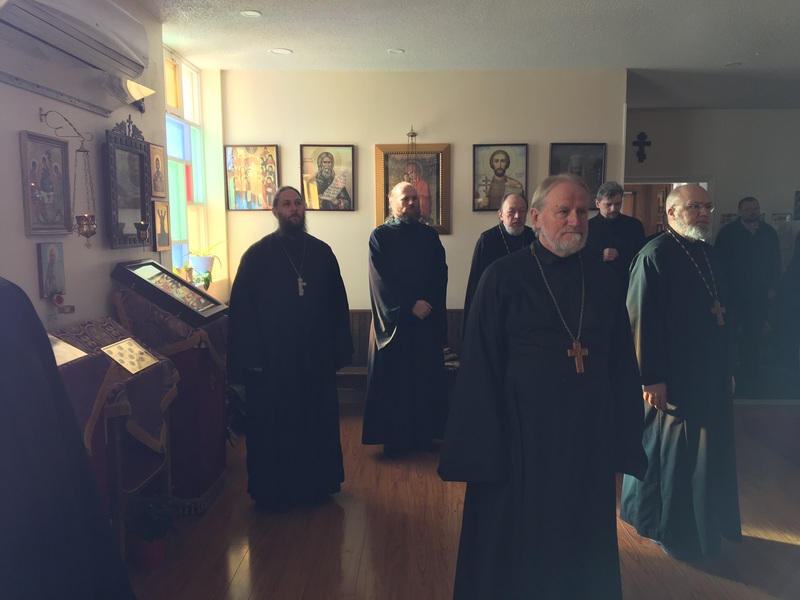 4:30 Prayer & Convocation of the Pastoral Meeting. 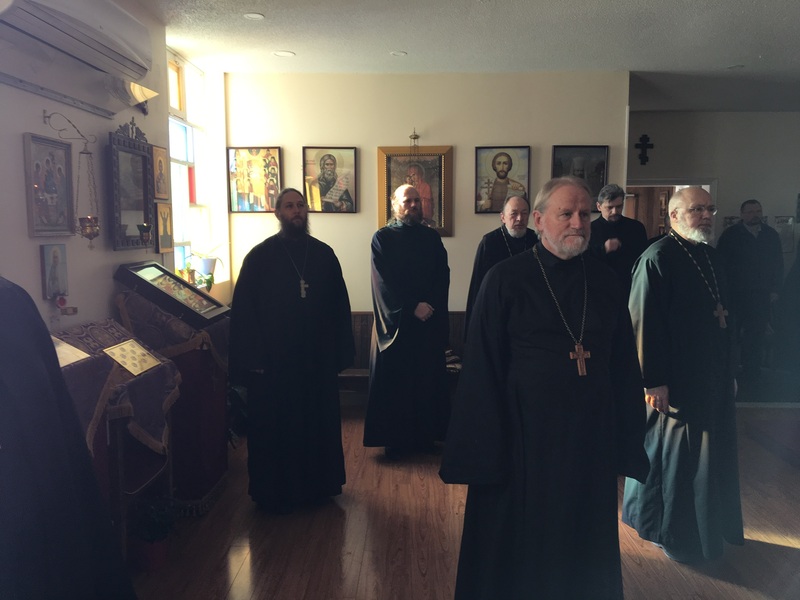 3:00 Resumption of the Pastoral Meeting. 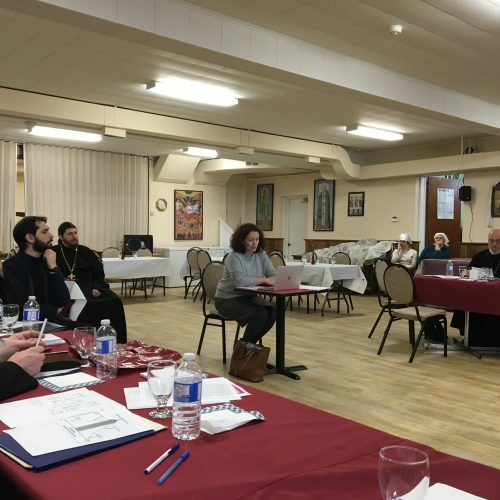 Participants will be informed in greater detail of the sequence of sessions.